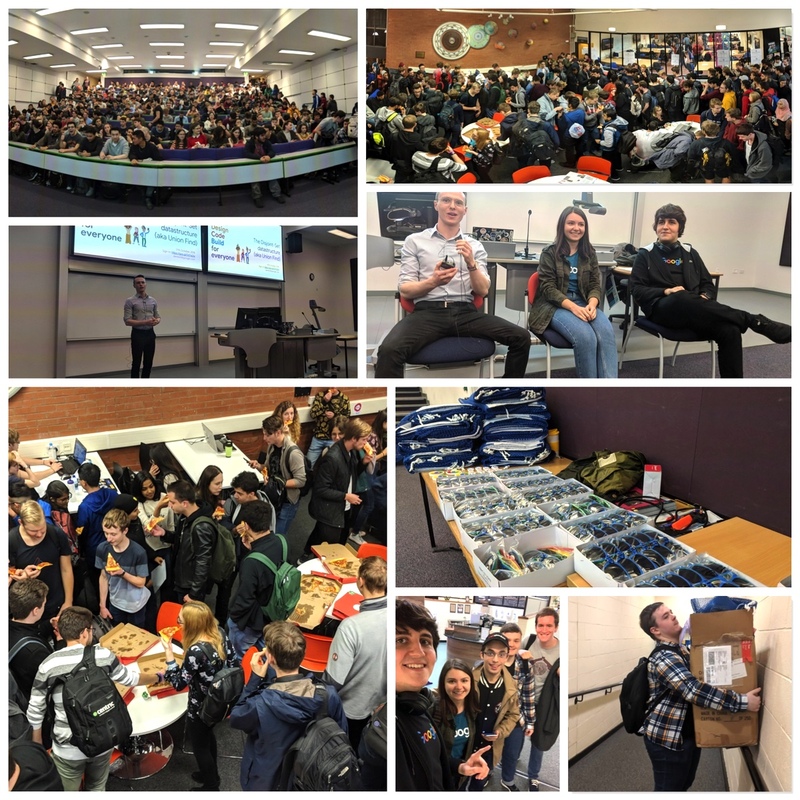 Your weekly round-up of undergraduate life in The University of Manchester School of Computer Science from Toby Howard, Director of Undergraduate Studies. Good morning UG! It’s Monday 8 April, and it’s the first week of the 3-week Easter break. I hope you’re enjoying a well-earned rest and maybe doing some catchup and revision. 3rd Year students, good luck with writing your project reports and doing your screencasts, and remember to ask your Supervisor for feedback on drafts of each. The Monday Mail is having an Easter break, but will be back again on Monday 29 April (Week 11, an A week). Meanwhile, on with today’s news, and I wish you a Happy Easter! This year’s Peer Mentor Awards were held last Wednesday at a Celebration Evening at the Ramada Renaissance Hotel and attended by over 100 students and staff from across the University. The awards were presented by the University’s Chancellor, Lemn Sissay. Congratulations to PASS Coordinators (from left to right in picture with awards) Nick Park PASS2 (Y3, CSwIE), Igor Wodiany PASS2 (Y3, CSwIE), Ben Lister PASS1 (CMwIE) and Costanza Improta PASS1 (CSwIE) who won Outstanding Contribution to Peer Support awards for their roles in the School’s PASS Schemes. In addition thanks to Jaebin Yang (Y3, CS), Wen Dong (Y3, CS), Aayush Chadha (Y3, AI) and Zyad Bamigdad (Y3, CSE) for their support for PASS2. Enjoying the evening’s events also in the photograph are PASS Leaders (from left to right) Xiang Yang Tang (Y2, SE4wIE), Aayush Chadha (Y3, AI), Alejandro Rodriguez (Y2, SEwIE), Dimana Ignatova (Y2, BMwIE), Javier Pacheco Rodriguez (Y2, CSwIE) and Milen Orfeev (Y2, CSwIE). This is the 7th year in a row the School has been a recipient these prestigious awards. Thank you to everyone in the School for their support, not forgetting Andrea Schalk and Gavin Donald, for making PASS in Computer Science a huge success again this year! The Semester 2 exam timetable is now published on MyManchester. You can also see a complete list of all the University's exams here. And a reminder that you can find past exam papers online. Final call, application deadline 17:00 next Monday 15 April. We’re offering paid work opportunities on 21 projects here in the School during the summer vac June-August (£9.56/hour). Enhance your CV with new skills and tech, and do important work for the School on projects covering teaching, infrastructure and research. From today 8 April to Sunday 28 April, the School will be open from 10:00-20:00 and you will need a valid out-of-hours pass. Labs open are LF31, Tootill and 1.8. Costanza Improta (Y3, CSwIE) writes: Hi all, hope you all have a great Easter break and manage to catch your breath! Enjoy your free time and we hope to see you at our Revision Quiz after the break! In the meantime, feel free to (kindly) email your leaders over the holidays should you have any questions. Last week the School’s online charity auction raised an amazing £653! Thank you to everyone who contributed! This from Mariya Tsvarkaleva (Y2, CSwIE): UniCS held an AGM last Wednesday to elect the new committee that will take over the society. The new members elected are: Co-chairs: Raluca Lazarescu (Y3, CSwIE) and Sara Carabello Bruno (Y2, CSE), Secretary: Joana Cruz (Y1, CS4), Events: Simas Kuprelis (Y1, CS), Graphics: Jess Xue (Y1, CM), Dev: Sean Parker (Y2, CS), Treasurer: Aakash Kalantre (Y1, AI4), Procurement: Mohammed Anees (Y1, CSE), PR: Nora Tuta (Y1, HCI4wIE), Game Dev: Theodore Aaron-Obelley (Y1, CM) and Ivaylo Koev (Y2, CS4wIE). Good luck to everyone! You can see the previous and the new teams below. We've had a new promotional video made, featuring Year 1 tutorial group Y3 (Tutor: Aphrodite Galata), George Condei, Raditya Hendarmo, Sneha Kandane, Cristina-malina Mircescu, Kacper Maksymowicz, Mann Patel, Yirong Yu; and group M2 (Tutor: Markel Vigo),Theodore Aaron-obelley, Mudassir Ahmed, Mohamed Ben Al-fakih, Ivan Dewerpe, Flavius-andrei Diaconu, Selwyn Lilley, Jordan Lloyd, Michelangelo Prisciano. Check it out! Keyboards and monitors in all the UG labs will be professionally cleaned over Easter. Hurrah! Interested in what your TAs are researching? Are you contemplating PhD study? The annual Research Student’s Symposium, 23-25 April, provides a showcase of PhD research in the School. PhD students present posters or give short talks about their thesis work. There will be a recruitment session to discuss how to apply for a PhD. The Better World Fund competition offers funding of up to £3000 to help you to develop an idea, or to run something that benefits society or the environment, including environmental sustainability and/or Living Labs projects, innovation in Social Responsibility in the curriculum, local community engagement projects and Widening Participation. GIVE IT DON’T BIN IT. On Tuesday 30 April and Friday 3 May at Owens Park in Fallowfield, you can volunteer to Give It Don’t Bin It. This is a student move-out donation/recycling campaign, run since 2015, encouraging Manchester students to donate unwanted items to charity as they leave for summer instead of dumping items into general waste bins, which end up as landfill. The charities that benefit are the British Heart Foundation (BHF) and Manchester Central Foodbank. Deadline for sending in Monday Mail items: 16:00 every Friday. Good morning UG! It’s Monday 1 April, and it’s Week 10, a B week. It’s the final week before the 3-week Easter vacation, which seems to have been a very long time coming! Anyway, on with today's news! We’re offering paid work opportunities here in the School during the summer vac June-August (£9.56/hour). Enhance your CV with new skills and tech, and do important work for the School on projects covering teaching, infrastructure and research. See details of all 21 projects available and how to apply, deadline 17:00 Monday 15 April. Nora Tuta (Y1, HCI4wIE) writes: Hi, everyone! 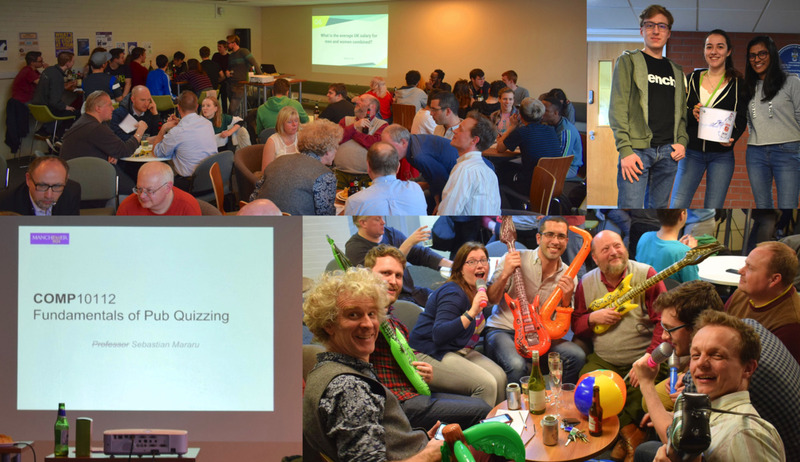 Thanks for joining us at the Staff vs Student Quiz last Thursdayl and we hope you had fun! The event was a huge success – £250 was raised for the Malawi Project (you can still donate!) and 15 teams made of students or staff members competed for the amazing first prize! And the winning team was... "The Obsolescences", consisting of Head of School Robert Stevens, Gavin Brown, Sean Bechhofer, Duncan Hull, Jez Lloyd, Ruth Maddocks, Toby Howard, and Tim Morris. Congratulations to all the participants and see you next year! Costanza Maria Improta (Y3, CSwIE) and Ben Lister (Y3, CMwIE) write: Come along to your PASS session (this Wednesday from 12:00-13:00) to practise your demo and get tips from your leaders, while having a space booked just for you and a time slot where each one in your group is free! If your demo is done and dusted, let leaders help you with the modules you are struggling with the most, or simply have a chat with them! If you're not sure where your session is taking place, just drop by Collab 1 and we'll sort you out. See you then! Nick Park (Y3, CSwIE) writes: Today's PASS2 session (as always 14:00 in Collab) is going to be covering some of the newer features of Java that you probably won’t have seen before; including lambda expressions, method references, optionals, and the stream api. This stuff should be especially useful to anyone who will be using Java on their placement year or internship. We will also talk about options for what to do after your degree (whether it is academia, industry, or even a gap year). As usual, in case you want to offer some words of praise or complain about how boring the sessions are, we still have the feedback form. From 12:00-14:00 on LF, SteamaCo are looking to hire software engineers to help build their smart metering platform, developing new features, integrations, and communication channels via an agile development process. The primary responsibility of a SteamaCo software engineer is cloud software development, however the role also involves exposure to embedded software development, hardware development, and work in the field. Come along, chat to the team and pick up some freebies! Work starts today 1 April to completely re-equip LF31 to comply with new EU Health and Safety regulations. Because PCs and flat screens emit dangerous colours, we will instead install safer and more reliable mechanical teletype devices and VDUs. An artist's impression of how the lab will look is shown below. This from Nora Tuta (Y1, HCI4wIE): Hello everyone! Quick reminder: the AGM elections will take place this Weds 3 April, in Collab 1, at 13:30 pm. The positions available are as follows: Co-chair (head of society) x2, GameDev Director x2, Treasurer, Secretary, Events Officer, Procurement Officer, Graphics Officer, PR Officer, and Dev Officer. The new UniCS committee members will be elected by vote and applying for a role happens on the spot! This is your chance to stand out and be the change! You can find more details about each position here. From Sat 6-Sun 28 April, the School will be open from 10:00-20:00 and you will need a valid out-of-hours pass. Labs open are LF31 (despite the refurbishment), Tootill and 1.8. We’re bringing back our 'eBay' style online auction to support the School’s team going to Malawi this summer. The team is made up of students and staff and local teachers. The money we raise will go directly to Ripple Africa who we are partnering with for the project. We need your donations for the auction now – books, unwanted gifts, cuddly toys, bottles of wine etc, gift sets, anything! It's the perfect opportunity to re-gift something! Please bring to the Academic Support Office in Kilburn 2.03. The auction will go live tomorrow Tues 2 April until Friday (we’ll announce the webpage tomorrow). This from Lucas Cordeiro (Senior Lecturer, COMP26120): we're looking for volunteers to support our participation in two public University events: the Community Festival (15 June) and BlueDot (18-21 July). You will be trained to deliver three demonstrations: microcontroller programming, drone programming and robot programming. These demonstrations will allow the public to find out how computers work, how drones are programmed to fly, and how robots interact with the world around them. Interested? Contact Lucas. On Weds 17 April, 09:30-17:30 the BCSWomen Lovelace Colloquium is coming to the University of Salford. Register now (free) to hear inspiring speakers and meet computing students from other UK Universities. Keynote Speaker is Helen Leigh: maker, writer, lecturer, musician and nerd, author of The Crafty Kid’s Guide to DIY Electronics. Other speakers include women from Bloomberg, the BBC, and University of Salford. Posters will be displayed by women students studying at Universities from across the UK. Plenty of time for networking! DIGITAL TRUST. This Weds 3 April at 12:00 in Crawford House Theatre 2, Professor Adam Joinson (University of Bath) will talk about "What do digital footprints reveal about people (and why we should care)?" 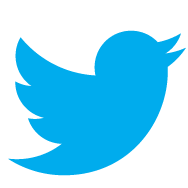 Abstract: To what extent does our online activity reveal who we are? Recent research has demonstrated that the digital traces left by individuals as they browse and interact with others online may reveal who they are and what their interests may be. In this presentation, I will share the results of three reviews and meta-analyses of the evidence that digital footprints can be used to predict individual characteristics, and show how subtle changes can predict social roles and personality. DATA REUSE. This Weds 3 April at 14:00 in Kilburn LT1.4, Professor Professor Paul Groth (University of Amsterdam) will talk about Flexible and Transparent Data Reuse. Abstract: A central challenge in our modern information environment is how to use, integrate and repurpose data that stem from a multitude of diverse sources. Within data science, ~60-70% of the time is spent gathering, preparing, integrating, and munging data. Paul will discuss the goal of developing intelligent systems that work with people to combine and reuse data flexibly, reproducibly and transparently. Good morning UG! It’s Monday 25 March, and it’s Week 9, an A week. I hope everything is going ok. Don't forget that this coming Sunday 31 March at 01:00, British Summer Time starts – clocks go forward one hour. But now on with today's news, and as usual, there's rather a lot of it! 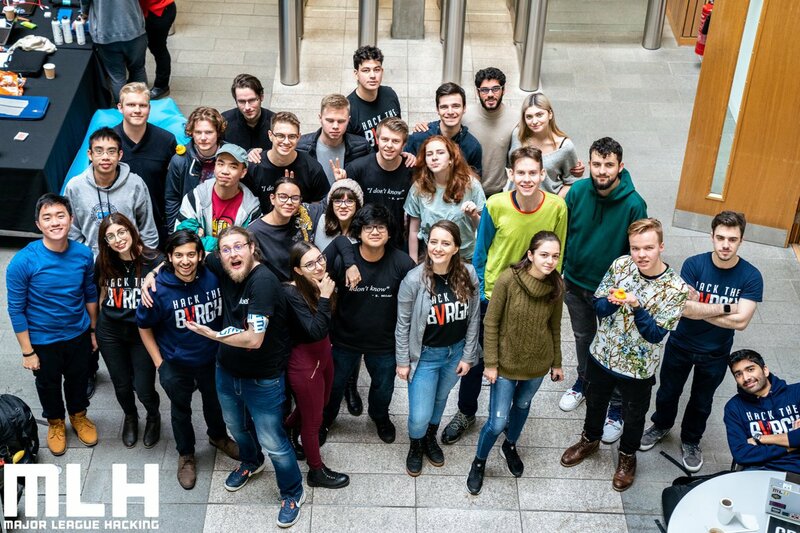 Last week over 20 students from the School participated in one of the biggest hackathons in the UK, Hack The Burgh V. Over the course of 24 hours, 200 hackers from 18 different universities created 51 submissions. It was an exciting weekend full of fun activities, including an Edinburgh city tour and an early morning ascent to Arthur's Seat. We also won a prize! Best Use of Google Cloud Platform was awarded to Daumantas Kojelis (Y1, CS), Simas Kuprelis (Y1, CS), Laurynas Raudonius (Y1, CS) and Tomas Savickas (Y1, CS), who built a smart trash bin that only accepts non-recyclable items. The trip was supported by the School's Student Activities Fund. Mariya Tsvarkaleva (Y2, CSwIE) writes: Mark your calendars! 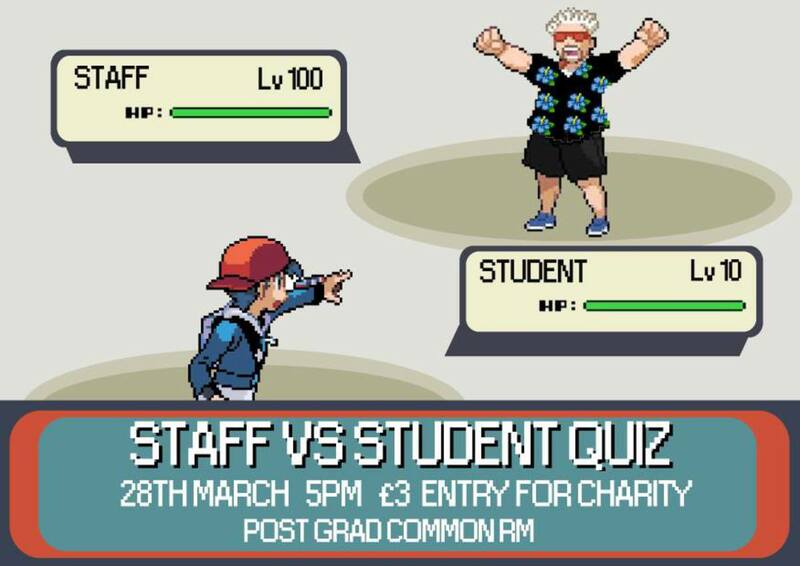 This Thurs 28 March UNICS will host the annual STAFF vs STUDENTS QUIZ! Prepare your teams, get in the quiz mood and join us. The place is Postgrad Common Room, and the time is 17:00! The entrance fee will be ‎£3, and all the money will be donated to Project Malawi fundraising. Pay at the door. Check out our facebook event for more information and see you there! Costanza Maria Improta (Y3, CSwIE) and Ben Lister (Y3, CMwIE) write: ever thought of prepping your Y1 project demo in your PASS session (every Wednesday from 12:00-13:00)? It is the perfect way to practise and get tips from your leaders, while having a space booked just for you and a time slot where each one in your group is free! We are also still holding module-specific sessions in G36 for Computation, in Mercury for Distributed Systems and in IT407 for AI and HCI. If you're not sure where your session is taking place, just drop by Collab 1 and we'll sort you out. See you then! Zyad Bamigdad (Y3, CSE) writes: Today's PASS2 session (as always 14:00 in Collab) is going to be about your options after completing your undergraduate degree, whether it is industry, academia, or even a gap year. Additionally we will go over the 3rd year unit options. As usual, in case you want to offer some words of praise or complain about how boring the sessions are, we still have the feedback form. Nora Tuta (Y1, HCI4wIE) writes: Hello everyone! Good news: the £30 tickets were released, so this is your last chance to participate in the May Ball 2019! The price will include a drink on entry, a 3 course meal, and half a bottle of wine. A DJ will provide the tunes for the night and the unforgettable moments will be captured by a photographer, as well as a photo booth. Buy your ticket now, join your colleagues on Friday 10 May and enjoy the night at the Midland Hotel! Attention Y2 students and those out on IE. Today the 3rd year project book for next year opens, containing projects you can choose proposed by academic members of staff. Submit your project choices by Friday 3 May. The first round of project allocations is published on 10 May. Full details of the process are on Blackboard. You can also propose your own project, and the sooner you contact potential supervisors with a project proposal the better. The project book will show you what proposals look like, and the supervisor finder lets you search for potential project supervisors. Any questions, email. * STUDENTHACK. This is from David Ramplin (Y2, CSwIE): In case you missed it, StudentHack applications are still open! 24 hours of hacking awaits, with a cartoon theme and loads of other activities throughout the event. It's happening on 30/31 March in the Renold Building, and you can apply here! Full details are available on our Facebook page. Smitha Kariapuram (Y1, CS) adds: Want to be a future Hackathon organizer? Help us at StudentHack VII by volunteering. This will give you a shot at being promoted to organiser for later events. Please sign up and add something more to your CV! Last week we mentioned the ScienceX event at the Trafford Center, where Lucas Cordeiro (Senior Lecturer, COMP26120) and volunteers took some of the School's robots to meet the public. The volunteers (seen below) were thanked with pizza this week! There will be another public engagement opportunity at the University's Community Festival in June, and Lucas will be calling for volunteers for that soon. The SWIFT Institute is a part of SWIFT, the world leader in interbank telecommunications connecting over 11,000 entities worldwide. The topic for the 2019 Swift Student Challenge is "How can Artificial Intelligence improve fraud detection and prevention in instant payments?". The submission deadline is the 15 July 2019, with the top eight teams each sending two representatives to Sibos 2019 London which runs from September 23-26 2019. The EY NextWave Data Science Challenge (1 April-10 May) is a global competition for data science students. First place: $8,000, second place $5,000, third place $2,000. Why not have a go? This Weds 27 March at 12:00 at Peak HQ, Charlotte St, M1 4ET, Professor Magnus Rattray, Director of the University's Data Science Institute, will be talking about modelling gene expression dynamics using Gaussian process methods. Register. All welcome this Weds 27 March at 14:00 in Kilburn L.T 1.4 to hear Denzil Ferreira (University of Oulu, Finland) talk about "Understanding human behaviour with technology: context, challenges and impact". Abstract: Mobile phones have an increasing spectrum of built-in sensors, such as motion, light, atmospheric pressure. These sensors are primarily used to enhance the user experience with the device, such as detecting the screen orientation. More important for scientists, these sensors offer the potential to sense and reason about the user’s environment, or in other words, the user’s context. This from Brian Yim (Y1, CSBM): Do you want to hear more about successful individuals in tech? Interested in an internship opportunity? Women for Blockchain (#w4b) on Sat 30 March 10:00-17:00 in the Bright Building (Manchester Science Park) is an amazing opportunity to learn more about blockchain technology, and aspiring women in the tech space. The day will include high profile speakers from all over the globe sharing their experience working in this field! We will also have interactive workshops that will cover the basic knowledge of blockchain technology, as well as its possible uses in different industries. Most importantly, we have an unlimited buffet! Everyone is welcome! The University’s Sport team are looking at how they can improve their marketing, to get even more people involved in being active whilst at University. They want your feedback on what they currently do, through a focus group. Food will be provided along with the opportunity to win a £25 voucher! Sign up: Tues 26 March 13:00-14:00, Thurs 28 March 12:00-13:00, Tues 2 April 13:00-14:00, Thurs 4 April 12:00-13:00. For another chance of winning a £25 Amazon voucher, you can also complete this short survey. Good morning UG! It’s Monday 18 March, and it’s Week 8, a B week. Good luck to all Year 1 and Year 3 students whose project implementation deadlines are on Friday this week. I hope everyone is doing OK in this very long semester – it'll be the Easter vac in only 3 weeks! On with today's news! Robert McCann (Y3, CS) writes: Thanks to everybody for participating in this year's staff/student programming contest, and congratulations to the winners! Thanks to everyone who helped organise it, including Ivan Pupovac (Y2, CMwIE) and Sean Parker (Y2, CS) for working on the problems, and UNICS for providing the free pizza. Congratulations to winners Big Dawgs Society (Patrick Sava (Y2, CSwIE), Vlad-Andrei Munteanu (Y2, CS), Teodor Pintea (Y2, BMwIE)); 2nd place, *NULL (Bowen Cai (Y2, CS), Jinyi Xian (Y2, CS)); 3rd place, Coffee is Addiction (Denizhan Akar (Y1, CM), Pijus Bradulskis (Y1, CM), Lukasz Fiszer (Y1, CM), Albert Viilik (Y1, BMwIE)). Costanza Maria Improta (Y3, CSwIE) and Ben Lister (Y3, CMwIE) write: As your First Year Project is coming to an end, this is your final chance to ace it. Your PASS session (every Wednesday 12:00-13:00) is the perfect way to get feedback on your project, to practise and get tips for your demos or to get help in implementing those final features! Feel free to bring along any other issues, or to drop in for a general chat with your leaders. If you are struggling with any module in particular, we are also holding module-specific sessions in G36 for Computation, in Mercury for Distributed Systems and in IT407 for AI and for a general HCI drop-in session. If you're still not sure where your session is taking place, just drop by Collab 1 and we'll sort you out. See you then! Aayush Chadha (Y3, AI) writes: Hey Second Years, the next PASS session is going to be on Third Year Projects. The session will cover things like deciding on a project, finding a supervisor, finding resources for your project amongst other things and as always, there would be time for questions. We hope to see you all, as usual, at 14:00 in Collab. 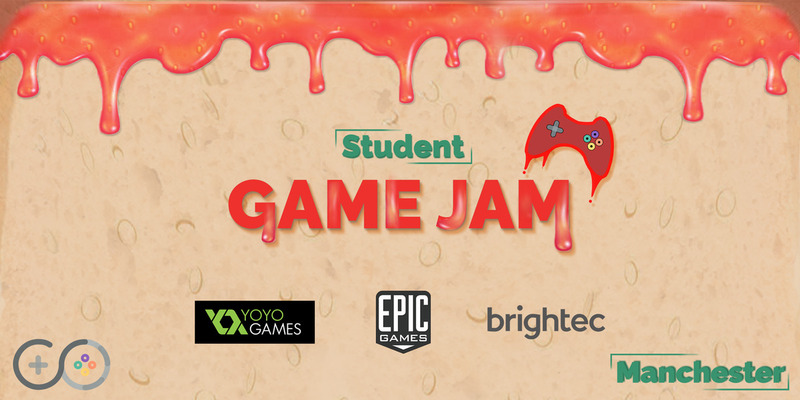 This from Amad Aslam (Y3, CSwIE): Sign up for UoM Game Dev Society's biggest event of the year, Student Game Jam! Come along with your very own team (or by yourself, if you prefer) and compete in a 12 hour competition of game making mayhem with a chance to claim the top prizes. No game development experience is required! The event takes place this Saturday 23 March from 09:30 at The Shed, Chester Street, Manchester, M1 5GD. It's completely FREE and we will be providing FREE snacks and meals! There are limited places so make sure to get your ticket now, sign up here. Today Monday 18 March at 12:00, Getting started with Psychometric tests; and tomorrow Tues 19 March at 10:00, Exploring Leadership workshop. Full details, registration and locations are in the UG events calendar. Nora Tuta (Y1, HCI4wIE) writes: Hi, everyone! 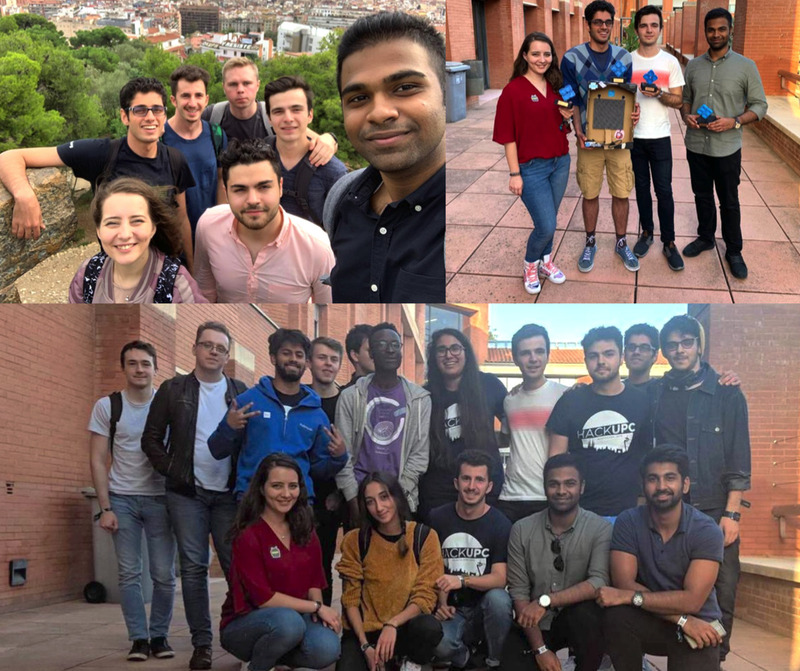 If you want to make a change, you enjoy working in teams and you like to have fun, then a position in the UniCS Committee is the right one for you. Don't miss out on this great opportunity to improve both your soft and hard skills! The positions available are as follows: Co-chair (head of society) x2, GameDev Director x2, Treasurer, Secretary, Events Officer, Procurement Officer, Graphics Officer, PR Officer, and Dev Officer. The new committee members will be elected by a vote on Weds 3 April at 13:00 in Collab 1, and applying for a role happens on the spot! Note that if you’re a student currently on a placement and want to run up for a position, you should fill out this form and include a video recording of yourself with a short speech. Everyone is welcome to get involved! (except students that will be in the placement year in 2020-2021). Pizza will of course be provided, so come along and let’s choose the next committee together! 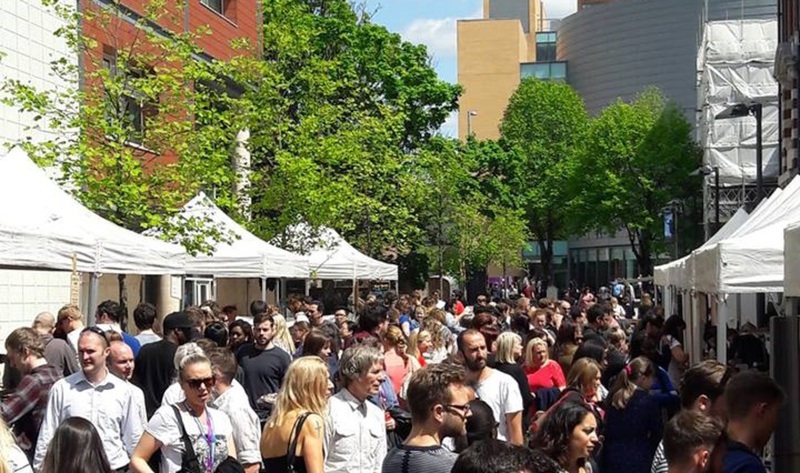 This from Lucas Cordeiro (Senior Lecturer, COMP26120): Last week the School was introducing its robots to the public at the ScienceX festival, one of the most important events about Science and Engineering in Manchester. Volunteers from our School included Martin Riener (PostDoc), Nedas Matulevicius (Y2, CSwIE)‎, Milen Orfeev (Y2, CSwIE), Samuele Vinanzi (PhD student), Weilue Luo (Y1, AI), Ze Feng (Y2, AIwIE), Taonga Chabva-Shoperai‎ (Y2, AI4), Marcel Calderon (Y2, CSEwIE)‎, Wojciech Czosnyka (Y1, CSwIE)‎, Yecheng Chu (Y1, CS), Ritam Anand (Y2, AI4) and also Sylwia Polberg (University of Cardiff). Our volunteers demonstrated games (magical forest, sorting pancakes), micro-controller programming with Arduino, path planning with drones, and cognitive learning for robots. The MSF monthly meeting is tomorrow Tues 19 March, 19:00-21:00 at Manchester Technology Centre (M1 7ED) and it’s all about Vim, a text editor with advanced features. You’ll need to install it in advance. Interested in space things? ManSEDS – Manchester Students for the Exploration and Development of Space – is holding an Innovation Festival on Weds 25 April. Details. There will be guest speakers from industry and academia with talks and panels focused around "Innovation in Space". This event aims to and bring the trillion-dollar space industry into the University and inspire future bright minds to pursue their space dream! Tomorrow Tues 19 March, Danielle Belgrave (Microsoft Research Cambridge, formerly University of Manchester) will give a seminar on Advances in Machine Learning for Healthcare. MANDEC Lecture Theatre, 3rd Floor, University Dental Hospital, Higher Cambridge Street, Manchester, M15 6FH, 14:00-15:00. Register. All welcome. Good morning UG! It’s Monday 11 March, and it’s Week 7, an A week. I hope everything is going well for everyone. Don't forget the staff-student coding competition this Weds (details below). On with today's news! Costanza Maria Improta (Y3, CSwIE) and Ben Lister (Y3, CMwIE) write: as your First Year Project is coming to an end, this is your final chance to ace it. Your PASS session (every Wednesday 12:00-13:00) is the perfect way to get feedback on your project, to practice and get tips for your demos or to get help in implementing those final features! If you are struggling with any other module, we are also holding module-specific sessions in G36 for Computation, in 2.19 for Distributed Systems and in IT407 for AI and HCI. If you're not sure where your session is taking place, just drop by Collab 1 and we'll sort you out. See you then! Igor Wodiany (Y3, CSwIE) writes: Today's PASS2 session (as always 14:00 in Collab) is going to be on some useful Python features. We are going to cover venv, NumPy and multiprocessing and show you some useful examples. So if you wonder how those Python's features work or want to up your skills this session is for you! As usual, in case you want to offer some words of praise or complain about how boring the sessions are, we still have the feedback form. Interested in becoming a PASS Leader? We're currently recruiting student volunteers to become PASS Leaders for 2019/20. Volunteers will receive full training and support throughout their time as a Leader, and develop a range of valuable skills to increase their employability. See more information, ask your PASS leaders, or talk to the PASS coordinators Costanza and Ben. If you would like to become a Leader, you will need to attend the first stage of training, Intro to PASS. Sessions will take place in the weeks of 18 March and 29 April. You can take part in these sessions to find out whether being a PASS leader is right for you; they don't obligate you to becoming a PASS leader. Sign up. Nora Tuta (Y1, HCI4wIE) writes: Hello everyone! Did you all buy your May Ball ticket? If not, you should definitely hurry as the £25 tickets are almost gone. The price will include a drink on entry, a 3 course meal, and half a bottle of wine. A DJ will provide the tunes for the night, so make sure to get your dancing shoes on! Your memories will be captured by a photographer, as well as a photo booth. Buy your ticket now, join your colleagues on Friday 10 May and enjoy the night at the Midland Hotel! So you want to be a fugitive? COMP101 guest lecture by Paul Vlissidis from NCC Group today Mon 11 March at 12:00 in LT 1.1. Paul is a technical director and senior advisor at NCC group, he'll be talking about privacy and security on-line and off-line, based on his experiences serving as a cyber-security expert in Channel 4's Hunted series, where citizens are given fugitive status and have to evade capture from some of the world’s best investigators for 28 days. All welcome (not just first years). Congratulations to Patrick Sava (Y2, CSwIE) and his team Steaklovers – Patrick, Vlad-Andrei Munteanu (Y2, CS), Teodor-Stefan Pintea (Y2, BMwIE) and Tamio Vesa-Nakajima (Oxford University) – who have qualified for the Google Hashcode World Finals in Dublin, Ireland on 27 April. We wish them luck! Steeve Moussa (Y2, CS4) writes: Ever wanted to know if you were better than your lecturers? Now you can. Compete in solving interview-style coding puzzles! Not only that, but against the staff of our School and with tons of pizza included! Simply sign up with your team of up to 4 people. The deadline for signing up is 23:00 on 12 March so hurry up and don't miss out on this fun opportunity! The event is this Weds 13 March 15:00-19:00 in Collab 1. Mariya Tsvarkaleva (Y2, CSwIE) writes: On Thurs 28 March the annual Staff vs Student pub quiz will take place again! There is a £3 donation entry fee for the Malawi Project fundraising. The place is postgrad common room, so come for an exciting and fun evening! The time is not yet confirmed, so keep an eye out on our social media for updates. Amad Aslam (Y3, CSwIE) writes: Join us for the latest in our series of Game Dev Talks! This time we have the famous Youtuber Mark Brown (Game Maker's Toolkit) giving a talk on "Analyzing Game Design" this Weds 13 March at 13:00 in Kilburn 1.3. More details can be found here. Also from Amad: registration for the UoM Game Dev Society's biggest event of the year, Student Game Jam: Manchester, has now opened! Come along with your very own team and compete in a 12 hour competition of game making mayhem with a chance to claim the top prizes. This event takes place on Sat 23 March from 09:30-23:00. Sign up. There are limited spaces, so be quick! Many thanks to all of you who’ve completed the NSS. Almost half of the eligible students in the School have completed the survey, compared to 42% at this time last year. Don’t forget to collect your Byte Cafe voucher once you’ve done it. The Margaret Elizabeth Lee Fellowship is open to all full-time students in the Faculty of Science and Engineering who are of British nationality, and normally reside in the UK. Students can apply for funding up to £500 for proposals to undertake projects, visit institutions of higher education, or attend educational conferences outside of the UK (application form). Any questions please contact Kathy Morgan. The University wants to hear about any concerns or experiences you may have of victimisation as a student here. If there’s anything you’d like to say, please complete this survey. Deadline for sending in Monday Mail items: 17:00 every Friday. Good morning UG! It’s Monday 4 March, and it’s Week 6, a B week. With all the daffodils around the campus, Spring must be officially here! I hope things are going well. Good luck to 3rd year students whose project presentations start this week. Here’s today’s news! Costanza Maria Improta (Y3, CSwIE) and Ben Lister (Y3, CMwIE) write: Hey Y1! Struggling with Distributed Systems? Need a hint for a lab in A.I. or for an example class in Computation? We’re here to help! This Wednesday we're holding Computation in G36, Distributed Systems in Mercury and AI and HCI drop-in in IT407, from 12:00-13:00. If you instead want to get pro tips for your job applications, help on your First Year Project, or anything else, PASS sessions are on as usual! If you're not sure where your session is taking place, just drop by Collab 1 and we'll sort you out. See you then! Zyad Bamigdad (Y3, CSE) writes: Today's PASS2 session (as always 14:00 in Collab) is going to be a continuation from the debugging session using GDB, the remainder of the session will be setting Python up on your laptops for the session next week which will be about Python. As usual, in case you want to offer some words of praise or complain about how boring the sessions are, we still have the feedback form. OUR RESPONSE TO YOUR FEEDBACK. We’ve now looked in detail at the Course Unit Survey results from Semester 1 of this Academic Year. We take your views seriously, and we’ve asked the Course Unit lecturers to respond to your comments. Read their responses. Teodora Stoleru (Y3, CS) writes: Google Hash Code happened last Thursday and we had over 100 students competing from our hub in Kilburn. After 4 hours of coding, we had 21 submissions, with the top position in our hub being occupied by team Steaklovers (Patrick Sava (Y2, CSwIE), Vlad-Andrei Munteanu (Y2, CS), Teodor Pintea (Y2, BMwIE), Tamio-Vesa Nakajima (Oxford University)) who were 38th in the world and might qualify to the Final Round in Dublin! Congratulations to everyone for the fantastic results! You can find all the pictures on the Facebook event page. Come to the Science & Engineering Faculty Forum this Weds 6 March, 13:30-15:30. Free lunch provided! Faculty Forum is a way for you to feed back and make changes on wider issues that affect your University experience. Previous forums have looked at “what is the point of a lecture” and “communications”, and they have been used to inform the upcoming restructure. This week’s Forum will focus on Timetabling & UCIL with a quick look at the preferred methods of communication between staff and students. If you’re interested in making a change in your faculty, sign up. You can also fill in this survey to give your opinion on what the best communication methods are. The school's staff vs student programming contest is being held this year by UNICS next Weds 13 March 15:00-19:00 in Collab. Assemble your teams of up to four people and solve challenging problems with code. Sign up with your team at or email Robert McCann if you have any enquiries. Deadline for signing up is Tues 12 March at 23:00. 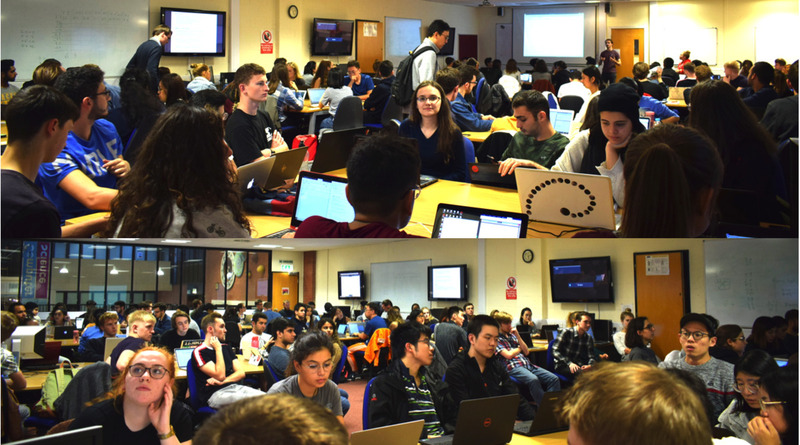 This is from David Ramplin (Y2, CSwIE): StudentHack is back again this year! This student-run, 24-hour hackathon is ideal for any experience level, and with a cartoon theme will be a nice break from your studies. It's happening Sat/Sun 30/31 of March, and applications close on 10 March, so hurry up and apply now! #GSoC is a global program focused on introducing students to open source software development. Students work on a 3 month programming project with an open source organisation. those selected to participate in the 2019 Google Summer of Code include archive.org, djangoproject.com, ensembl.org, gnome.org, haskell.org, matrix.org, mozilla.org, macports.org, owasp.org, r-project.org, tensorflow.org, videolan.org, wikimedia.org and many more. Find out more. This from Brian Yim (Y1, CSwBM): experienced all the blockchain hype last year but still confused? Heard of tokens and smart contracts, and coins but still have no clue what they are about? Join us at our Beginner's Blockchain Coding Workshop in G41 this Wed 6 March at 15:00 to find out more! Join Dr Jess Wade, a physicist at Imperial College London and equality campaigner when she visits Manchester to give a public talk as part of the University’s International Women’s Day celebrations this Weds 6 March at 13:00. Jess will be discussing why we need to keep talking about equality. Lecture Theatre B, University Place, followed by networking over coffee and cake in University Place foyer. Free registration. This from Mohammad Aslam (Y3, CSwIE): Join us for the latest in our series of Game Dev Talks! This time we have the famous Youtuber Mark Brown (Game Maker's Toolkit) giving a talk on "Analyzing Game Design" next Weds 13 March at 13:00 in Kilburn 1.3. Keep an eye out for our up and coming Student Game Jam. Registration will open this Friday 8 March at 12:00 (make sure to get in quick as there are limited spaces). The sign-up link will be advertised on Facebook once it's open! This Weds 6 March at 15:00 in Kilburn L.T1.5 Prof Michael Fisher (University of Liverpool) will talk about Verifiable Autonomy and Responsible Robotics. Abstract: Robots will increasingly make their own decisions about what to do and when to do it without necessarily consulting humans. How can we trust these systems if we do not know what they will choose to do and, crucially, why they make these choices? In this talk, I will describe how the use of rational agents at the core of autonomous systems forms the basis for not only transparency and explainability, but verifiability of behaviour and decision-making. If you missed Krishna Gummadi’s Turing Talk Engineering a fair future: Why we need to train unbiased AI, earlier this month in Manchester, it’s now available on YouTube. Good morning UG! It’s Monday 25 Feb, and it’s Week 5, an A week. We're almost half way through term, so only another 5 weeks to the Easter break! I hope things are going well. Here’s today’s news! The date for this summer's graduation ceremony and party has been confirmed as Monday 15 July at 16:00. You'll be emailed with details of ticketing etc soon. Costanza Maria Improta (Y3, CSwIE) and Ben Lister (Y3, CMwIE) write: PASS Module-Specific Sessions are back! If you're struggling with one specific module, why not ask for help to a specifically trained PASS leader? This Wednesday we're holding Computation in G36, Distributed Systems in Mercury, and AI and HCI drop-in in IT407, from 12:00-13:00. If you instead would like some help on your First Year Project or anything else, normal PASS sessions are also on as usual. See you on Wednesday! Igor Wodiany (Y3, CSwIE) writes: Today's PASS2 session (as always 14:00 in Collab) is going to be an introduction to Open Source (where to get started, example projects, etc.) followed by Q&A presented by Adam Jones from CodeThink. CodeThink actively contributes to Open Source projects, so they have a lot of experience in the field. It is definitely worth attending! As usual, in case you want to offer some words of praise or complain about how boring the sessions are, we still have the feedback form. AIRBUS TALKS CYBERSECURITY. How could you protect Government, Military and Business from some of the most advanced threats on a second by second basis? Untraceable threats that change every day, targeting new systems and causing countless millions in damage. We will be talking about some of the cyber security issues currently haunting any electronic device (online or otherwise), looking at what Airbus does to mitigate these threats and how we help protect nations from cyber-attacks. We'll talk about the various roles in Airbus Cyber and hopefully convince a few of you to join us. Today Monday 25 Feb at 12:00 in LT 1.1 for COMP101 (all welcome, not just first years). The first Staff-Student Committee meeting of the Semester is this Weds 27 Feb 14:00-15:00. If you'd like to raise anything, please contact one of your reps ASAP, so that there’s time for us to investigate before the meeting. Final year students: A reminder that the University’s prize draw closes at midnight this Thurs 28 Feb, with 10 x £400 Amazon vouchers up for grabs. There's a new prize too: if you complete the NSS you'll be entered into a draw to win a graduation package consisting of graduation robes, a photography bundle and a voucher for Christie's Bistro. And remember that the University's charity donations will continue until the survey closes on 30 April. The strange and rather annoying screaming noise in Tootill 1 has been fixed. The culprit was a faulty air control valve. Peace at last! There’ll be a feedback session at 14:00 on Weds 13 March to give you the opportunity to view your marked COMP exam answer books for the Semester 1 exams. Advance registration required, please email SSO with your ID, name, degree programme, and list of courses you’d like to view. Deadline for registration 12:00 this Weds 27 Feb. This from Igor Wodiany (Y3, CSwIE): Have you ever wanted to contribute to Open Source, but you do not know where to start. Fear no more! Today Monday at 14:00 in Collab, CodeThink is giving a short talk about contributing to Open Source (where to get started, example projects, etc.) followed by Q&A. It is a part of our weekly PASS2 session, but it is open to everyone. So come and join us to learn something new from the Open Source leading experts! It is definitely worth attending. Teodora Stoleru (Y3, CS) writes: Google Hash Code is happening this Thurs 28 Feb, and we're excited to welcome you to our hub in Collab 1 and 2, Kilburn Building. The live stream starts at 17:30, and the competition time is between 17:45 and 21:30. Pizza will be provided by UniCS. See you then! This from Mariya Tsvarkaleva (Y2, CSwIE): On Weds 6 March a robotics talk given by Professor of Machine Learning and Robotics Angelo Cangelosi will happen at 14:00 in LT1.1. It will then be followed by robotics lab tours at 15:00-16:00 and 16:00-17:00 depending on demand. Spaces are limited for those so don't miss out! Of course, there will be pizza after the talk so come along and learn something new! This from Mariya Tsvarkaleva (Y2, CSwIE): We are very excited to announce that StudentHack is back again this year for the 7th time! StudentHack is a 24-hour annually run hackathon by our own students and this year it is happening again on 30-31 March. It will be just as fun as always, even more so as this year's theme is Cartoons. If it's your first hackathon, don't worry, the event is very beginner-friendly and everyone who is excited to learn is more than welcome! Applications are currently open, so hurry up and apply. This from Brian Yim (Y1, CSwBM): Interested in free pizza? Want some advice on how to obtain £2,000 in funding for your blockchain-related entrepreneurial idea? Come join us at our dedicated event this Weds 27 Feb at 18:00 in the CFT Building, Grafton Street, for the Blockchainers Ignition Award Competition! The evening will introduce you to the competition, allow you to gain insight into the application process, and most importantly provide tips and advice on how to develop on your business idea. By attending, the judges will give you exclusive hints on what they are looking for in your entries, meaning you will be one step closer to receiving £2,000! Nora Tuta (Y1, HCI4wIE) writes: News from UniCS! From Thurs 7 March Our committee meetings are now open for whoever wants to come! If you are curious about the roles of each of our teams, you are willing to get involved or you simply want to find out more about our programming events and social activities, you can join us any Thursday in Collab at 18:00. See you there! Inspire the next generation of stem innovators by volunteering at the FIRST® Tech Challenge UK robotics competition for young people aged 12-18. Fri 15 March in Altrincham. Register. It's an all-female hackathon in April, organised by ShowCode, J.P. Morgan and the Institute of Coding, for anyone aged 18+ who identifies as female/non-binary, supporting Plastic Oceans UK with a prize fund of £8,000+. Each team consists of 5 students (lecturers can join too). Students who study or live 50 miles outside of London can claim a £50 contribution to travel and accommodation, or £250 per team. All refreshments and food for the Hackathon participants will be provided. This Weds 27 Feb at 17:30 in LT 1.1, Professor Simon Harper on "Behavioural Modelling for Good not Evil". Abstract: Monitoring, modelling, and changing behaviour have been getting a bad rap recently, but measuring behaviour has a long and deep history which is not just limited to cynical manipulation. I’ll talk about working with blind people, older users, people with Parkinson's Disease, and people with mental health conditions. We’ll look at different technologies and ways to understand behaviour and how we allocate meaning to that behaviour so that we can adapt apps, systems, environments and a person's behaviour to benefit them in their everyday lives. 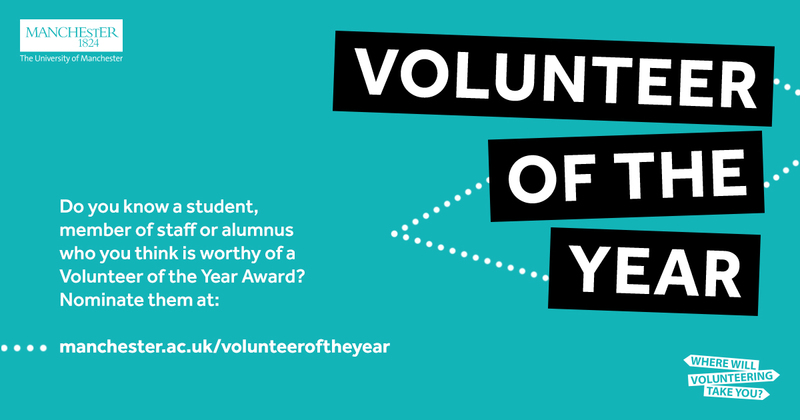 Now in their tenth year, the Volunteer of the Year awards recognise those outstanding students, staff and alumni who give their time freely to the benefit of the wider community. This year for the first time we are including a special group award for students, to recognise societies, teams and groups of students who volunteer together. The winner of the individual awards also receive the President and Vice-Chancellor’s Medal for Social Responsibility. Deadline for nominations is 09:00 next Monday 4 March. Good morning UG! It’s Monday 18 Feb, and it’s Week 4, a B week. It's beginning to feel like spring is on the way... hurrah for that! I hope all is going well. Lots of news today, so let's get on with it! Costanza Maria Improta (Y3, CSwIE) and Ben Lister (Y3, CMwIE) write: First Years! Agonized by AI? Conflicted with Computation? Driven Crazy by Distributed? Come along to PASS 1 (Wednesdays at 12:00-13:00) to get help with all your academic needs. If you're not sure where your session is taking place, just drop by Collab 1 and we'll sort you out. See you then! Aayush Chadha (Y3, AI) writes: Hey second years! Today’s PASS session is going to be on some essential debugging skills! We are going to show you how to use an IDE like IntelliJ, make use of breakpoints, step-ins and how to debug C programs properly using gdb and valgrind. For this session to be useful, please come with IntelliJ preinstalled on your machines.Get it (preferably the Ultimate edition) as a free download with your Manchester account. Since the skills we teach would be generally useful for your coursework and beyond we hope to see you all today! As usual, in case you want to offer some words of praise or complain about how boring the sessions are, we still have the feedback form. We hope that some recent maintenance will have improved the temperature and environment in the Collabs. If problems recur, do let us know. There’ll be a feedback session at 14:00 on Weds 13 March to give you the opportunity to view your marked COMP exam answer books for the Semester 1 exams. Advance registration required, please email SSO with your ID, name, degree programme, and list of courses you’d like to view. Deadline for registration 12:00 Weds 27 Feb.
We’ve moved some printers around. There’s a mono printer now in LF31, and a colour printer in Collab 2. Teodora Stoleru (Y3, CS) writes: Registration for Google Hash Code closes next Monday 25 Feb, so don't forget to find a team, sign up and join our hub (University of Manchester) if you haven't already! We'll be hosting the event on 28 Feb in Collab 1 and 2 and UniCS will be providing pizza. Follow our Facebook event for more details. Tomorrow Tues 19 Feb at 17:00, Professor Simon Lavington (who used to work here in the School) will talk about Stardust: tales from the early days of computing, 1948-1958. 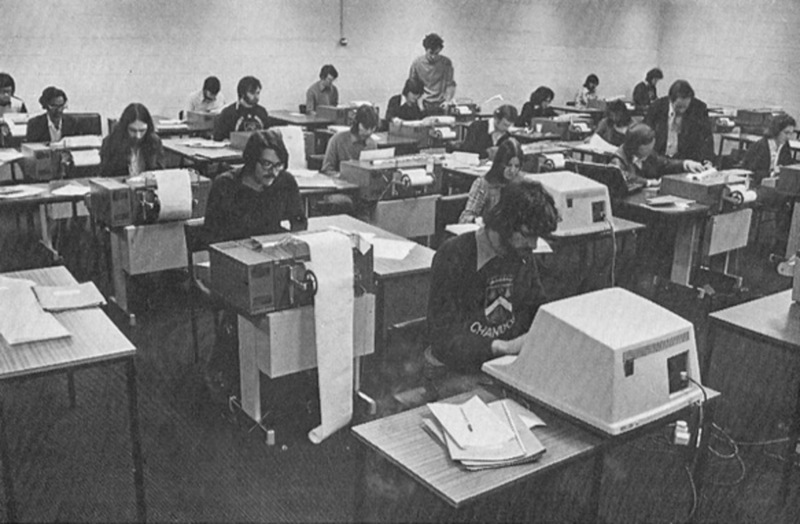 The University of Manchester has a long history in computing, most significantly the invention of The Baby, the world’s first stored program computer in 1948 (in a building off Oxford Road, almost opposite Kilburn). The Baby grew into the Manchester Mk1 that was commercialised as the Ferranti Mk1. This is the story of the life and times of nine Ferranti Mark 1 computers. Room 5.05 of the Business School at Manchester Metropolitan University, M1 5GD. All welcome. Ben Possible writes: A big thank you to all the volunteers who came last Tuesday. If you do any kind of volunteering in or out of the School, pop down to SSO to collect a card and a badge as a thank you for giving up your time you make a difference! That includes but not limited to being a Student rep, Mentor, PASS leader, Schools outreach ambassador, Wellbeing Champion and anything else! If you want to know about any volunteering opportunities please contact me. This from Mariya Tsvarkaleva (Y2, CSwIE): Hey everyone, we can't miss on the opportunity to have awesome new merch with our new name! As per tradition, the annual hoodies and beanies are for sale once again - beanies will be just £5, and hoodies £15. There is no better way to represent your membership of the University, School and Society, so hurry up and grab some here. 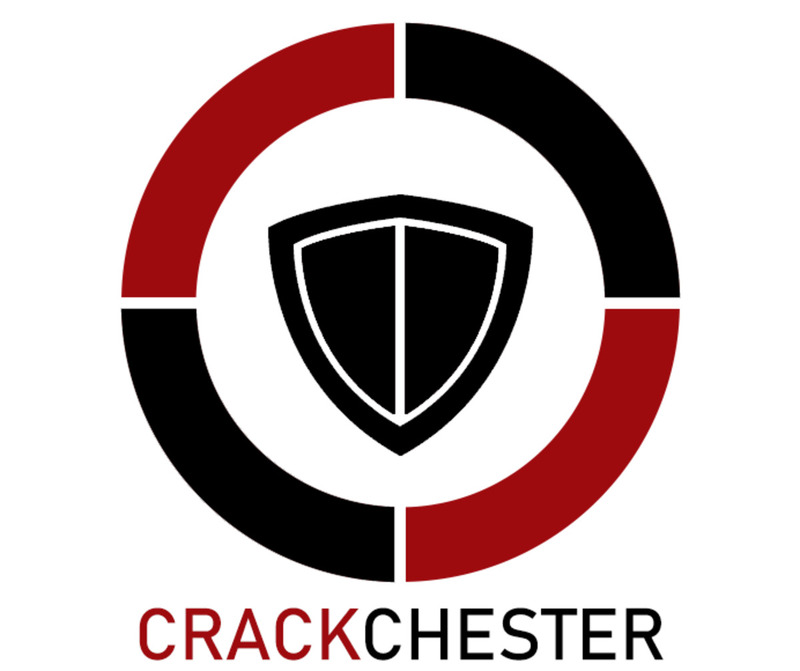 Saira Hassan (Y2, CSwIE) writes: Crackchester will be joined by Mike Jones (previously worked for Department of Defence) and Alan Merrett (Senior officer for the National Cyber Crime unit) to hear their stories, exploit techniques and how to protect yourself from them. This is a great networking opportunity, and there will be pizza! Next Monday 25 Feb, 18:00-21:00, location TBA, keep an eye out on our Facebook page. Steeve Moussa (Y2, CS4) writes: in case you weren't aware UniCS has an official blog where we write about all of the latest events related to the society. Be sure to check out the latest post recapping some of the things that happened last semester and of course follow to keep up with all of the latest stories as soon as they are available. The Cognitive Robotics Lab, led by Angelo Cangelosi, is searching for students to help with our public engagement events. 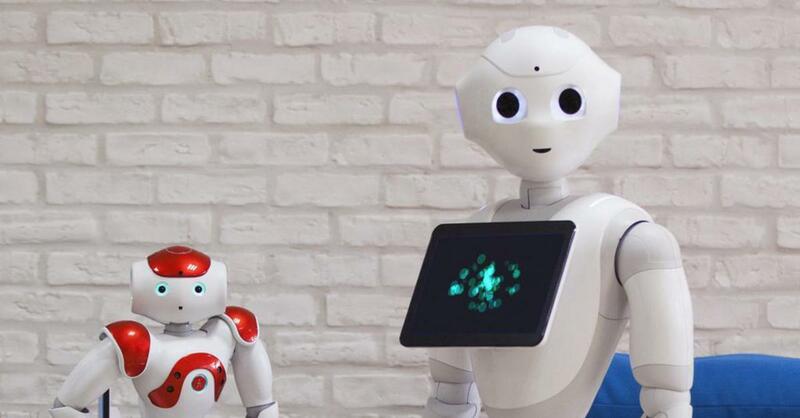 In particular, we are preparing for the ScienceX fair at Manchester’s Trafford Centre on Sat 9 March, where we will bring two of our humanoid robots (Nao and Pepper, seen below) and give demonstrations 10:00-19:00. We're looking for 4 students for the morning and afternoon shifts. This is a great chance for students interested in robotics to work side by side with researchers in the field, to acquire familiarity with some state of the art robots and to gain some general knowledge on the subject. Refreshments and lunch will be paid for. Contact Samuele Vinanzi to volunteer or find out more. Transport for Greater Manchester is partnering with the International Association of Public Transport (UITP), as part of the EU-funded IMOVE research project to tackle tough urban mobility challenges. Join for a weekend of innovation and collaboration, working with industry experts to help shape the future of mobility and bring about the social and environmental potential of Mobility as a Service. 22 Feb at Manchester Science Park. Register. Spend an evening with The Hut Group: Women in Tech, Thurs 7 March. Sign up. The MSF monthly meeting is tomorrow Tues 19 Feb,19:00-21:00 at Manchester Technology Centre (M1 7ED) and it’s an easy Linux patching workshop with Jules Octave. You’ll need to have software set up in advance, so email for details. Join the Cisco thingQbator learning programme at MMU. Delivered by the Foundation for Digital Creativity, you will be part of a worldwide community of innovators who are learning by making. Register. This Thurs 21 Feb at 14:00 Kilburn 2.15 Amit Kumar Singh (University of Essex) will talk about Mapping Applications on Multi/Many-Core Systems. Abstract: Multi/Many-core systems are prevalent in several application domains targeting different scales of computing such as embedded and cloud computing. This talk will provide an overview of various application mapping methodologies that perform either design-time and/or run-time optimizations. Good morning UG! It’s Monday 11 Feb, and it’s Week 3, an A week. I hope all is well, and that you’re settling into Semester 2 now. For many courses labs will start this week so I hope you'll find those interesting and challenging. On with today's news! This from Alex Dumitru (Y2, CM): Royal Hackaway, held last week in the beautiful campus of the Royal Holloway College was a fantastic hacking experience. I and my teammate Clara (Imperial College) built an arcade emulator for retro gaming in your living room and on your smartphone, which won the Best use of Google Cloud Platform award from Major League Hacking. Tejas Chandrasekar (Y2, CS4) and his team also won the Best Domain Name award with their ASCII art generator project, which took any image and reconstructed it using ASCII characters to represent the shading of the original image. We thank the School’s Student Activities Fund for support. Join me in congratulating the School’s Malawi Team on their success in the University’s Better World Showcase Awards last week – winners in the Outstanding contribution for Public Engagement category! Former PhD student Daniel Jamison from biorelate.com will be talking about starting up and spinning out from the University today Mon 11 Feb at 12:00 in LT 1.1, as part of COMP101, but all welcome (not just first year students). Biorelate helps world-leading research companies and scientists solve the most difficult biomedical challenges of today. Come and find out how AI and human biomedical expertise are used to tap dark data. Costanza Maria Improta (Y3, CSwIE) and Ben Lister (Y3, CMwIE) write: Hey Y1! Struggling with Distributed Systems? Need a hint for a lab in A.I. or Java? Come along to PASS 1 (Wednesdays at 12:00-13:00) to consolidate your academic learning and get pro tips for your job interviews. If you're not sure where your session is taking place, just drop by Collab 1 and we'll sort you out. See you then! Igor Wodiany (Y3, CSwIE) writes: Hi all, this week’s session is going to be on mental health. We are going to talk about mental health in Computer Science and at the University, share our experiences and try to offer some advice. So if you feel like you struggle or have some thoughts to share please join us in Collab at 14:00! As usual, in case you want to offer some words of praise or complain about how boring the sessions are, we still have the feedback form. Also snacks are back! Don’t miss Daniel Hulme, CEO of Satalia.com, who will talk about AI and the Future of Business, next Weds 20 Feb at 14:00 in LT1.1. Abstract: In a world where many believe access to more and more data will lead to ever better decision-making, we will examine what "AI" really is, what it can and cannot achieve, and the potential pitfalls. We will discuss a framework for understanding data-driven decision making, discuss what AI is and is not, as well as identifying future challenges and opportunities for AI. All welcome. Teodora Stoleru (Y3, CS) writes: Google Hash Code is happening in less than three weeks from now and we'll have our own hub in Kilburn Building. Don't forget to sign up and join our hub (University of Manchester). We have partnered again with UniCS and they have prepared a surprise for you. Follow our Facebook event for more details. You don't have to be mobile to use mobileprint.manchester.ac.uk! It's a web browser interface to the University pull printing system, and can be used from any device and any operating system. Final year students, if you haven’t yet done your NSS please do, and take your acknowledgement to SSO for your free £2 Byte Café voucher! Ben Possible writes: The School is holding a Thank You event tomorrow Tues 12 Feb in Collab 2 from 12:00 for all the current Student Volunteers we know about. This is part of the University’s Student Volunteering Week 2019 – happening 11-17 February. So if you’re a Student rep, Mentor, registered for MLP or the Volunteer Hub, PASS leader, Schools outreach ambassador, CSSoc committee member or Wellbeing Champion, or do any volunteering in the wider community please do come along to spend some time chatting to each other to share what you do. Professor Robert Stevens, Head of School, will say a few words as well. This year’s BCS/IET Turing Talk is Engineering a fair future: Why we need to train unbiased AI by Dr Krishna Gummadi, head of the Networked Systems research group at the Max Planck Institute for Software Systems and a professor at the University of Saarland in Germany. Next Weds 20 Feb at the University. Book your free place. 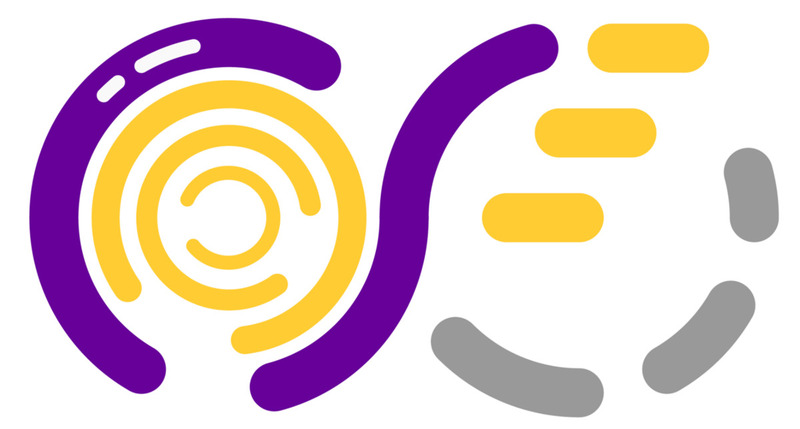 Raad Aldakhil (Y4, SE4) writes: The UoM Game Development society is looking for new members! Join us in Collab 1 this Weds 13 Feb at 14:00 for our recruitment session. Please come along if you are interested in helping us set up events to support our growing Game Development community. Our next events are: a talk by Game Maker's Toolkit (500,000 subscribers to date!) Visit their channel and come to the event if you're interested! We also have a game jam at the end of March! More details coming soon! This from Mark Paveszka (Y2, SE4wIE): This Weds 13 Feb 17:00–20:00 in University Place Andy Bushnell, the Director of Engineering at Prezi is holding a presentation about the medium mission of Prezi. The workshop will consist of 5 topics: New products in the AR field, EditorAPI (plugins/extensions), Engine (renderer/viewers), Nekton (Editor canvas interaction) and Coedit (collaboration/media services). After the workshop, finger food and drinks will be served. The event is free, but registration is required. BE A WELCOME WEEK AMBASSADOR. The University is seeking students to work as Welcome Week ambassadors in September. Pay is £8.20 per hour. Interested? Apply by Sunday 24 February. The Reply Code Challenge is a team-based coding competition open to students and professional coders. Last year, more than 7,700 contestants from 67 countries registered to join the first edition, and 6,000 threw their hats in the ring for October’s Cyber Security edition. Why not have a go? Catalyst Hack is an initiative led by Rolls-Royce engineers on a mission to close the STEM gender gap. In April, they'll be inviting attendees to build inspiring projects to support the next generation of women and non-binary people in STEM. They’ll get the opportunity to develop a mobile game concept with support from industry partners and mentors and the chance to win some great tech prizes. Attendees don’t need any prior experience as they’ll be running some beginner-friendly workshops. It’s free. Apply by 10 March. The //Slash-Team are a student initiative of the CODE University of Applied Sciences in Berlin with the vision to bring international students from different universities and study programs together to empower the tech scene of tomorrow. They are organizsng a hackathon supported by MLH on 29-31 March featuring mentors like Scott Chacon, co-founder of GitHub, and workshops. Good morning UG! It’s Monday 4 Feb, and it’s Week 2, a B week. I hope you're settling back into the swing of things after the exams. Remember, please finalise your course choices by this Friday. I hope you have a good week, and on with today's news! Costanza Maria Improta (Y3, CSwIE) and Ben Lister (Y3, CMwIE) write: Hey Y1, are you ready to ace Semester 2? Come along to PASS 1 (Wednesdays at 12:00-13:00) to consolidate your academic learning and get pro tips for your job interviews. If you're not sure where your session is taking place, just drop by Collab 1 and we'll sort you out. See you then! Aayush Chadha (Y3, AI) writes: Hi all, this week’s session is going to be on "Being An Adult While Out on Placement". We are going to cover placement (and summer internship) essentials such as taxation, salary negotiations, housing and dealing with team issues amongst other things. Since a lot of people are going to be heading out on placement, we hope to see you all in Collab at 14:00! As usual, in case you want to offer some words of praise or complain about how boring the sessions are, we still have the feedback form. Final call. The deadline for finalising your Semester 2 course units on the University system is 15:00 this Friday 8 Feb. Please do this urgently. See full details and instructions. We plan to publish the provisional Semester 1 results on Thurs 21 Feb.
Aayush Chadha (Y3, AI) has blogged about his final year project experience, building a graphene sensor to research blinking and Parkinson’s Disease. 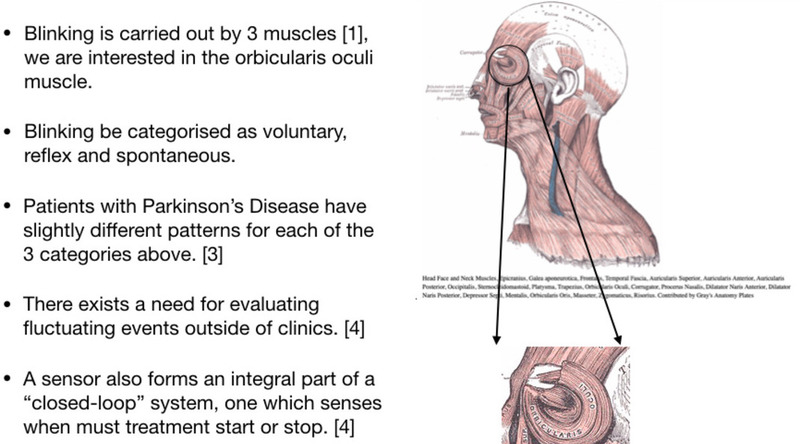 The image below is from Aayush's project Lightning Talk. This from Luke Beamish (Y3, CS4); Following the University of Manchester Hacker community's success in last year’s European season, MLH decided to reward the community with a prize. After some discussions we decided to ask for a set of beanbags for use at our future hackathons. Whilst the hackathons are not going on they'll be kept in the LF area for everyone to use. Feel free to enjoy them, we just ask that you please help keep them in good condition, don’t leave them in corridors where people might fall over them, and don't take them out of Kilburn. Ben Possible, volunteer extraordinaire and the School's Outreach and Engagement Assistant, who graduated last year, writes: the School is holding a Thank You event next Tues 12 Feb in Collab 2 from 12:00-13:00 for all the current Student Volunteers we know about. This is part of of the University’s Student Volunteering Week 2019, 11-17 February. So if you’re a Student rep, Mentor, registered for MLP or the Volunteer Hub, PASS leader, Schools outreach ambassador, CSSoc/HackSoc committee member or Wellbeing Champion please do come along! If you want to get involved please let me know! Did you know we have a handy calendar of UG events, including those we mention here in the MM? (ics | web). Participate in the World’s Largest Legal Hackathon #GLH2019. The University will be hosting an event as part of GLH which will run at various sites around the world over the weekend Feb 22-24. You can enter a full team or join existing teams. Interested? Contact Santiago Rojascarro. Rebecca Wiggins (Y2, CS) writes: Tickets for the Computer Science May Ball, Sat 10 May at the Midland hotel, go live in the next couple of weeks. Find out more on our FB event. This fully funded flagship international volunteering project, exclusively for students from The University of Manchester, is a partnership project between the University and S.A.L.V.E. (Support and Love via Education) International, a charity based in Manchester and working in Uganda with street connected children. They’re recruiting now for 15 enthusiastic students to head to Jinja, Uganda, to support the work of @SALVEint. Details (deadline 4 March). If you're looking for internships, placements or graduate positions in technology then Manchester Digital Talent Day is for you! 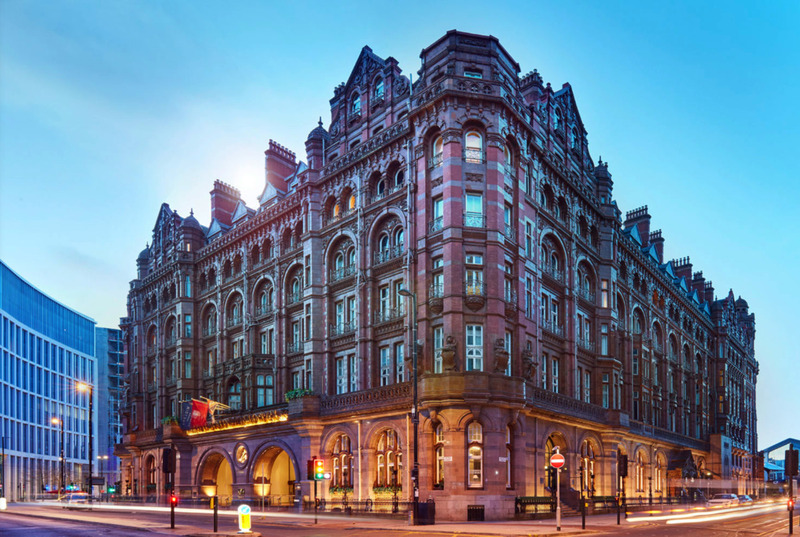 Hosted at the Principal Hotel, Oxford Street, Manchester tomorrow Tues 5 Feb from 11:30, Talent Day 2019 will give you access to over 300 jobs, placements and internships and the opportunity to meet face-to-face with the founders, owners, directors and team leaders looking to hire. Meet with over 40 businesses, from start-ups to fashion brands, digital agencies to tech giants, something for everyone. Find out more at and register for free on eventbrite. 1 in 4 people in the UK will experience a mental health problem each year, yet there continue to be stigmas and misconceptions around mental health. This Thurs 7 Feb is Time to Talk Day (#TimeToTalk) a day for the nation to take 5 minutes to have a conversation about mental health and tackle the stigma. On this day, the University is asking students and staff to get involved! Take a Break – there’s a drop-in session with coffee and cake on Thurs 11:30-13:00 at the Ambrose Room in St Peter’s House, just next to Kilburn. If you have any personal concerns, talk – don’t bottle things up. Talk to an advisor, a friend or counsellor. TRUST AND THE EXTREME RIGHT. This Weds 6 Feb at 12:00 in Kilburn LT 1.5 Dr Benjamin Lee (Lancaster University) will talk about "Trust and the Extreme Right Digital Milieu". Abstract: This lecture traces some strands of organisational thought emanating from the extreme right and considers the impact of an emerging extreme right digital milieu on trust. The extreme right has long had a problem with trust and the threat of attack or suppression has been in a key factor in how groups organise. The arrival of digital technology has increased resilience, shifting the participatory focus from easily targeted hierarchical organisations, to a more robust digital milieu. All welcome. SEMANTIC ANNOTATION. This Weds 6 Feb at 14:00 in Kilburn LT 1.4 Dr Paul Rayson (Lancaster University) will talk about "Twenty eight years of semantic tagging". Abstract: I will explain the motivation for the Natural Language Processing (NLP) task of semantic annotation, and how it can be applied widely along with Corpus Linguistics (CL) methods for content analysis, market research, political discourse analysis, metaphor analysis, topic modelling, as well as in number of forensic, legal and policing scenarios. All welcome. Good morning UG! It’s Monday 28 January, and it’s Week 1 of Semester 2, an A week. I hope your exams went well. We’re expecting to publish provisional results on Thurs 21 Feb. So now Semester 2 teaching starts, and there are only 10 weeks to go until Easter! I hope this semester will be enjoyable and stimulating for you. On with today's news! Aayush Chadha (Y3, AI) writes: Hey second years, it’s your PASS2 team again! We hope all of you had a really successful exam period and we wish you all the best with your results! PASS2 resumes this semester (starting today) at 14:00 on Mondays. Today we’ll be talking about what to do if you haven’t found a placement yet? (Hint: Don’t worry, for starters). In case some of you want to ask us questions about second semester course choices and the third year project, we would be happy to answer questions on those too. Hope to see you all there! Following suggestions from SSC we’re pleased to provide, on a trial basis, a microwave and hot water supply for you, on LF by the vending machines. Now for the important bit! It’s your responsibility to keep the microwave clean – failure to do so may lead to removal! Please only use the water fountain for the supply of hot water and not as a source of cold water. For cold water please use the water fountain near Byte Cafe. The deadline for choosing/changing your Semester 2 course units on the University system is 15:00 Friday 8 Feb. Please do this urgently, because course sizes have implications for room bookings and we need to finalise things ASAP. See full details and instructions. Please note that some units may have a maximum enrolment capacity, and this is stated on the relevant syllabus pages. Any queries, please contact SSO. As you may have seen, the posters on the staircase to the second floor have been updated to this year’s 1st year team projects: have a look and check out their cool applications! If you are currently a 2nd year student and would like to have your team’s poster, feel free to ask Cameron in SSO for it. UG blogger Ana-Gabriela Pandrea (Y3, AI) has updated her blog where she reflects on her 3rd year project experience. Well worth a read. This from Teodora Stoleru (Y3, CS): Google Hash Code is back on Thurs 28 Feb, and once again we'll have our own hub in Kilburn Building. Sign up here for the Online Qualification round and join our hub ("University of Manchester") in the Judge System. Keep an eye on our Facebook event for more information about the hub. A reminder that the School has a Hardware Library with a range of hardware devices and components, tools and books that you can borrow for free to support your own pet project, 3rd year project etc. If there is something you’d like to use, but we don’t have it in the library, then you can propose items, just contact Paul Nutter. The University’s Language Centre is offering a series of English language academic support classes from 28 Jan-29 March. They have classes on academic writing, academic speaking, and grammar. 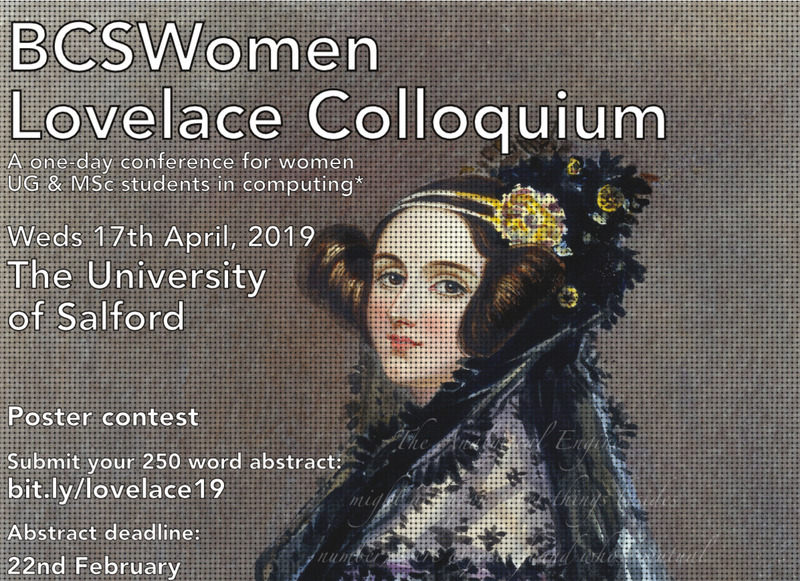 The BCS Women Lovelace Colloquium is an annual one-day conference for women students of Computing and related subjects. The 2019 event will take place at the University of Salford on 17 April. Women students are invited to enter the poster competition in the categories 1st Year/Foundation, 2nd year/industrial placement, 3rd/4th/5th year. Submit a 250-word abstract on the computing topic of your choice by 22 Feb.
Lindsey Gage, Social Responsibility Coordinator at the University writes: We're looking for interest in a potential society that you, as students, could help set up for Women in Engineering/STEM. There could be a potential partnership with the national Women in Engineering Society, WES, who run events and networking opportunities. If this is something you are interested in hearing more about or getting involved in please email Lindsey. Calling all photographers! The Social Justice Photography Competition is open to all UG students and closes on 8 March. 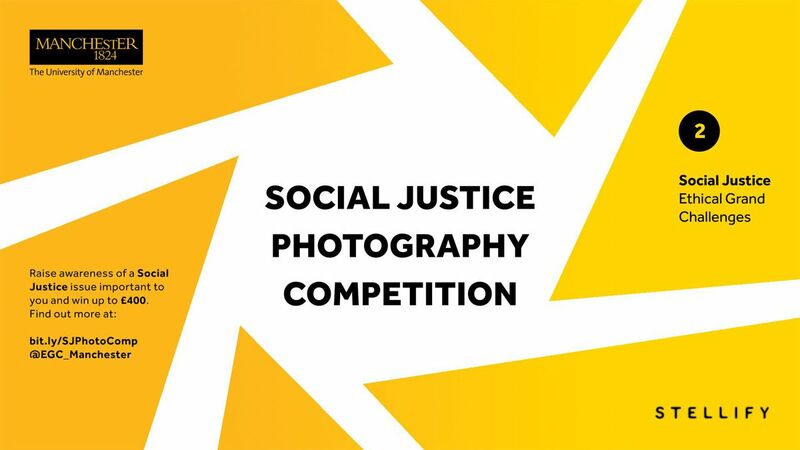 Take a pic to raise awareness of a Social Justice issue important to you and win up to £400. Good morning UG! It’s Monday 21 January, and it’s the second of the two exam weeks. I hope things are going well. Make sure you know your schedule (see full exams list), and in case of emergencies, email SSO immediately or call them on 0161 306 8155. Next week we start Semester 2, so something to look forward to! On with today's news! 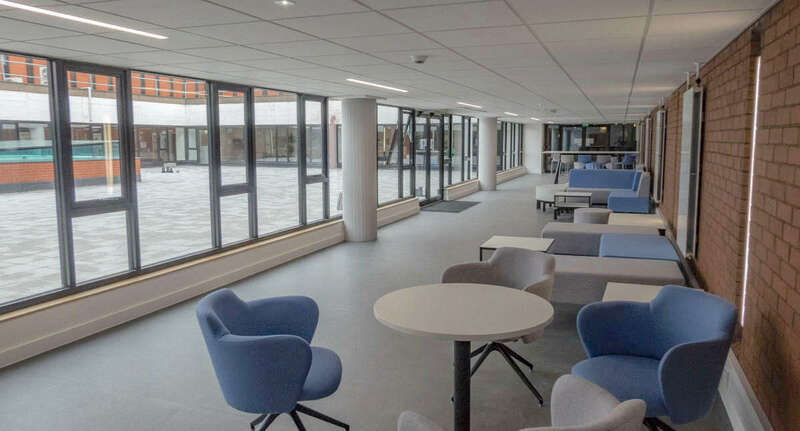 The Turing Lounge – the refurbished walkway space – is shaping up, and seems to be a popular quiet spot for exam revision! We hope that the planters and furniture for the courtyard (and nice weather!) will arrive real soon. If you want to tell us about any mitigating circumstances for the Semester 1 exam period, the deadline is next Mon 28 Jan. If you have any queries, please talk to your relevant Year Tutor (Y1: Sean Bechhofer; Y2: Duncan Hull; Y3: Tim Morris; Y4: Graham Riley; CM: Andrea Schalk). This from Iuliana Voinea (Y3, CSwIE). 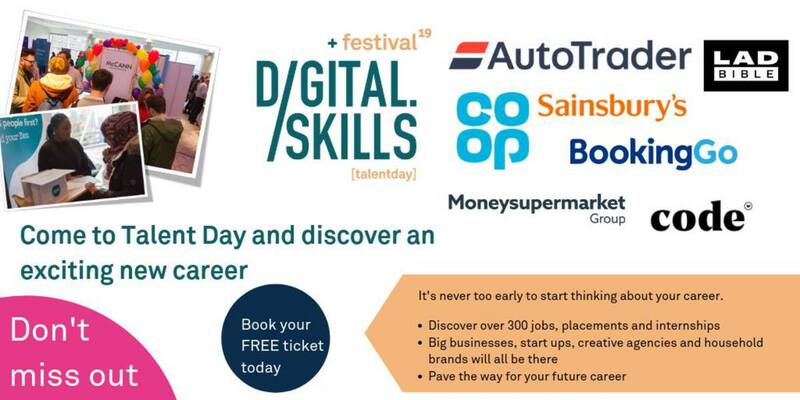 If you are still looking for internships, placements or grad positions in Tech around Manchester don’t miss Digital Skills Talent Day by Manchester Digital at the Principal Hotel (Oxford Street, Manchester) on Tues 5 Feb. Talent Day 2019 will give you access to over 300 jobs, placements and internships and the opportunity to meet face-to-face with the founders, owners, directors and team leaders looking to hire. Come and meet with over 40 businesses. From start-ups to fashion brands, agencies to tech giants, something for everyone. Get your free ticket. Tomorrow Tues 22 Jan at 14:30 in Atlas 1, Oliver Rhodes (Research Fellow, School of Computer Science) on neural simulation on bio-inspired computer architectures. Abstract: The human brain is a remarkable computer: it is low power, performs complex computations in fractions of a second, and lasts a lifetime. This seminar will introduce neural simulation on the digital neuromorphic platform SpiNNaker, and demonstrate how networks of spiking neurons map to hardware to achieve real-time performance. It will then explore how neural modelling at large scale contributes to neuroscience research, and how we can control neurorobotic devices such as humanoid robots and prosthetics. All welcome. SEMINAR – ENERGY EFFICIENT COMPUTERS. Tomorrow Tues 22 Jan at 15:45 in Atlas 1, Delong Shang (School of Computer Science) on energy efficient computers – bio-inspired computing. Abstract: Performance has always been a priority for computing. With Moore’s law approaching an asymptote, performance gained from semiconductor technology advancements is fast diminishing. The simplest way to improve computer performance is by increasing of number of cores without moving to higher degrees of integration. However due to power constraints (Power Wall), this simplest method is encountering challenges. All welcome. This Weds 23 Jan at 11:00 in LT 1.4 Dr Iraklis Symeonidis (University of Luxembourg) will talk about analysis and design of secure and privacy-enhancing information sharing systems: the case of Facebook and car sharing. Abstract: The advancement of communication technologies such as the Internet, mobile communications, wireless networks and online platforms has eased the exchange of information between individuals: it has enabled collection of large amounts of personal data to an ever-increasing rate. In this talk, we focus on two use cases: the interdependent privacy on Facebook and the privacy issues of car sharing systems. All welcome. This Thurs 24 Jan at 10:45 in 1.15 Adeel Ahsan (University of Stirling) will talk about the role of awareness and universal context in a spiking conscious neural network. Abstract: What is awareness or consciousness? Think of a well-trained and experienced car driver who automatically identifies and follows the traffic protocols in different surrounding environments. How does it happen in the brain? How does the biological neuron integrate the incoming multisensory signals with respect to different situations? In this seminar, I’ll present a new theory on the role of awareness and universal context that can help to answer these crucial neuroscience questions. All welcome. Science Busking involves approaching people, showing them intriguing and entertaining science demonstrations or tricks – much like street magicians! As a Science Busker, you will help to enthuse and engage with hundreds of Festival visitors, bringing the fun and wonder of hands-on science tricks to the streets of Manchester. You will get to meet and work with like-minded people and enjoy a positive and memorable experience. The University will supply Training and mentoring, all the busking kit you’ll need to become a Science Busker, A UoM Science Busker branded t-shirt to wear on the day, valuable experience of working on a high-profile public engagement event, refreshments and snacks to keep your energy levels up. Interested? Sign up for a training session. For more information contact: Dee-Ann.Johnson@manchester.ac.uk. Good morning UG! It’s Monday 14 January. Welcome back and Happy New Year! I hope you had a good break. The two-week exams period starts today, so I wish you good luck. Make sure you know your schedule (see full exams list), and in case of emergencies, email SSO immediately or call them on 0161 306 8155. On with today's news! Congratulations to Simeon Tsvetankov (Y2, CSEwIE) who is the recipient of this year’s Kneebone Bursary award, sponsored by the Kneebone family and ARM. If you want to tell us about any mitigating circumstances (please use only this electronic form, not paper, or the University’s form) for the Semester 1 exam period, the deadline is Mon 28 Jan 2019. If you have any queries, please talk to your relevant Year Tutor (Y1: Sean Bechhofer; Y2: Duncan Hull; Y3: Tim Morris; Y4: Graham Riley; CM: Andrea Schalk). Exam Extra is the Library’s package of additional support to help you through the busy exam period. Until Friday 25 Jan, they’ll bring you additional study spaces, My Learning Essentials workshops with exam tips and wellbeing benefits, plus extended opening hours and extra staff on hand to help you with whatever you may need. Check out our new podcast about the new UCIL AI course UCIL20122, AI: Robot Overlord, Replacement or Colleague? run by Caroline Jay, Andy Brass and Iliada Eleftheriou. Taking a UCIL unit is an opportunity to try out something different, gain a new skill, and broaden your horizons. UCIL courses are credit-bearing and count towards your degree. Check out the UCIL website. Final year students, are you interested in a fully-funded PhD on Human-Robot Interaction for nuclear robotics? See details, deadline to apply 31 Jan 2019. Guidance for GNU/Linux, with a demo of StrongSWAN IPsec VPN. Tomorrow Tues 15 Jan 19:00-21:00 at Manchester Technology Centre on Oxford Road (M1 7ED). The Faculty of Science and Engineering’s Better World Showcase celebrates the staff and students who are making a difference through various social responsibility projects. They're taking posters about these projects on a roadshow to highlight the fantastic work that goes on across the Faculty. Visit the roadshow and see posters of over 40 different initiatives in: Renold Building Concourse: today Mon 14 Jan-Fri 18 Jan; University Place: next Mon 21 Jan-Fri 25 Jan. Or visit the Virtual Showcase. Have your say and vote here (deadline Mon 28 Jan). Would you like to help some of the poorest communities in the world? The Faculty of Science and Engineering has partnered with the University of Amrita in India to offer you the opportunity to volunteer over Summer 2019 and join their Live-In Labs programme July-August. Details (deadline 31 Jan 2019). Good morning UG! It’s Monday 10 December. Not only is it Week 12, but it’s also the final week of the Semester – as I think you will probably know! I hope that this Semester has been a good time for you. The Monday Mail will be back on 14 January, for the first week of the exams. Until then, I wish you a very happy Christmas break, and see you in 2019! 37 projects! 272 students! 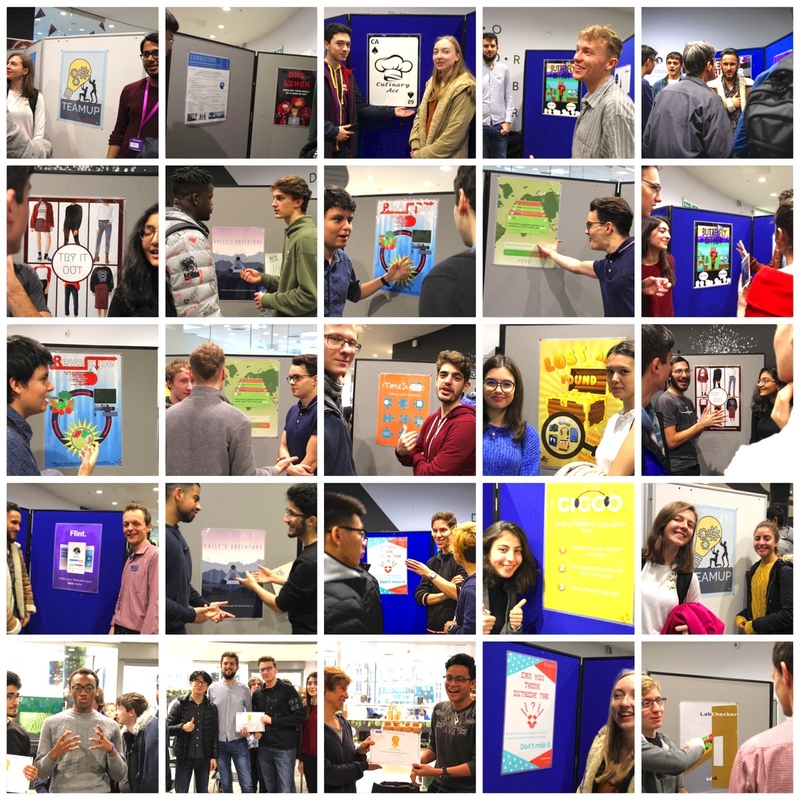 The First Year Project poster session in University Place last Thursday was buzzing, with fantastic ideas on display – see all the posters in the Y1 Project Poster Gallery, and pix and video on Instagram. Onto the prizes! M2 won Best idea/concept for "Golly" – Theodore Aaron-Obelley, Mudassir Ahmed, Mohamed Al-Fakih, Ivan Dewerpe, Flavius-Andrei Diaconu, Selwyn Lilley, Jordan Lloyd, Michelangelo Prisciano, Tutor: Markel Vigo; Most visually appealing poster went to W3 for "Butterfly Effect" – Danah Yahya, Vlad-Andrei Cojocaru, Theodora Konstantinou, Joseph Lawrence, Shangjie Lyu, Anna McCartain, Victor-Andrei Miron-Uritu, Tutor: Kung-Kiu Lau; and Most carefully thought-out plan was won by Y3 for "One Liner" – George Condei, Raditya Hendarmo, Sneha Kandane, Kacper Maksymowicz, Cristina-Malina Mircescu, Mann Patel, Yirong Yu, Tutor: Aphrodite Galata. Well done everyone! Costanza Maria Improta (Y3, CSwIE) and Ben Lister (Y3, CMwIE) write: It's the end of the semester and so we are running a special PASS1 session. We will be having a Christmas Quiz in Collab 1 this Weds 12 Dec at 12:00! Come along to have some fun, and try to win our prize for the best Christmas jumper! See you there! Zyad Bamigdad (Y3, CSE) writes: This week's session will be light. We will talk about 3rd year projects, optional units for the second semester, and anything else you guys want us to talk about. You can send requests, questions, or anything through this form. Best wishes for the holidays! The exams timetable for January 2019 is now published. A reminder that we have an archive of past exam papers, which includes comments from staff on the way exams were answered. From Sat 15 Dec-Fri 21 Dec inclusive and from Weds 2 Jan-Sun 13 Jan 2019 inclusive, UG student access is daily between 10:00-20:00 (with valid Out-of-Hours Pass). Labs open during this period are LF31, Tootill 0 and Tootill 1, Collabs, 1.8. From Sat 22 Dec-Tues 1 Jan 2019 inclusive Kilburn and IT Building are closed and there is no student access. The Learning Commons and George Kenyon IT Cluster are open throughout this period except for Tues/Wed 25/26 Dec. The School's Student Support Office (SSO) will be open as usual during December from 09:00-17:00, apart from the following: today Mon 10 Dec closed 14:30-15:30; Mon 17 Dec closed from 14:00; Tues 18 Dec closed from 15:00; Weds 19 Dec closed from 14:15; Fri 21 Dec closed from 15:00 until Weds 2 Jan 2019 re-opening after the University's Holiday period at 09:00. Wishing everyone a very Happy Christmas and Prosperous New Year! This from Amelia Huang (Y3, CSwIE): Last Saturday, UniCS and MMU’s helloHackers hosted an MLH Local Hack Day at The Shed in MMU. It was a great 12 hours of hacking, with over 70 attendees all picking up new skills or building amazing projects! Congratulations to Best Project winners Heido Nomm (Y1, CS) and Albert Viilick (Y1, CSBMwIE), who built an app that recognises and translates foreign currency price tags into your home currency. A huge thank you to all the mentors and volunteers who offered invaluable knowledge and support, and thank you to everyone for making it such a huge success! Photos from the event can be found here (and below). See you all at StudentHack VII! This from Joe Blackmore (Y3, CS4wIE): PEAK AI, a Manchester-based Artificial Intelligence and Data Science startup is coming down to Kilburn this Weds 12 Dec to talk about data science in the industry. Pop down to LT 1.5 from 14:00-15:00 to hear them talk about the daily life of an industrial data scientist and how one can break into the industry after University. And of course there will be pizza! Rebecca Wiggins (Y2, CS) writes: Save the date for the 2019 May Ball! It’ll be hosted at the Midland Hotel on 10 May 2019. Tickets available after Christmas. Don’t forget to bring your formal wear back from Christmas break! Amad Aslam (Y3, CSwIE) writes: Thanks to everyone who came to the "AI For Games" talk last Thursday, and special thanks to PhD student William Woof for taking time out of his busy schedule to present for us! For anyone who missed out or wants a recap, the slides can be found here. 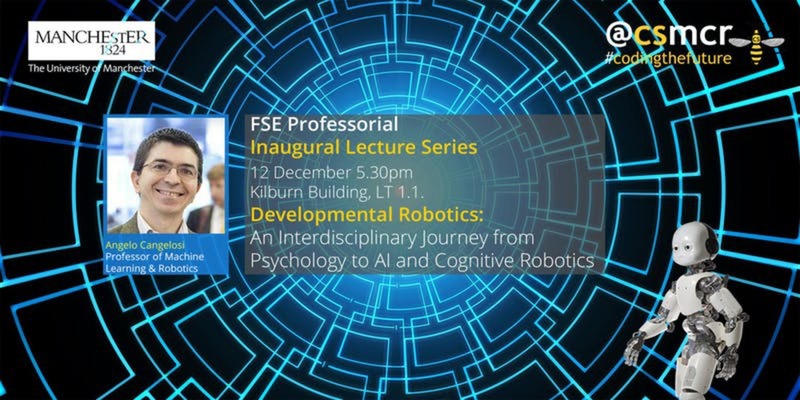 This Weds 12 Dec at 17:30 in LT1.1 Prof Angelo Cangelosi, who joined the School earlier this year, will talk about Developmental Robotics: An Interdisciplinary Journey from Psychology to AI and Cognitive Robotics. Abstract: Developmental Robotics is the interdisciplinary field that aims to design sensorimotor and cognitive capabilities in robots, by taking direct inspiration from child psychology experiments. We will present several examples of developmental robotics models of language learning and grounding, including studies with the iCub robot, and a neurorobotics model combining the iCub and SpiNNaker. All students and staff welcome, just turn up. Get ahead of the latest technology trends by joining ThoughtWorks tonight Mon 10 Dec at Federation House, Defiant Room (M4 4BF) from 18:30. You'll find out about sticky clouds (aka vendor lock-in), lingering enterprise patterns, enduring engineering practices and the increasing pace of technology change. Interested? Register. Drinks and nibbles will be provided and there will be time to network with your peers and speakers. Jonathan Carlton is a PhD student in the School, working jointly with BBC R&D. He’s running a study to explore the relationship between levels of user engagement and interaction data, within the context of online media experiences. During the study, you will be shown step-by-step how to create an Origami Jumping Frog – don’t worry, you don’t need any previous origami experience! It will take roughly 40 minutes to complete, and he will provide the origami paper. Interested in helping with this research? Register. Have a happy Xmas! 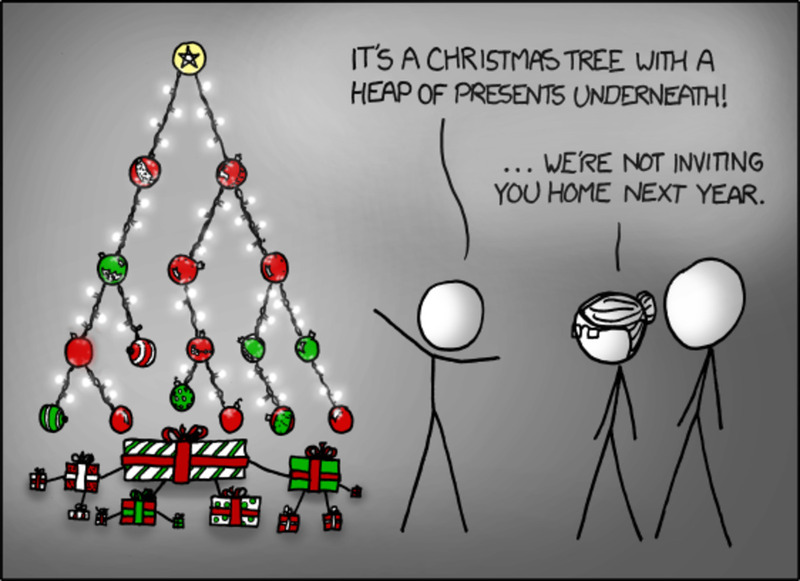 Card courtesy of XKCD. Good morning UG! It’s Monday 3 December, and it’s week 11, a B Week. I hope everything is going well. It's been a long and busy semester but keep going – Xmas is near! Good luck to all First Year students for their project presentations this week, and the poster session on Thursday, which will be in the foyer of University Place at 12:00. Do have a look. On with today's news and I hope you have a good week! Congratulations to Amelia Huang (Y3, CSwIE) and team who last weekend won Best Project at Hatch London, a diversity-focused hackathon aiming to solve 2030 UN Sustainable Development goals. Their idea was an app that aims to help detect early signs of postpartum depression, specifically targeting countries such as India, where mental health has a strong social stigma attached to it. Their project was aligned with the UN healthcare goals of increasing accessibility to healthcare and promoting mental health and stability. The hackathon was structured around sprints and iterating in a way similar to start-ups, with participants needing to prepare an MVP and a 5-minute pitch deck. They won themselves a drone, along with insight days with Accenture and Deutsche Bank. Watch out for news next year for a potential Hatch Manchester! Amelia's trip was supported by the School’s Student Activities Fund. The staff student committee will be meeting this Weds 5 Dec. If you have any issues to raise then please consult one of your student reps. Contact details are in the SSC area on Blackboard. If you’re in a room in Kilburn which is too hot or too cold, please email us, at the time of the problem, and we will try to get it fixed ASAP. We've also put the email in the essential links box above. Aayush Chadha (Y3, AI) writes: Hendrik Mölder (Y3, BM) and I were at Junction 2018 in Arctic Finland last weekend. Junction is Europe’s largest hackathon and hosted close to 1600 hackers this year. We teamed up with the organisers of AUHack to work on building a health app around a graphene-based strain sensor, that detected when you chewed food. We entered the project as an entry into the Data Economics track. Even though we didn’t win, it was a great learning experience, not only as hackathon attendees but also as hackathon organisers. Plus we got to hack with sensors that aren’t typically used at hackathons. In addition to that, the hackathon organisers also allowed participants to indulge in (and hack) Finnish traditions, such as the sauna. The trip wouldn’t have been possible without the support of the School’s Student Activity Fund. 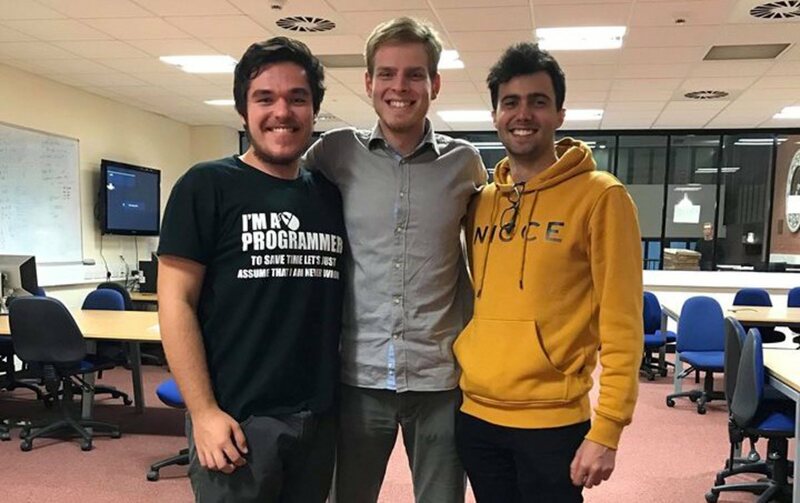 This from Vlad-Andrei Munteanu (Y2, CS): Last week my team Big Dawgs Society – Patrick Sava (Y2, CS), Teodor Pintea (Y2, CSBM) and myself – attended the regional stage of ACM International Collegiate Programming Contest (NWERC) in Eindhoven. We achieved 27th place out of 120 teams from 13 countries. Our trip was supported by the School’s Student Activity Fund. Costanza Maria Improta (Y3, CSwIE) and Ben Lister (Y3, CMwIE) write: This Weds at 12:00, join your PASS session to know more about revision techniques and summer internships tips! As usual, you are also still able to ask academically related questions, or attend one of our unit-specific sessions: COMP15111 in Mercury, COMP12111 in IT401 and COMP11120 in LF6. See you there! Aayush Chadha (Y3, AI) writes: Hey second years, like we mentioned in the last session, this week is going to be about exam prep. To make this session useful and productive, please send us your doubts, questions and requests for tips through this form. If you could send us requests for specific concepts to cover, that would be great as well and we’ll try to accommodate as many of them as possible given the time! Hope to see you all! This from Luke Beamish (Y3, CS4). Our brand new merged society, UniCS (HackSoc&CSSoc) will be holding a forum tomorrow Tuesday 4 Dec at 12:00 in the Mercury room, Kilburn. If you want to get involved, make any suggestions, have any questions, or simply get to know people from the society, you are more than welcome to come! Don't worry, you don't have to be a member of the society to join us, everyone is encouraged to attend. We can't wait to meet you all, see you on Tuesday! Also from Luke: join us for the final social of 2018, the Xmas Pub Crawl! We’re starting at 19:00 this Friday 7 Dec at Ford Maddox Brown and heading into town. Check our Facebook page for updates of where we are throughout the night. Don’t forget to wear your Xmas Jumpers, there will be some free drinks for the best one! Hope to see you all there! Bloomberg are back, and hosting an Agile workshop this Weds 5 Dec from 13:30 in Collab. This will be followed by a Diversity & Community Panel at 16:00. There will be pizza! Places are limited so sign up. The Unit Survey gives you the chance to tell us what you think about your course units, and for Semester 1 courses it runs from today until Fri 21 Dec. Please take a moment to give us your feedback – you can use Blackboard or download the app (iOS | Android). We take your views seriously, we react, and every year we publish a response to your views, for every course unit. For example, here are the responses to your comments on Semester 2 of last year. If you want to tell us about any mitigating circumstances for the Semester 1 teaching period, the deadline is Monday 7 Jan 2019. If there are any mitigating circumstances for the Semester 1 exam period, the deadline is Mon 28 Jan 2019. If you have any queries, please talk to the relevant Year Tutor (Y1: Sean Bechhofer; Y2: Duncan Hull; Y3: Tim Morris; Y4: Graham Riley; CM: Andrea Schalk). Please note that School can only consider your circumstances if you submit a Mit Circs form. This from Danny Dresner (COMP10120 and MSc cyber-teaching): Guest Lectures on this year's PGT Cyber Security programme continue this week in Kilburn 2.19, open to all students and staff. Most of these guests are from external companies with an appetite for graduate recruits. Today Monday 3 Dec at 16:00, Ian Thornton-Trump (Chief Security Officer and International Speaker) on Cybersecurity futures, and at 11:00 tomorrow 4 Dec Colin Williams (University of Warwick) on Meat The Machine: Homo Sapiens Is Obsolete! All Hail Homo Cyborgia! Have you ever wanted to volunteer internationally? Would you love the chance to lead a team in another country? 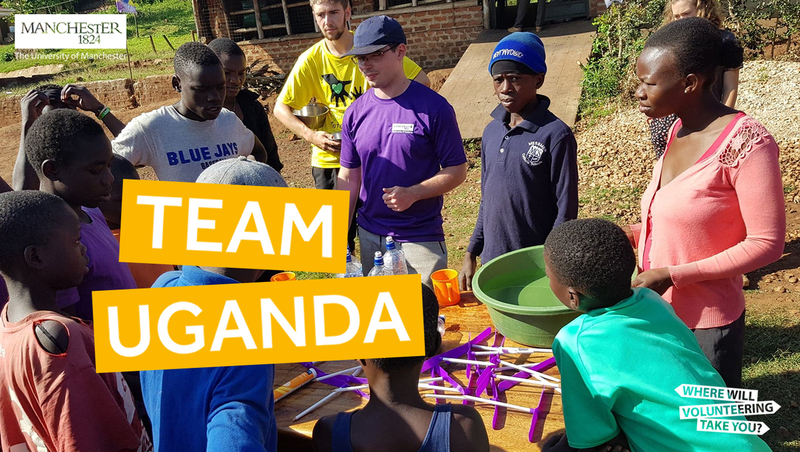 The University is looking for volunteers for Team Uganda, 21 July-19 August 2019. 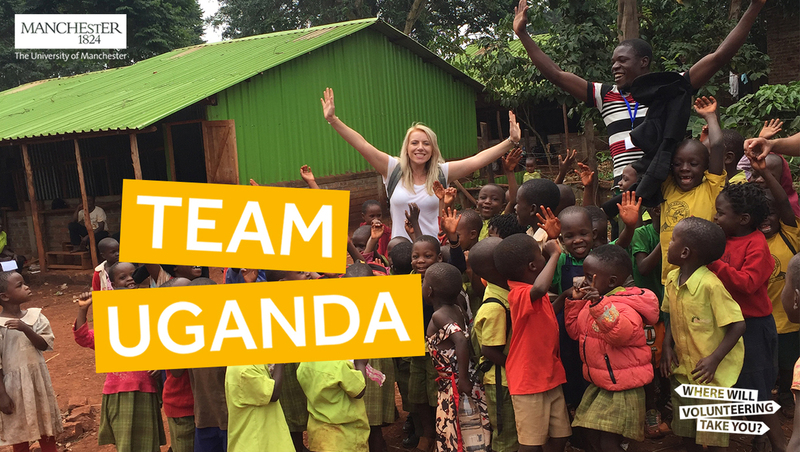 The team will consist of an Assistant Project Leader, 14 Team Members and 8 Ugandan volunteers. Check out the blog from last year to hear from previous volunteers about their adventures. Applications open on 28 January 2019. The Weds 5 Dec in Room A112, Samuel Alexander Building, Prof Chris Hankin (Director, Research Institute in Trustworthy Inter-Connected Cyber Physical Systems) will talk about the current cyber threat landscape in critical national infrastructure and cyber-physical systems more generally, and the use of Deep Learning in anomaly detection and some recent results on evasion attacks. Register. Good morning UG! It's Monday 26 November, and it's Week 10, an A week. I hope everything is going well. The end of term is fast approaching and I hope you're on top of things. If not do have a chat with someone: your Personal Tutor (3rd Year students, this is your project Supervisor) or SSO would be glad to help. On with this week's news, and I hope you have a good week! This from Teodora Stoleru (Y3, CS): Thank you to everyone who attended the WTM Scholarship workshop. It was great meeting all of you and I hope you found it useful. For anyone who was unable to come, or in case you missed my email, here are the slides and the pictures. I would also appreciate it if you could take a few moments to fill in this feedback form. As a reminder, the deadline for the application is Thurs 6 December. Good luck! Costanza Maria Improta (Y3, CSwIE) and Ben Lister (Y3, CMwIE) write: This week there will be some room changes. The PASS groups in IT407 are temporarily moved to G41. Concerning the unit-specific sessions, COMP15111 will take place in Atlas 2, COMP12111 in IT401 and COMP11120 in LF6. The other locations remain unchanged. See you there! Igor Wodiany (Y3, CSwIE) writes: I hope you all enjoyed the last session. This week will talk about computer networks to compensate for the lack of the networks module this year. As questions about routing happen often it is definitely worth attending. Also, slides from the last session are available on the PASS website. In case you think PASS is terribly exciting or terribly boring or too focussed on jobs, let us know via the feedback form, so that we can plan our sessions accordingly! Also we have got some snacks! This from Luke Beamish (Y3, CS4): come join us this Saturday 1 Dec for Local Hack Day, a mini one day hackathon. HackSoc x CSSoc are partnering with MMU's Hello Hackers to bring a fun day of hacking, workshops and food (all free of course). The event starts at 09:00 at The Shed, MMU. The Kate Kneebone Acorn Bursary is an annual commemorative award of £500 funded by the Kneebone family and ARM, since 2013. In addition to the funding, the Bursary offers the opportunity to discuss a funded internship placement (with an Engineering bias) with ARM in Cambridge. All current Year 2 UG students in the School are eligible. See full details and how to apply. Deadline this Friday 30 Nov, 17:00. Flaminia Rosato (Y3, CSwIE) writes: We have the second session of our Game Development Workshop this Wednesday! Join us in Collab 1 from 14:00-16:00. We'll start to add functionalities to our game using C#. You can find materials from the previous session here, so you can get up to speed on what we've done so far. Find the event on Facebook, we look forward to see you there! Also from Flamina: If you are interested in a placement or internship at Activision-Blizzard, you can still apply until the end of the month: email them with your CV and, if you have any, you can include relevant projects or work samples. Find more info about the role on our Facebook page or on Activision's website. Tomorrow Tues 27 Nov is #GivingTuesday, an international day to do "good stuff" to support a worthwhile cause. Here in the School please visit the Academic Support Office, Kilburn 2.01, at the top of the stairs to the second floor, where Melanie Price is collecting for Wood Street Mission, and Karon Mee for Emmeline’s Pantry. At the Making a Difference Fair in the Renold Building from 11:30-14:30 meet organisations including ReachOut, Peer Support, LINK Good Neighbours, Green Impact, Access All Areas, Robogals and blood and organ donation. Bag a bargain and recycle at the Swap Shop in support of The Proud Trust and Barnabus. There’s also a cake sale and at the Barnes Wallis Hub there’s HeartStart CPR training (register). See full details of what UoM is doing for #GivingTuesday. We reported at the start of the Semester that Cristian Bodnar (below left), who graduated in the Summer, won the prestigious annual international Undergraduate Awards, aka the junior Nobel Prizes, in the Computer Sciences category for his 3rd year project Text to Image Synthesis Using Generative Adversarial Networks supervised by Jon Shapiro (COMP34120 AI and Games). Last week Cristian received his award at the big event in Dublin. This is a fantastic world-class achievement! 3rd Year project students, why not think about submitting your project to the Undergraduate Awards next summer? This from Danny Dresner (COMP10120 and MSc cyber-teaching): Guest Lectures on this year's PGT Cyber Security programme continue this week and next in Kilburn 2.19, open to all UG and PGT students and staff. Most of these guests are from external companies with an appetite for graduate recruits. Tomorrow 27 Nov at 12:00, Sarah Clarke on Supply chains and complex interactions; at 14:00, Shavana Musa from the University of Manchester School of Law on Cyber lawfare; and at 16:00 Tim Armit (The Post Office) on Resilience and business. Next Monday 3 Dec at 16:00, Ian Thornton-Trump (Chief Security Officer and International Speaker) on Cybersecurity futures and at 11:00 on 4 Dec Colin Williams (University of Warwick) on Meat The Machine: Homo Sapiens Is Obsolete! All Hail Homo Cyborgia! Oliver Dunk (Y1, CS) writes: Every December for the last few years, I’ve enjoyed participating in Advent of Code. It's a series of small programming puzzles released daily from 1 December through to the 25th. I thought it might be good to mention in the Monday Mail, as it’s a fun way to develop your programming skills or even learn a new language! The puzzles show up here and I have a private leaderboard if anyone wants to join: 27855-854075f1. Just to be clear, it’s nothing to do with me, but I like it enough to try and spread the word! The University believes that everyone has the right to live, work and study in an environment free from the fear of harassment or violence. The Speak Up! Stand Up! campaign is a collaboration between the University and the Students Union that calls for action on harassment, hate crime and sexual violence. If you want to know more about where to draw the line, have a look here. If you want to report bullying or harassment go here. CYBERINFRASTRUCTURE. Tomorrow Tues 27 Nov, 14:00-15:00 in Kilburn LT1.4 Ewa Deelman (University of Southern California) will talk about Science Impact of Sustained Cyberinfrastructure: The Pegasus Example. The recent observation of gravitational waves produced by colliding neutron stars is a clear display of the increasing impact of dependable research cyberinfrastructure on scientific discovery. This talk describes the challenges of developing and sustaining cyberinfrastructure capabilities that have impact on scientific discovery. Just come along, all welcome. SOFTWARE VERIFICATION. This Weds 28 Nov, 13:00-14:30 in Kilburn LT1.5, Lucas Cordeiro (COMP26120) will talk about Automated Software Verification and Synthesis in Unmanned Aerial Vehicles. Lucas will give an overview of automated software verification and synthesis techniques and then discuss the challenges, problems, and recent advances to ensure safety, security and reliability regarding UAVs. Just come along, all welcome. Good morning UG! It's Monday 19 November and it's Week 9, a B week. We're 3/4 of the way through the Semester, and I hope things are going well. Remember, if you have any concerns or there's anything we can do to help, please let us know. Speak to your Personal Tutor (3rd Years: this is also your Project Supervisor) or pop into SSO. Now on with today's news and I hope you have a good week! This from Luke Beamish (Y3, CS4): Last week GUH 2018 took place once again at the MMU Business School! With over 200 attendees, 15 sponsors, partners, and lots of motivated organisers and volunteers, we made this event into an unforgettable memory. Congratulations to all the winning teams and a big thank you to all the participants that filled the place with creative ideas and fun projects! Photos and stories from GUH can be found on our facebook, instagram and twitter pages, and in our next blog post! See you all at StudentHack VII! And congratulations to Amelia Huang (Y3, CSwIE) and Gurmukh Singh (Y2, CS) whose GUH minigame won the Skyscanner challenge for most creative use of the Skyscanner Travel API. 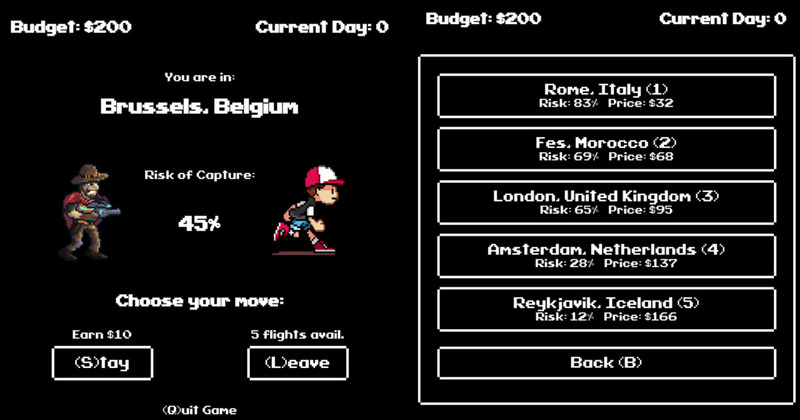 Amelia and Gurmukh say: in the game, you’re a man on the run from your captors, and you have to use your limited budget wisely to escape by flying around the globe. The game is built in ReactJS and is completely client-side and serverless, using a Lambda function to call the API securely. Play it here ! Costanza Maria Improta (Y3, CSwIE) and Ben Lister (Y3, CMwIE) write: Thank you to everyone who filled in our form! Thanks to your help, we are now able to provide some module-specific PASS sessions, as an alternative to your normal ones, starting this Weds at 12:00. So far, we will be holding COMP11120 in LF6, COMP15111 in Mercury and COMP12111 in IT401. The normal PASS session will still be on as usual, so choose to attend whatever best suits your needs. Hope to see you there! Igor Wodiany (Y3, CSwIE) writes: I hope you all enjoyed the last session. This week will run a Git workshop with focus on common pitfalls you encounter in Software Engineering. Please bring your laptop if you can. Also, slides from the last session are available on the PASS website. In case you think PASS is terribly exciting or terribly boring or too focussed on jobs, let us know via the feedback form, so that we can plan our sessions accordingly. Also we have got some snacks! The Kate Kneebone Acorn Bursary is an annual commemorative award of £500 funded by the Kneebone family and ARM, since 2013. In addition to the funding, the Bursary offers the opportunity to discuss a funded internship placement (with an Engineering bias) with ARM in Cambridge. All current Year 2 UG students in the School are eligible. See full details and how to apply. Deadline Friday 30 Nov.
Teodora Stoleru (Y3, CS) writes: Don't forget about the Women Techmakers Scholarship workshop this Weds at 14:00 in Collab 1. If you're interested in attending, register and start working on your application before the workshop. We'll have an interactive section where we'll be discussing what makes a strong application and learning how to apply those principles directly to your essays. We also have refreshments and some surprises from Google prepared for you. Hope to see you on Wednesday! This from Joe Blackmore (Y3, CS4wIE): Give-a-Grad-a-Go are coming to run a CV, Cover Letter and Interview Preparation session from 16:00-18:00 in Collab this Weds 21 Nov! Come along to get some useful advice on how to improve your applications. And American Express are back for a tech talk and workshop in Collab from 17:00 this Thurs 22 Nov, where pizza will be provided! This will be followed by a Pub Quiz upstairs at KroBar from 19:30. 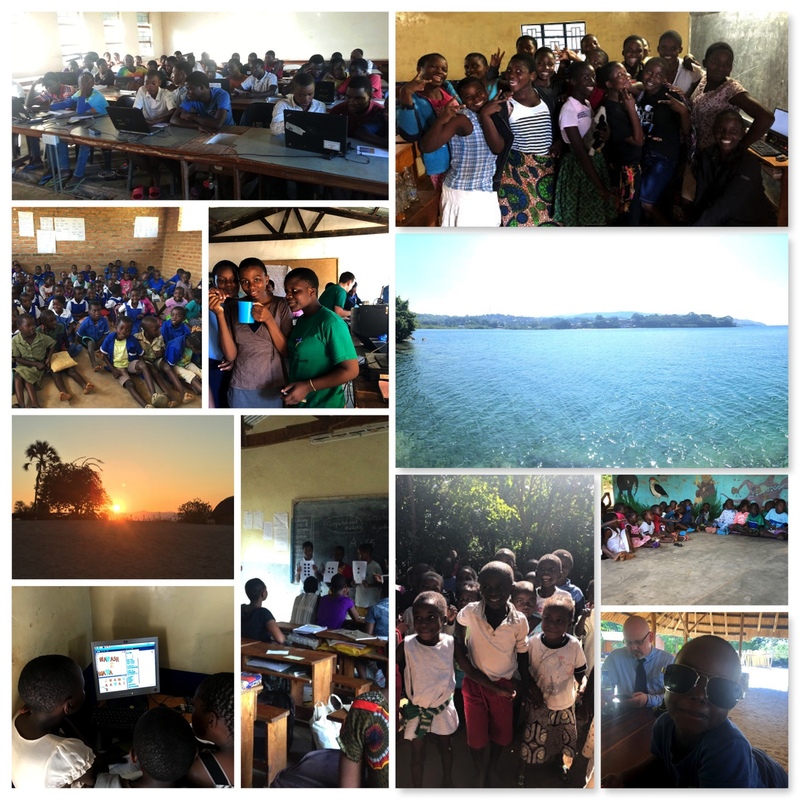 As you will know the School has been involved in two trips to Malawi to bring Computer Science to schoolchildren. A third trip in June 2019 is now being planned and we’re seeking volunteers. Ben Possible (who went this year, graduated 2018) will be hosting a café where students who are interested can stop by to ask him about the trip, and his own personal experience. He’ll be in the Byte Café for the next two Tuesdays after 14:00. This is a paid opportunity for international students (who pay overseas tuition fees). The Manchester Calling Campaign (MCC) is a telephone campaign run by the University’s International Office which aims to provide phone calls from current students to international offer-holders of the University. As a Telephone Campaign Assistant, you would be making some of these calls, so it's your chance to be the friendly voice of Manchester for these students. Apply, deadline 15:00 Friday 30 Nov. 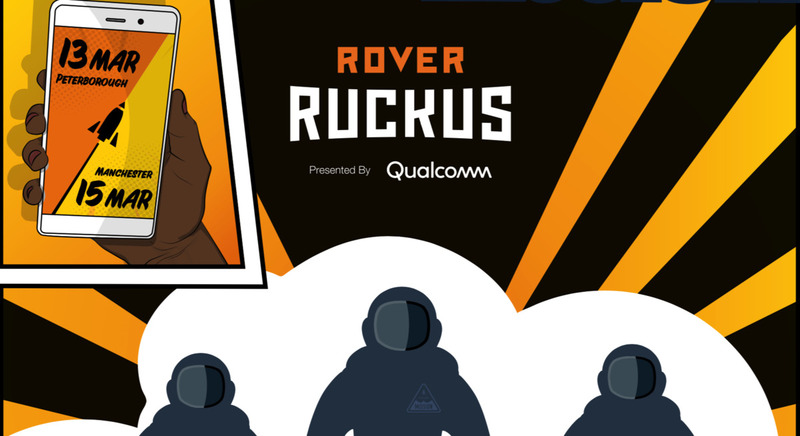 Win up to $5,000, the chance to compete for a share in the grand prize of $24,000, and an all-expenses-paid trip to Rocket.Build near Boston, Massachusetts, USA. The Challenge uses the Rocket MultiValue application platform, a real-world application development platform used by thousands of well-known, large organisations around the world, which combines an embedded database and development platform, so you can easily create applications. Find out more. At Manchester Free Software's November Meeting, there will talks about AppArmor + auditd, Debian Installer preseeding for security, boot process hardening including GRUB, and the monthly Security monthly round-up. Tomorrow Tues 20 Nov 19:00-21:00 at PLANT NOMA (M60 0AE). The University offers three travel awards annually for students wishing to travel either as part of their course or outside term time: the Zochonis Special Enterprise Fund (to assist students with the cost of a project or special study), the H.E. David Travelling Scholarship (to foster international understanding and goodwill), and the Pawel Koprowski Memorial Vacation Award (to enhance your studies or for a holiday). Deadline for applying 22 March 2019. Good morning UG! It's Monday 12 November and it's Week 8, an A week. I hope everything is going well, especially for Year3 students who are doing their Lightning Talks at the moment. Have a good week everyone, and on with today’s news! 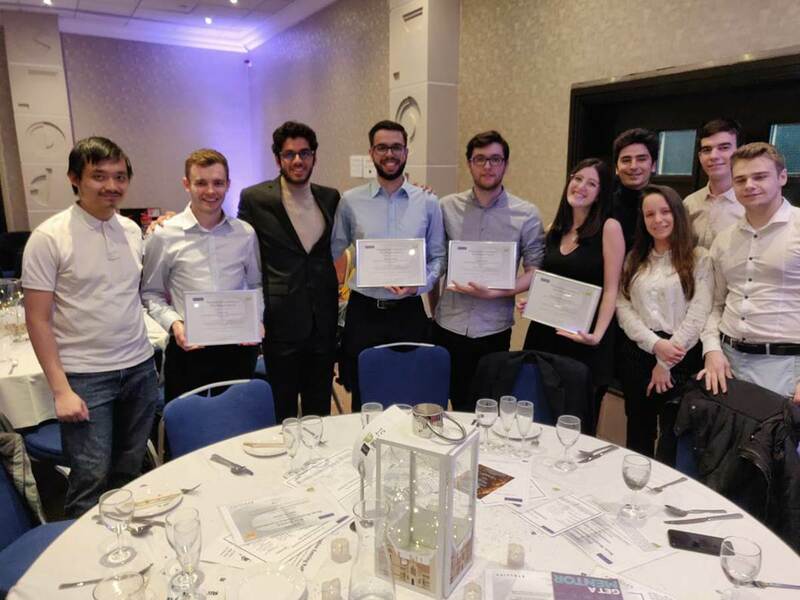 This from Luke Beamish (Y3, CS4): We are pleased to announce the UoM community has won First Place in the MLH 2018 EU season! MLH ranks every hacker community based on attendance and the number of wins at hackathons across Europe. We will be having a celebration (with pizza of course) in Collab at 13:00 this Weds 14 Nov, during which this year's trophy will be presented. Congratulations to Foundation Year student Gurneet Bhatia, whose team won the "Most Disruptive" award at JacobsHack2018 in Bremen, Germany. They built an android application to use crime stats data provided by the UK police to determine the safest route to take, using the Google Maps API. Also at JacobsHack were Aayush Chadha (Y3, AI) and Natalia Gutanu (Y2, HCI). They developed a system to automate facial expression recognition that delivers real-time social cues to children with Autism Spectrum Disorders. They want to share a tip with you – installing openCV on a Raspberry Pi is a time-consuming activity! Their trip was supported by the School’s Student Activities Fund. Costanza Maria Improta (Y3, CSwIE) and Ben Lister (Y3, CMwIE) write: As we are now past half of the first semester, we have decided to put in place some PASS Module-Specific Sessions to help you with your understanding of the various topics. There will be some specifically trained PASS leaders ready to answer your questions, solve your doubts or go over a particular topic from a given module. We would be grateful if you could register your interest on this form, in order to organise these sessions in the best way possible. See you on Wednesday! The President of the University, Nancy Rothwell, is making her annual visit to the School tomorrow Tues 13 Nov and she's holding an informal open 30-minute meeting for students (students only, no staff) at 15:00 in Kilburn 2.15 (2nd floor). Come and talk to the person that runs the University! If you can’t make it, ask a Student Rep who can attend to raise an issue on your behalf. This from Mariya Tsvarkaleva (Y2, CSwIE): Hey everyone! We're excited to announce that HackSoc&CSSoc is launching a blog! In there, you will find lots of photos from past events, people sharing their experience, and fun stuff we did! Make sure you follow our blog and feel free to email us if you want to contribute! A reminder that we have scheduled systems maintenance downtime from 18:00 this Weds 14 Nov to 09:00 on Weds 15th. During this period all School systems, including ARCADE, will be unavailable. So please plan around this, and in case of difficulty please contact the relevant Course Unit leader. Flaminia Rosato (Y3, CSwIE) writes: Join our first Game Development Workshop! We'll be building a game step by step using Unity. 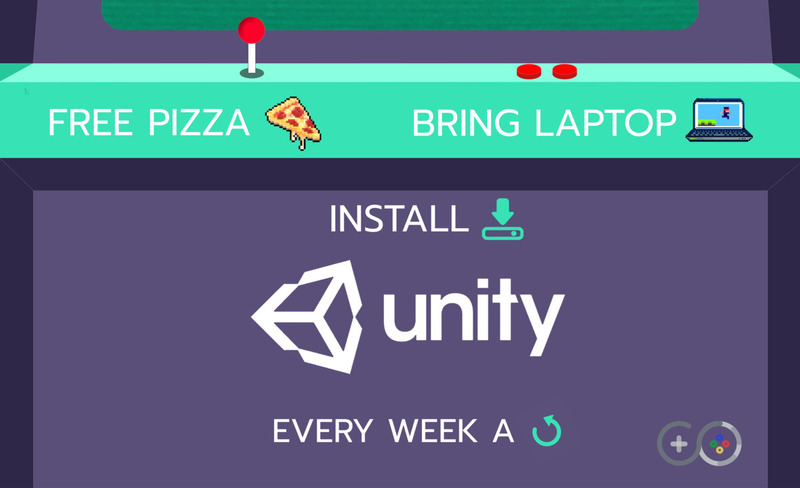 Meet us in Collab1 this Weds 14 Nov at 14:00 for the first session, with Unity installed on your laptop. Pizza and drinks provided! You can register here and find our event on Facebook. We will hold sessions every two weeks, so make sure to follow us on Facebook and Instagram! This from Saira Hassan (Y2, CSwIE): Our next event is a fun beginner-friendly workshop on Bandit Wargames, which will teach you shell scripting and some basic security principles. We will be in the Mercury room this Weds 14 Nov at 12:00. All you need is a laptop and yourself! This from Danny Dresner (COMP10120 and MSc cyber-teaching): Guest Lectures on this year's PGT Cyber Security programme continue this week and next in Kilburn 2.19, open to all UG and PGT students and staff. Most of these guests are from external companies with an appetite for graduate recruits. Today Mon 12 Nov @12:00, Jon Noel from McAfee on "Malware Evolution", and at 14:00 tomorrow Tues 13 Nov, Alan Jenkins, late of the RAF and IBM, on "Leadership". And next Mon 19 Nov @12:00, Detective Mike Roberts, North West Regional Organised Crime Unit on "Digital Forensics". All welcome. 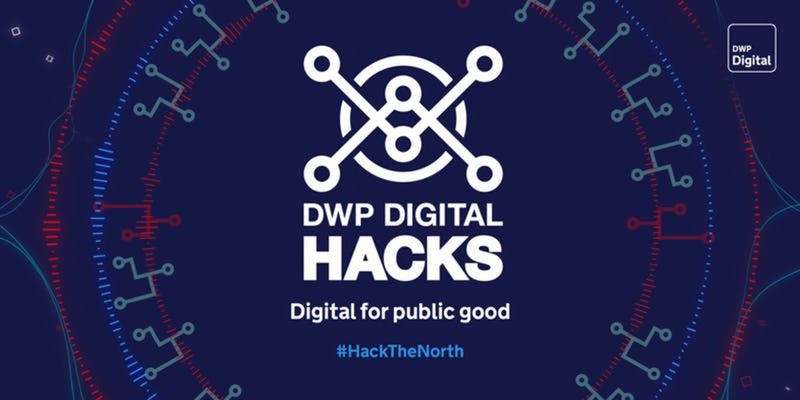 The Government’s Department of Work and Pensions digital team is hosting a free Hack event in Manchester. The aim of the event is to bring together a variety of digital specialists to hack digital solutions that could help vulnerable people in the Manchester area access key support services quickly and easily. Full details and tickets. Event starts 13:00 Fri 23 Nov at The Studio (M1 1FN), then continues from 08:30-16:00 on Saturday. Food and refreshments provided, and prize for the best solution. The womentechmakers.com program enables women to excel in computing and technology and become active leaders and role models in the field. Sponsored by Google, the scholarships provide a EUR 7,000 EUR award for the 2019-2020 academic year. All scholarship recipients will be invited to attend the annual Women Techmakers Scholars' Retreat in summer 2019 to connect with fellow scholars, network with Googlers and participate in a number of workshops. Teodora Stoleru (Y3, CS) will be running a workshop about Google's Women Techmakers Scholarship next Weds 21 Nov at 14:00 in Collab 1. She'll be explaining the process, giving you tips for the essay questions, and telling you about her experience as a 2018 Scholar. Register, and start working on your application before the workshop. Deadline for scholarship applications is 23:59 on 6 Dec. Final year students: is your final year project making you think 'Research is great, I want to do more of this'? Did you know that you do not need a Master’s degree in order to apply for a PhD? Do you wonder what new ideas your lecturers get really excited about? Or what the really important problems are that industry needs to solve? If yes, then you may be interested in continuing to study with the School of Computer Science for a Postgraduate Research degree (PhD/EngD/MPhil). Come along to meet our Postgraduate Research Recruitment Tutor Dr Bijan Parsia to discuss PhD opportunities, research projects and proposal ideas. This Weds 14 Nov 13:00-14:00 in Room IT401. You also might be interested in the Law Fair & Postgraduate Study Fair this Tues/Wed 13/14 Nov at Manchester Central. This Weds 14 Nov, G107 Alan Turing Building, a 1941 Germany Army Enigma machine will be coming to the University. This special lecture will showcase the Enigma and work conducted by the Henry Royce Institute to reveal a new perspective on the machine, with 3D images taken using X-Ray CT technology. Speakers from the Schools of Maths and Computer Science will also give their perspective on Alan Turing and his enduring legacy at the University of Manchester. Register. STEM Women run free community events for female students studying Science/Technology/Engineering/Maths subjects. They’re running an event at the Bridgewater Hall in Manchester this Weds 14 Nov 11:30-16:30. Keynote speaker: Liv Boeree. Exhibiting employers include PwC, Network Rail, Citi, JP Morgan, Volker Wessles, Emis Group, CGG, RBS, Vodafone, Sky Betting and Gaming, Jacobs, AND Digital, First Group, Bakkavor, Cummins, Bakkavor, Graham, John Sisk, Wood and Lend Lease. Register. Good morning UG! It’s Monday 5 November, and it’s Week 7, a B week. I hope you had a chance to recharge your batteries last week. Now it’s back to business as usual, and we’re on the home stretch towards Xmas – 6 more teaching weeks to go! And good luck to all 3rd Year students whose Lightning Talks start this week. So have a great week, and on with today’s news! Luke Beamish (Y3, CS4) reports: A week ago 12 of us travelled to Sheffield to participate in the fourth HackSheffield, a 24 hour hackathon. Between us we built a 3/4 player pong (Sara Caballero-Bruno (Y2, CSE), Lucas Diaz Fiol (Y2, SEwIE), Caitlin Fotheringham (Y2, CSwIE), Evgeny Serebrenny (Y2, CS)), an online budgeting application using the Capital One API (Anda Andronie (Y2, CSwIE), Denisa Baboi-Dragan (Y2, BMwIE), George Chiriluta (Y2, CS), Ben Piggott (Y1, CSwIE)) and an investment adviser using sentiment analysis of news articles (Dan Ally (Y3, CS), Luke Beamish (Y3, CS4), Vlad Farcas (Y3, CSwIE), Zara Robinson (Y3, SE)). Thanks to the amazing team over at Sheffield, who alongside the main event were able to run some fun extra activities, including salsa dancing and yoga. 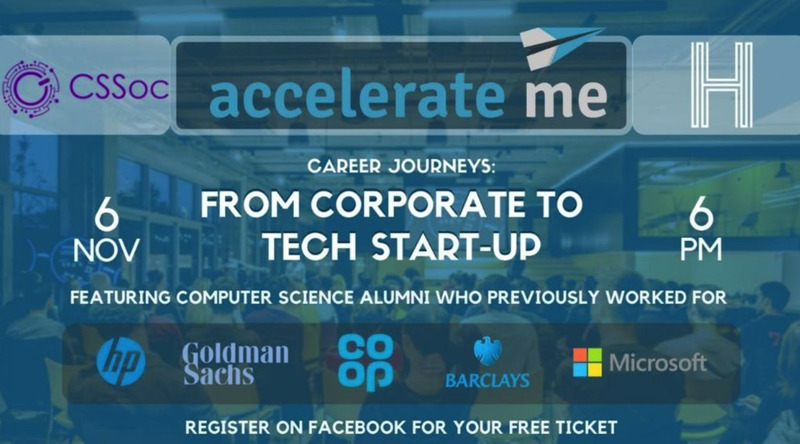 Also from Luke: tomorrow Tues 6 Nov we will be partnering with Accelerate ME, a student-focused start-up accelerator based in Manchester, to bring a panel of experienced computer scientists to Kilburn.The event starts at 17:30 in LT1.1 with a panel discussion, followed by a Q&A. This is a great opportunity for anyone looking to learn about the differences between working in big corporations and small start-ups. Our guests have worked at Microsoft, Goldman Sachs and others before going on to found their own companies. Find out more and book free tickets. Thanks to everyone who participated in our Week 4 "Health Check" survey. We had nearly 230 responses, the majority of which were positive with no issues raised or identified. Where possible, course unit leaders have taken immediate actions to address issues. See a summary of responses. Igor Wodiany (Y3, CSwIE) writes: PASS2 is back this week! In today's session will talk about trees and graphs and go through some examples. Also, slides from previous sessions are available on the PASS website. In case you think PASS is terribly exciting or terribly boring or too focussed on jobs, let us know via the feedback form, so that we can plan our sessions accordingly! Also we have got some snacks! The first meeting this year of the staff-student committee will take place this Weds 7 Nov in IT406 at 14:00. If you'd like to raise an issue then please speak to one of your reps before the meeting (or at any time). A list of your student reps can be found on the SSC noticeboard on LF, and contact details in the SSC pages on Blackboard (under CS UG Community). Our Head of School Prof Robert Stevens will also be at the meeting. This Weds 7 Nov there will be two film crews in Kilburn shooting a new undergraduate recruitment video. They’ll be following groups of students and doing interviews. Cameras will briefly be in some lectures and labs, including COMP23311 at 10:00, COMP16121 at 11:00, and PASS1. The crew will aim to concentrate on faces of students who have agreed to take part in the video, but if you don't wish to be filmed just let the production team know. BAE Systems Applied Intelligence are running their popular Capture the Flag (CTF) event again this year, here in the School. Demonstrate your cybersecurity skills by breaking into websites, cracking ciphers, finding hidden data and analysing packet captures. There will be prizes for the winners and free pizza for all players. Sat 24 Nov, 10:00-16:00, Collab 1 & 2. To sign up, email ctf@baesystems.com from your University email account including: your full name, team name (if applicable), year of study, programme title (e.g. CSwIE). You will need an out of hours pass to participate in the competition. This from Flaminia Rosato (Y3, CSwIE): Come down to LT 1.1 this Weds 7 Nov, 14:00-16:00 for a talk from Activision.You'll find out about the stages of developing a game and get tips on how to secure a job in the gaming industry. Register here and join us to have a chat with our experts! We will also host a series of workshops where we will build a game step by step – look out on our Facebook page, more details to come! This from Danny Dresner (COMP10120 and MSc cyber-teaching): I'm thrilled to announce an improved and more diverse series of Guest Lectures on this year's PGT Cyber Security programme in Computer Science. All lectures take place in Kilburn 2.19, and are open to all UG and PGT students and staff. Most of these guests are from external companies with an appetite for graduate recruits. Today Mon 5 Nov at 12:00, Paul Vlissidis from NCC Group on “Red pills, blue pills, and penetration testing”; tomorrow Tues 6 Nov, Jo Dalton from Pentest Partners on “Hacking vulnerabilities in Industrial Control Systems and the Internet of Things”, and at 16:00 Royd Whittington, late of a major retail bank on “Architecture Governance”. Next Monday 12 Nov @12:00, Jon Noel from McAfee on “Malware Evolution”, and at 14:00 on Tues 13 Nov, Alan Jenkins, late of the RAF and IBM, on “Leadership”. Also from Danny: We’re putting together a team to enter the Atlantic Council's UK Cyber 9/12 Strategy Challenge, at the London BT Tower 11-12 Feb 2019, all expenses paid. To apply, email me with your answer to each of the following questions (75 words max each): 1) What would you consider to be the most significant cyber incident to date, and why? 2) What potential, future cyber incident keeps you up at night, why, and done by whom? Deadline 12:00 Fri 16 Nov. Interested in blockchain tech? 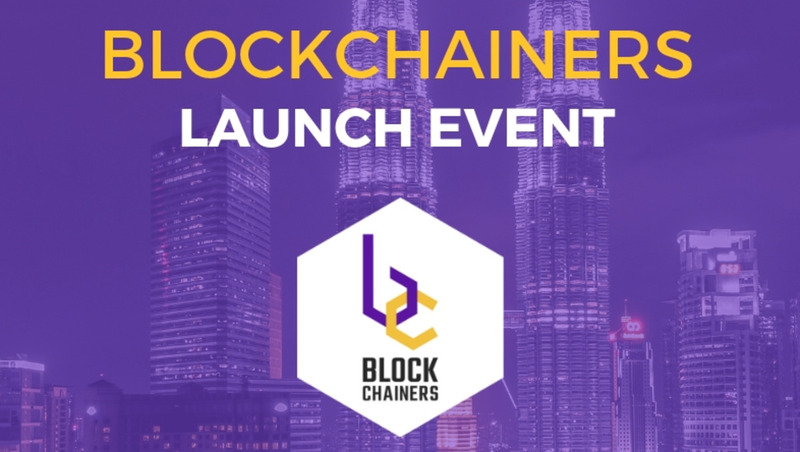 A new UoM student society called Blockchainers is holding its launch event this Fri 9 Nov at 18:00 in the MSP Bright Building at the Manchester Science Park (M15 6GZ), with talks and free food. Free tickets. Are you passionate about positive wellbeing and want to pass this on to other students? Consider being a student wellbeing champion. The University can support you to run events linked to the its wellbeing campaigns calendar, help you with promotion, and link you up with a network of like-minded people. Volunteering roles that benefit other students count towards the Step Up and Lead section of the Stellify Award, and will be recorded on your HEAR. Find out more. 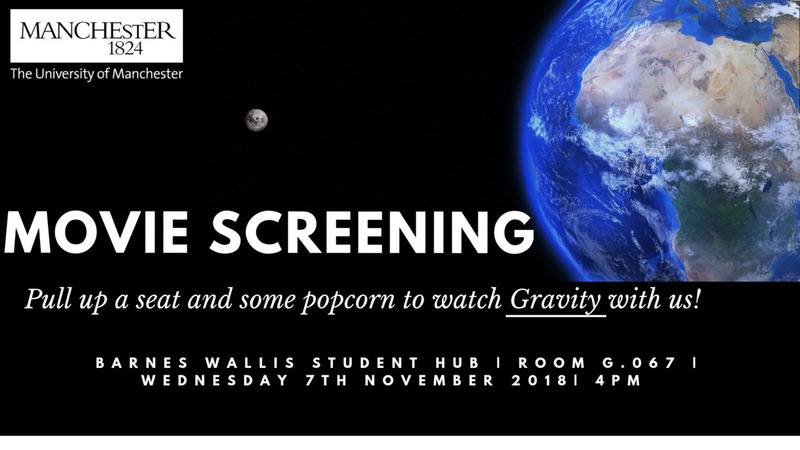 Watch Oscar-winning film Gravity for free, at Barnes Wallis Student Hub (North Campus), Room G.067, this Weds 7 Nov at 16:00. The SU’s Women’s Officer and other students are organising an event, IGNITE, on 30 Nov to raise awareness about sexual violence. The event will include workshops, talks, and stalls from organisations and NGOs around the UK. They’re looking for volunteers to help create a supporting app or website, especially focusing on safety tips around Manchester. If you’d like to help, contact the team. Good morning UG! It’s Monday 29 October, and it’s Week 6 – Reading Week. There are no scheduled teaching activities this week – it's a chance for you to have a break and recharge your batteries and maybe do some catchup. Usual teaching and timetabled activities resume next Monday 5 Nov (Week 7B). Have a good week and enjoy Halloween! The first meeting this year of the staff-student committee will take place next Weds 7 Nov in IT406 at 14:00. If you'd like to raise an issue then please speak to one of your reps before the meeting (or at any time). A list of your student reps can be found on the SSC noticeboard on LF, and contact details in the SSC pages on Blackboard (under CS UG Community). Our Head of School Prof Robert Stevens will also be at the meeting. Igor Wodiany (Y3, CSwIE) writes: I hope you all enjoyed the last session. There is no session this week, but we encourage you to use Reading Week to read our favourite book: "Cracking the Coding Interview". Next week we will go through some examples with trees and graphs. Also, slides from the last session are available on the PASS website. In case you think PASS is terribly exciting or terribly boring or too focussed on jobs, let us know via the feedback form, so that we can plan our sessions accordingly! Also we have got some snacks! 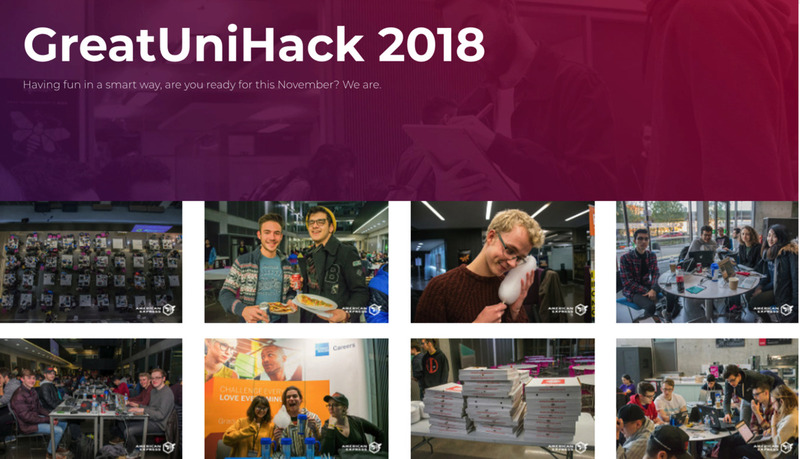 This from Luke Beamish (Y3, CS4): Great Uni Hack, our first 24-hour Hackathon of the year, is fast approaching on 10/11 November and we are in the process of recruiting volunteers. If you think you would like to help us run this event then sign up. There’ll be a feedback session to look at AY17 Semester 2 COMP exam answerbooks at 14:00 on Weds 14 Nov in Atlas. Advance registration required, deadline 12:00 this Weds 31 Oct. Email SSO with your name, student ID number, programme of study, and the list of COMP scripts you wish to view. Returning IE students: to view AY16 scripts please give details in your request. If you wish to view scripts from other Schools please contact them separately. Have you got a great solution to a problem? Here's your opportunity to win a cash prize up to £500 and make your idea a reality. Enhance your CV, gain enterprise and entrepreneurship skills and learn how to identify opportunities and develop ideas. The Venture Out competition is open to all students at the University. You can enter as an individual or a team of up to six members. The entry deadline is 12:00 on Friday 9 Nov. Any questions, ask Luke Beamish (Y3, CS4, pictured below) who entered last year. Mihai-Cristian Olteanu (Y2, CSwIE) writes: the Student Art Pass is very useful for students who like travelling and visiting museums and art exhibitions. It gives free access or 50% off the normal price on most of the art attractions in the UK. The cost of the card is £5/year, so just from 1 exhibition you normally "get your money back". It’s like a railcard, but for art exhibitions & museums! Popular places where it can be used include the Tate galleries, Kensington Palace, British Library, British Museum, Imperial War Museum North, Manchester Jewish Museum. Final year students, would you like to continue your studies with us and do a Master’s Degree? Come to the PGT Open Day next Weds 7 Nov 14:15-15:00 in Atlas 1. Meet Dr Caroline Jay and find out more about our Masters in Advanced Computer Science. This from Lucy Simper, the University’s Rugby Development Intern: we are hoping to create a Computer Science Campus League men’s rugby team. There’s an optional training session at the Armitage Centre on a Tuesday and matches are on a Wednesday or Sunday. Sign up. Good morning UG! It’s Monday 22 October, and it’s Week 5, an A week. As always, I hope everything is going well! A reminder that next week is Reading Week and there won't be any scheduled teaching activities then – it's a chance for you to have a break and maybe do some catchup. But this week is as busy as usual, so on with today’s news! Have a great week! 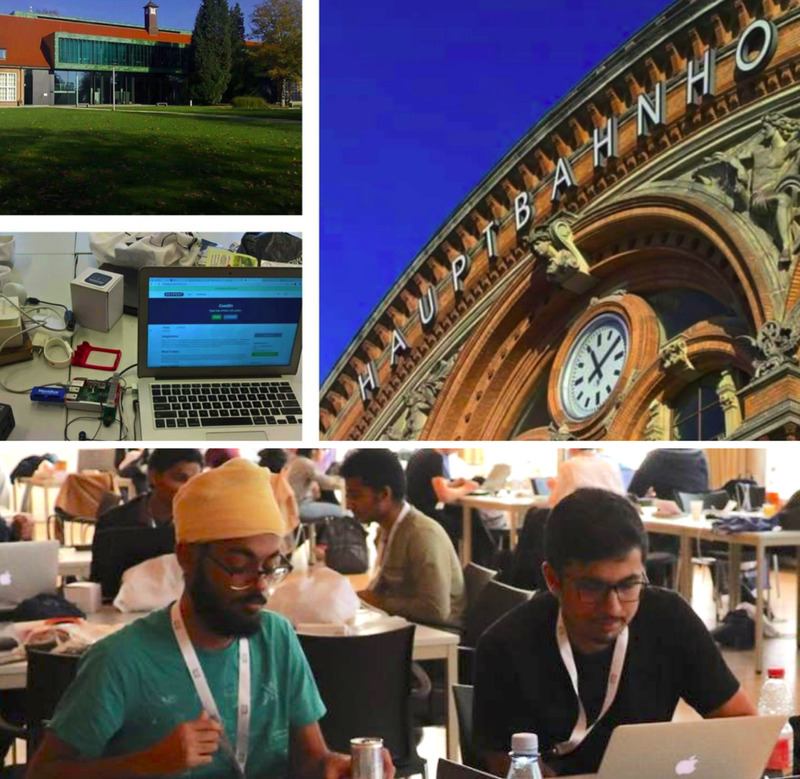 This from Aayush Chadha (Y3, AI): Keeping in line with Manchester’s tradition of attending hackathons over the weekends, nearly 30 of us went to HackUPC in Barcelona. 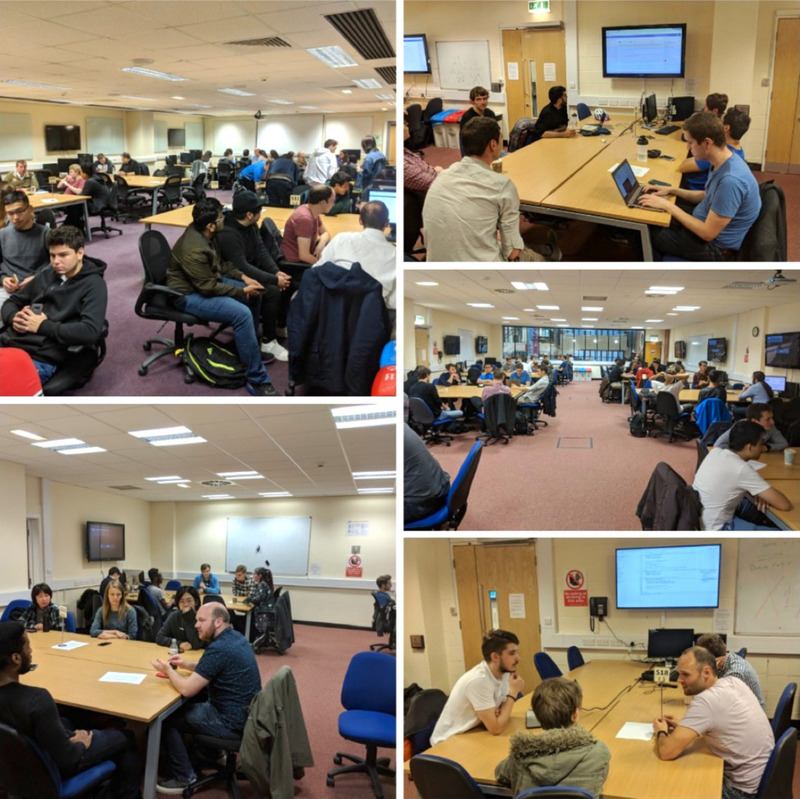 Over the 36 hours of the hackathon, 7 teams from Manchester worked on projects like visualising neural nets using LEDs and a Raspberry Pi (Mihai Bujanca, Ritam Anand (Y2, AI4), Mariya Tsvarkaleva (Y2, CSwIE)), an app for deciding which bin must an item go into (Mihail Ghinea (Y2, CSwIE), Calin Ilie (Y3, CSwIE), Humza Shaheen (Y3, AI), Stefan Trett (Y3, CSwIE)), a fake news detector (Andrej Ivanov (Y3, CS4), Hendrik Molder (Y3, BM), Carlos Miguel Pina Vaz Gomes (Y3, CS), Mina Milad (Y3, SEwIE)), layover optimization using Skyscanner (Saira Hassan (Y2, CSwIE), Laszlo Nagy (Y2, CSwIE), Tejas Chandrasekar (Y2, CS4)), interactive/digital white boards (Anda Andronie (Y2, CSwIE), Adela-Maria Mihaila (Y2, CSwIE), Surya Prasad (Y2, CS4)) and a CV generator (Chionia Kotsalidou (Y2, CS), Steeve Moussa (Y2, CS4), Saif Mir (Y2, CS4)). 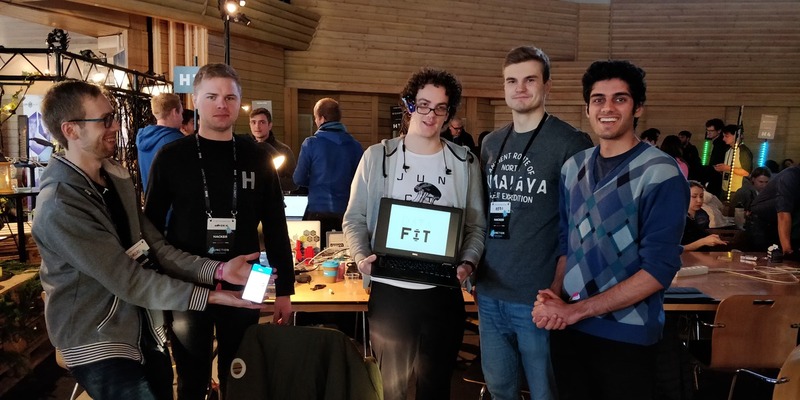 Rifad Lafir (Y3, CSwIE), Catalina Vlad (ITBM @ Manchester), Mihnea Savu (Y3, CSwIE) and Aayush Chadha (Y3, AI) built a hardware hack that allows programmers to remain in the zone, and ended up winning the 3rd place prize. The trip for most Manchester students was supported by the School's Student Activity Fund and the winning project used hardware borrowed from the CS Hardware Library. 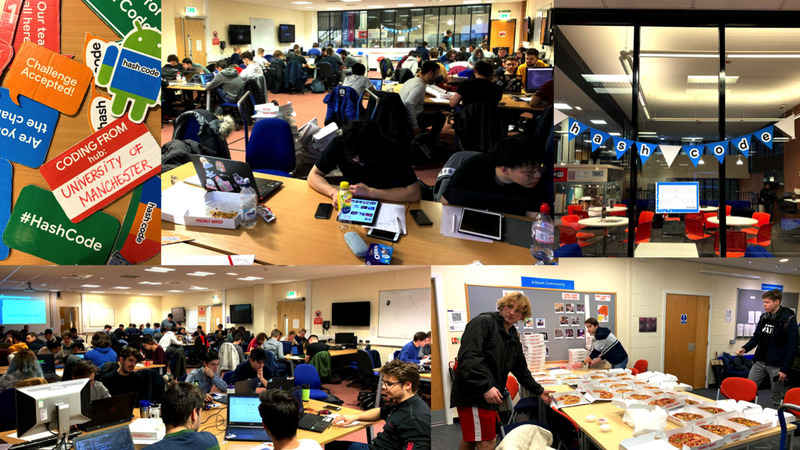 Last Saturday 33 Manchester CS students across 11 teams competed in the 2018 UK/IE Programming Contest which is the first round of the ACM International Collegiate Programming Contest. Congratulations to “Big Dawgs’ Society”– Vlad-Andrei Munteanu (Y2, CS), Teodor Pintea (Y2, BMwIE), Alexandru Sava (Y2, CS) – who ranked on the scoreboard as the leading team from Manchester and the 6th from UK and Ireland. This result guarantees their place in the regional round in Holland in November. Every team solved at least 1 problem and four teams solved 5 (thus placing in the top 50). Manchester is one of only 4 Universities competing with a team in the top 10. Costanza Improta (Y3, CSwIE) and Ben Lister (Y3, CMwIE) write: Come join us this Wednesday to learn more about how to structure a Report and about which Library resources are available to support your studies. Don’t forget leaders are there to help with your academic issues too, so feel free to pop in with specific questions! Igor Wodiany (Y3, CSwIE) writes: I hope you all enjoyed the last session. This week will talk about Big O, hash tables and dealing with rejection. Also, slides from the last session are available on the PASS website. In case you think PASS is terribly exciting or terribly boring or too focussed on jobs, let us know via the feedback form, so that we can plan our sessions accordingly! Also we have got some snacks! 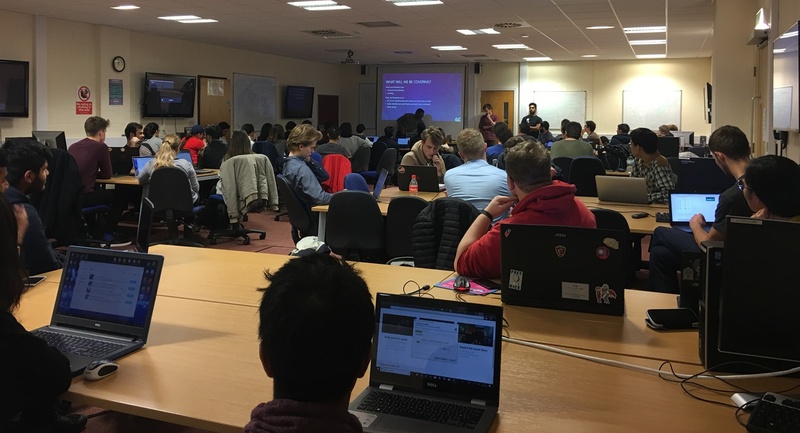 HackSoc & CSSoc ran the third coding class for non-CS students last week, which was greeted with great enthusiasm by students from across the University. If you would like to get involved then find Luke Beamish (Y3, CS4) and the rest of the team in Collab on Thursdays at 12:00. This from Luke: Are you ready for another HackSoc & CSSoc social event? If so, you will love our Bowling & Burgers event this Weds 24 Oct at 18:45 at All Star Lanes. We will provide food, bowl & fun for just £7. Spaces are limited so fill in the form to secure your place. There’ll be a feedback session to look at AY17 Sem2 COMP exam answerbooks at 14:00 on Weds 14 Nov in Atlas. Advance registration required, deadline 12:00 Weds 31 Oct. Email SSO with your name, student ID number, programme of study, and the list of COMP scripts you wish to view. Returning IE students: to view AY16 scripts please give details in your request. If you wish to view scripts from other Schools please contact them separately. Teodora Stoleru (Y3, CS) writes: Thank you to everyone who joined us for the Google @Mcr event last Wednesday. We hope you enjoyed the talk and the Q&A as much as we did. Here you can find the pictures from the event. You should have received a feedback form by now, so please fill it in so we can improve for next time! If you have any additional questions, feel free to email Andrei, Todd, or me. Also from Teodora: We'll be running a workshop about Google's Women Techmakers Scholarship in a few weeks' time. This is a scholarship awarded to women in technology based on academic performance, leadership, and impact on the community of women in tech. If you think that sounds like you, start working on your application and join us for the workshop, where I'll be explaining the process, giving you tips for the essay questions, and telling you about my experience as a 2018 Scholar. Thanks to everyone who contributed ideas, and congratulations to Edward Cooper (Y1, CS4wIE) and Caitlin Fotheringham (Y2, CSwIE) who were picked out of the hat and win £15 vouchers. Meanwhile here are some of the ideas that people sent in: more natural light, aircon in labs, stand-up desks, skateboarding lecturers, circular teaching spaces, lamps to indicate if a room is booked and in-use, all-year-round Christmas-themed study room, a locker room, a high performance computing (HPC) lab, a Visual Recovery room “to rest our exhausted eyes”, more comfy areas, beanbags, and personal study pods. 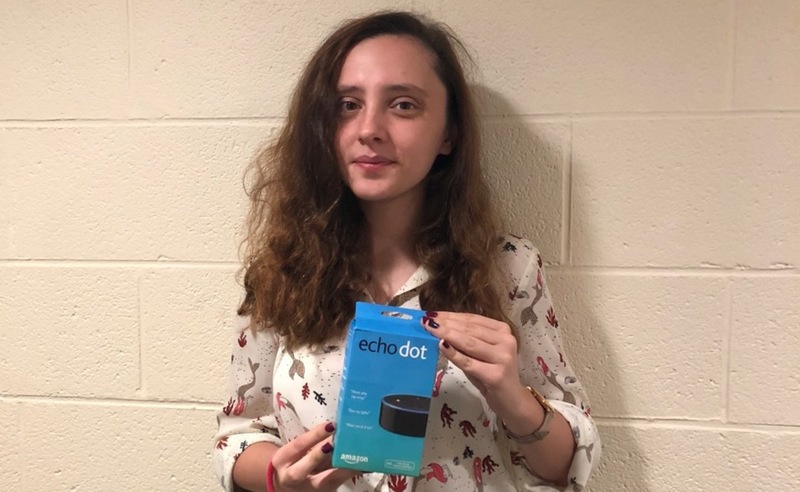 Congratulations to Miruna Muntean (Y2, CSwIE) who won an Amazon Echo Dot in Novacoast’s raffle at our recent Computer Science Careers Fair. * GAME DEV SOCIETY. This from Flaminia Rosato (Y3, CSwIE): Hello! We are a new division of HackSoc that focuses on organising game development workshops, meetups and game jams. Beginner or experienced, as long as you're interested in making games you’ll find yourself right at home. Come down to Lecture Theatre 1.1 on Weds 7 November, 14:00-16:00 for our first event – a talk by Activision (register here). To keep up to date on our activities follow us on Facebook, Instagram, or send us an email. Join MS to hear first-hand accounts and explore with them the positive impact of Diversity in the world of technology. This interactive session will allow you to showcase your opinions and abilities, with prizes to be won! This Weds 24 Oct 14:00-17:00 in University Place Room 3.204, and afterwards at KRO Bar. Register. FACEBOOK CRUSH YOUR CODING INTERVIEW. Learn how to put your best foot forward in a talk from one of Facebook’s Software Engineers. Weds 14 Nov at 13:00 in Kilburn. Prepare in advance, and Register. Interested in continuing your Computer Science studies here after graduating? Come along to the PGR Open Day this Weds 24 Oct from 13:00-16:30 in the Alan Turing Building. And at 15:30 Bijan Parsia will be giving a talk here in Kilburn in Atlas 1 about the programmes, opportunities available and a chance for you to ask any questions you may have. For all queries contact Teri Gosling. Final year students: are you Interested in a career working with Children and Young People? Come to a new Workplace Ethics Challenge workshop that will give you the edge in job interviews and applying for professional courses, including PGCE and Social Work. This Weds 24 Oct 13:30-16:00 in Whitworth Hall. The workshop will explore ethical challenges experienced by newly qualified professionals in the workplace and will focus on sexting, social media and safeguarding. See full details and sign up. Today, Mon 22 Oct 12:00-14:00 in LF, kick start your career in Tech at AND Digital. AND Digital work on large-scale, multi-industry, eCommerce and enterprise-level software development projects with best practice agile ways of working at the heart. Come and have a chat with them to find out more. There's a new weekly lecture series facilitated by the Students’ Union, bringing you lectures by experts on everything and anything. This Weds 24 Oct, 16:00-18:00 at The Hive, SU 1st floor, Natalie Bennet & Paul Tobin on "Climate Change: too hot a topic?" Book your FREE ticket. Good morning UG! It’s Monday 15 October, and it’s Week 4, a B week. We're a month into the academic year, and I hope everything is going well. First Year students, I hope you're beginning to feel settled in the School, and in Manchester too. Remember, if you have any questions or concerns, talk to us! SSO is a great place to start and they can advise who best to speak to. Voting is over and your student reps are now elected, so congratulations to Denizhan Akar (Y1, CM), Radu Androne (Y3, CS), Sara Caballero-Bruno (Y2, CSE), Fiona Campbell (Y3, CSwIE), Dhruv Chauhan (Y1, CM), Jack Davison (Y4, CS4wIE), Alex Adrian Dumitru (Y2, CM), Nadine El-Refee (Y2, HCI), Isabelle Osondu Hall (Y1, AI4wIE), Vlad-George Ionescu (Y1, CS4wIE), Reem Kurdi (Y1, SE), Cristina-Malina Mircescu (Y1, CSwIE), Hendrik Molder (Y3, BM), Humza Muhammad Shaheen (Y3, AI), Heido Nomm (Y1, BM), Sean Joseph Parker (Y2, CSwIE), Mark Paveszka (Y2, SE4wIE), Patrick Sava (Y2, CS), Octavian-Costin Teodorescu (Y2, CSwIE), Dainius Varanauskas (Y2, SEwIE), Preslav Venkov (Y3, CSwIE), Iulia Visterneanu (Y3, CS), Iuliana Voinea (Y3, CSwIE), Igor Wodiany (Y3, CSwIE), and Wenqing Zong (Y1, AI4wIE). You can find their contact details on Blackboard under CS UG Community > School of Computer Science SSC. Please let them know of any issues you’d like raised at the first SSC meeting on Weds 7 Nov.
Costanza Improta (Y3, CSwIE) and Ben Lister (Y3, CMwIE) write: We really look forward to having you all back this Wednesday for our third PASS session! It is not too late to give it a try, if you haven’t already. Remember you can always contact your leader in advance and ask them to prepare the session on a particular topic. See you on Wednesday! Igor Wodiany (Y3, CSwIE) says: I hoped you all enjoyed the last session and talk from our external speaker. This week will dive into some most common interview questions and talk how to approach solving whiteboard exercises. Also, slides from the last session are available on the PASS website. In case you think PASS is terribly exciting or terribly boring or too focussed on jobs, let us know via the feedback form, so that we can plan our sessions accordingly! We're running an early-Semester Course Unit health check – please take a moment to give us your feedback on your courses so far this Semester. Deadline 17:00 this Thurs 18 Oct. 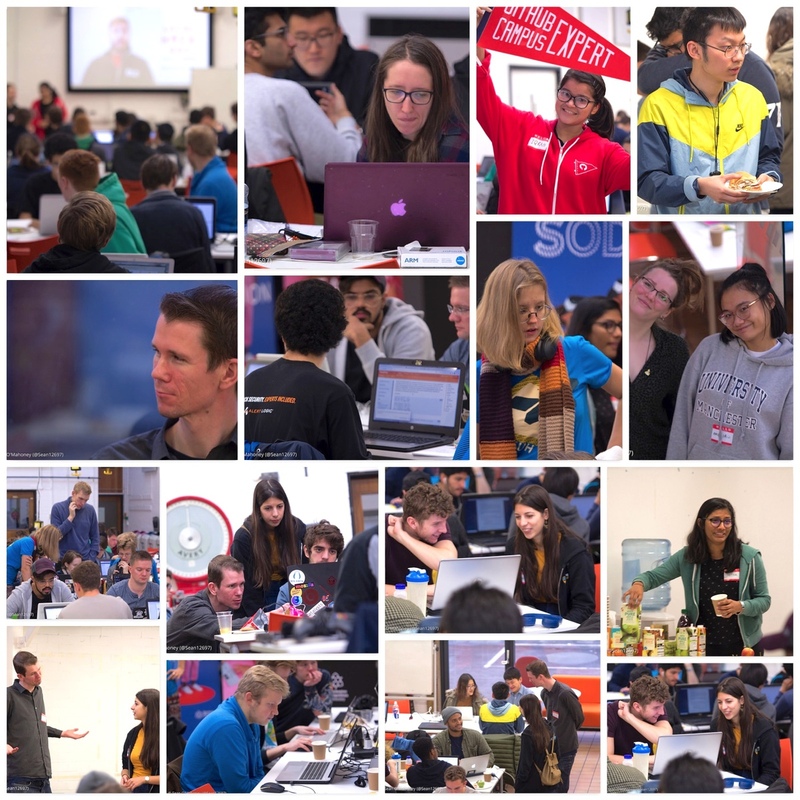 Thanks to all 38 of our software engineering mentors who participated in some excellent code review and lively discussion last week with 250+ second year COMP23311 students. With over 400,000 lines of stendhal game code there was plenty to talk about! Mentors came from a wide range of employers including ARM, Barclays, BAMTechMedia, BBC, Bloomberg LP, Booking.com, CubicMotion, DAI, DigitalBridge, IBM, Ivanti, Jaguar Land Rover, PushDoctor, Sage, The Hut Group, ThinCI and ThoughtWorks. 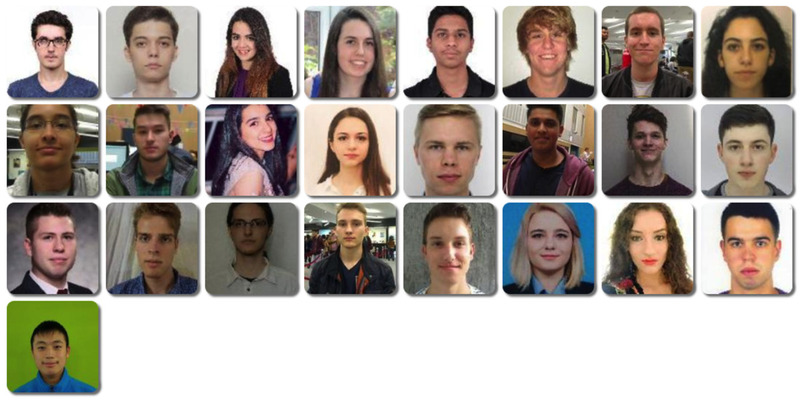 Special thanks to our student mentors returning from placements at Autodesk, Apadmi, CERN, CodeThink, The Hut Group and Intel who also helped out with mentoring: Paul Chelarescu (Y3, CSwIE), Sam Da Costa (Y3, CMwIE), Jack Davison (Y4, CS4wIE), Tristan Maat (Y4, CS4wIE), Alex Mitcu (Y3, CSwIE), Tom Pritchard (Y3, CSwIE) and Igor Wodiany (Y3, CSwIE). Joe Blackmore (Y3, CS4wIE) sends this: Goldman Sachs are running a talk and coding challenge this Thurs 18 Oct from 12:00-16:00 in Collab. There will be a HackerRank workshop from 13:00 with practice exercises followed by a timed competition at 15:00! Register now. They will also be running a Women in Technology meet-up open to all female students from across the Faculty in the Postgrad Common room the same day at 17:00-18:30 where pizza and drinks will be provided. Teodora Stoleru (Y3, CS) writes: Don’t forget about the Google@Mcr event coming up this Weds 17 October, at 13:00 in LT1.1. Sign up here and RSVP to the Facebook event (FB login needed) if you haven't already. See you there! FANTASY TEACHING SPACES – WIN £15. What sort of labs and rooms for different kinds of studies would you like to see in the School? Think radically. Ignore cost, disruption, practicality. Use this form to submit your ideas and you could win one of two £15 vouchers! Deadline: 18:00 tomorrow Tues 16 October. Join MS to hear first-hand accounts and explore with them the positive impact of Diversity in the world of technology. This interactive session will allow you to showcase your opinions and abilities, with prizes to be won! Next Weds 24 Oct 14:00-17:00 in University Place Room 3.204, and afterwards at KRO Bar. Register. Rocket scientist? Star gazer? Budding astronaut? Perhaps you're the next Elon Musk or Jeff Bezos or just curious about space? Manchester Students for the Exploration and Development of of Space (MANSEDS) are looking for software and hardware engineers to help their teams of lunar explorers, Martian rover builders and satellite makers. 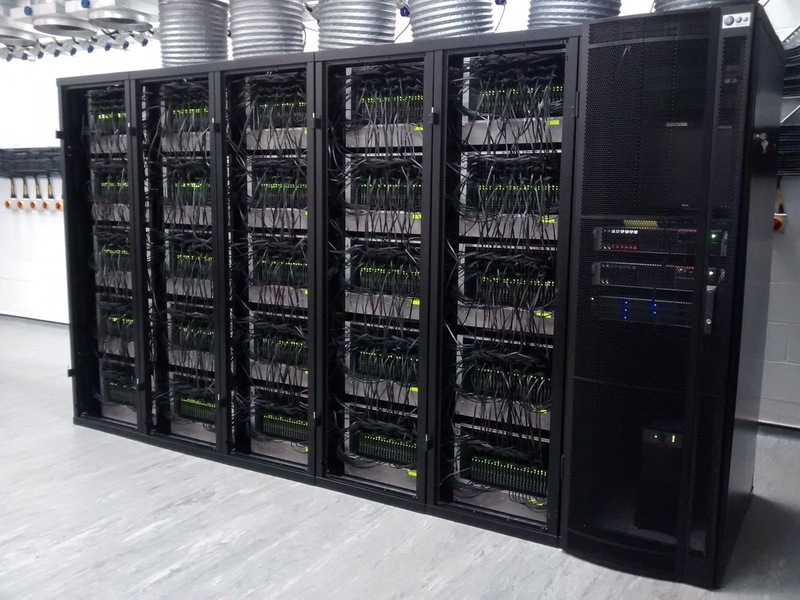 Come and celebrate the SpiNNaker project’s 1,000,000 core milestone on Friday 2 Nov with Professor Steve Furber here in the School of Computer Science. There will be talks, demos and tours. Free registration, all welcome. Mariya Tsvarkaleva (Y2, CSwIE) writes: Siemens is hosting an Arcade Event today Monday 15 Oct at the SU, from 10:00 onwards! This will involve a series of challenges designed to test and excite the toughest gamers, engineers and business brains. If you're interested in opportunities and internships in Siemens and want to get involved, visit the event link (FB login needed) and click "Interested". Come to the Volunteering and Social Justice Fair! Tomorrow Tues 16 Oct in Academy 1, Oxford Road, 11:00-15:00. Meet over 100 organisations including charities and student-led groups who’ll be showcasing their volunteering opportunities related to culture, the environment, health, sport, social inclusion and more. At Manchester Free Software's October Meeting, there will talks about Free Software games and intros to Logical Volume Manager and Vim. Tomorrow Tues 16 Oct 19:00-21:00 at PLANT NOMA (M60 0AE). Good morning UG! It’s Monday 8 October, and it’s Week 3, an A week. How are things going? Well, I hope! 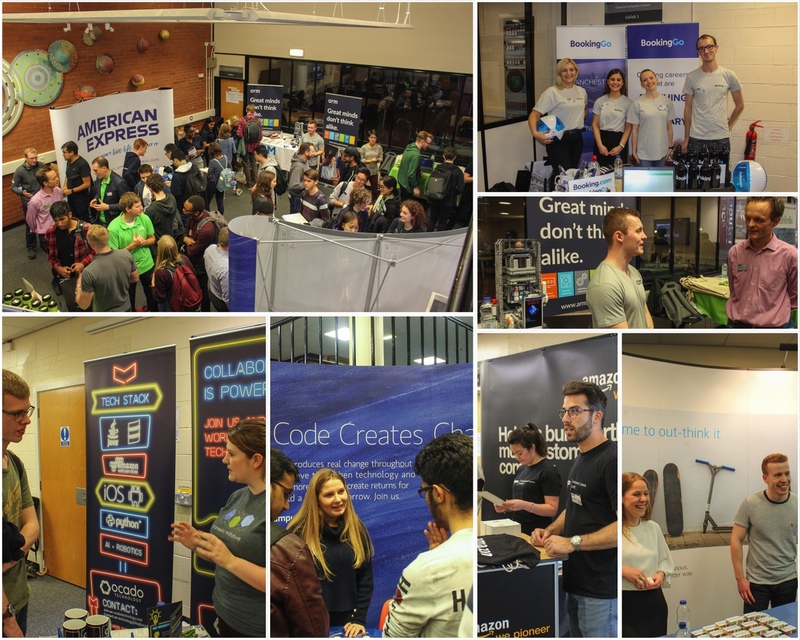 We seem to have an incredibly packed edition this week – the Morgan Stanley challenge, another Careers Fair, upcoming visits, hackathons and events... something for everyone! Don't forget to vote for your student reps – and have a great week! Voting is now open for student reps on the staff-student committee. Please make your vote count. Go to Blackboard > CS UG Community > School of Computer Science SSC > Voting for Student Reps 2018/19. Complete the survey in your year group folder. Deadline for voting 17:00 this Friday 12 Oct.
Costanza Improta (Y3, CSwIE) and Ben Lister (Y3, CMwIE) write: We are very pleased with the amazing turnout we had for our first PASS1 session, and we look forward to have you all back this Wednesday! If there is a particular topic or issue you would like your PASS leader to address, do not be afraid to ask for it. See you on Wednesday! Aayush Chadha (Y3, AI) writes: This week's PASS session is going to be a broad overview of the interview process. We plan to bust some myths and simplify all the jargon surrounding interviews. Also, slides from the last session are available on the PASS website. In case you think PASS is terribly exciting or terribly boring or too focussed on jobs, let us know via the feedback form, so that we can plan our sessions accordingly! And would the lucky owner of ticket 64 please contact Mabel. You have won the ARM raffle draw from the Careers Fair! This from Luke Beamish (Y3, CS4): Hi everyone! Last week we ran our first coding class for non-CS students, after a great turnout we are now recruiting for more CS students who are interested in being mentors. The classes run every Thursday at 17:00 for an hour. If you think you might be interested then come along to our mentor briefing this Thurs 11 Oct at 12:00 in Collab 2. There’ll be a feedback session to look at AY17 Sem2 COMP exam answerbooks at 14:00 on Weds 14 Nov in Atlas. Advance registration required: to view your COMP scripts, email SSO with your name, student ID number, programme of study, and the list of scripts you wish to view. Returning IE students: to view AY16 scripts please give details in your request. Deadline for requests: 12:00 Weds 31 Oct. If you wish to view scripts from other Schools please contact them separately. Teodora Stoleru (Y3, CS) wites: Google is coming to the School next Weds 17 October, at 13:00 in LT 1.1. There will a 30-minute reception with pizza and a chance to talk to our guests, followed by a 45-minute tech talk about Disjoint Sets and how to use them. Then you'll be able to ask questions during a 45-minute Q&A panel with School alumni Todd Davies (Google Munich Office, graduated from UoM in 2016), Andrei Muntean (Google London Office, graduated from UoM in 2017) and me (former Google intern, now 3rd year student here). Google swag will also be provided. If you'd like to attend, please sign up here and RSVP to the Facebook event to be kept up to date with the details. If you decide last minute and haven't filled in the form, you're still welcome! This Weds 10 Oct in Atlas 1 from 14:00-16:00, join recent graduates from Morgan Stanley Technology division in an 2-hour programming competition to resolve an array of problems ranging from an assessment centre HR allocation algorithm to a student loan pricer. In teams of up to 3, work against the clock to resolve real-life business problems. Pizza & soft drinks will be provided, and there are some great prizes for the winning team. Register. GREAT UNI HACK DEADLINE EXT. Mariya Tsvarkaleva (Y2, CSwIE) writes: Hey everyone! After seeing how excited many of you are to join GreatUniHack, we decided that we want to give more students the opportunity to be part of it. That's why we're extending the applications deadline until this Weds 10 Oct! If you've signed up already, don't forget to finish your application before Wednesday. Apply now! If you're not that keen on hacking, but you like the Hackathon atmosphere and need something for your CV, then volunteering is for you! GreatUniHack is looking for volunteers at the moment, so sign up if you're interested. This from Saira Hassan (Y2, CSwIE): Thank you for coming to our CTF! It was a great learning experience, and we hope it gave you a taste of the cybersecurity industry! Massive thanks to our sponsor Novacoast, to Ian Cottam (the School's Technical Support Manager) for helping find an alternative venue at very short notice, and congratulations to the winning team "Her Majesty's Pwning Service" – Alessandro Cara (Y2), Michael Yonli (Y3, CS), David Petrescu (Y2, HCIwIR) and Dainius Varanauskas (Y2, SEwIE). Final year students: enhance your employability and join final year students from across the university in an interactive workshop which explores contemporary ethical challenges relevant to every graduate workplace. Interactive scenarios, group exercises and discussions will challenge you to reflect on your own, and others’, ethical responsibilities and decision making in the workplace, such as harassment, bullying and discrimination, and privacy and confidentiality in an age of online communication. Next Weds 17 Oct, 13:30-16:00, University Place. Sign up. Hendrik Molder (Y3, BM) writes: I went to a cool product and front-end conference called Refresh in early September and wanted to share some insights with you. The visit was funded by the School’s Student Activities Fund. I visited different tracks and listened to a lot of talks, so it was a bit hard to put it all together into a single blog post, but I tried to shine some light on website accessibility, Serverless architecture, FaaS, and SPAs. Giles Reger (COMP26120, COMP24412) writes: Thank you to those who attended our very well-attended meeting on volunteering opportunities last week. If you were not able to make it then don’t worry. All information is sent out via the list (sign up here) and all events come with an appropriate level of training. 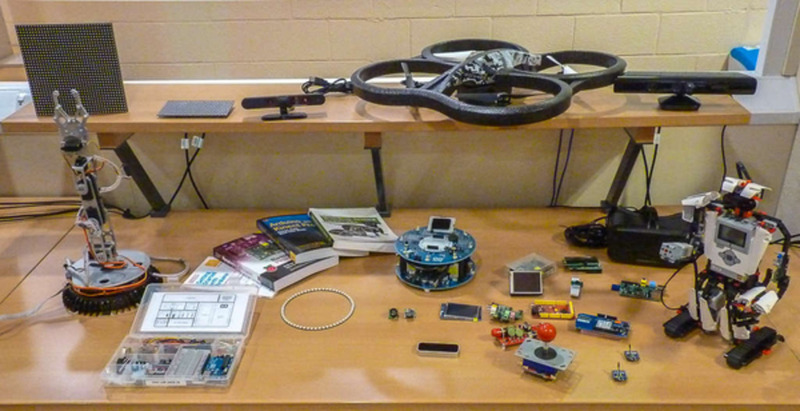 We are particularly interested in people keen and able to help develop activities with the exciting things we have in the Hardware library (drones, robots, oculus rift etc). Thinking about an internship, industrial placement or a job after graduation? 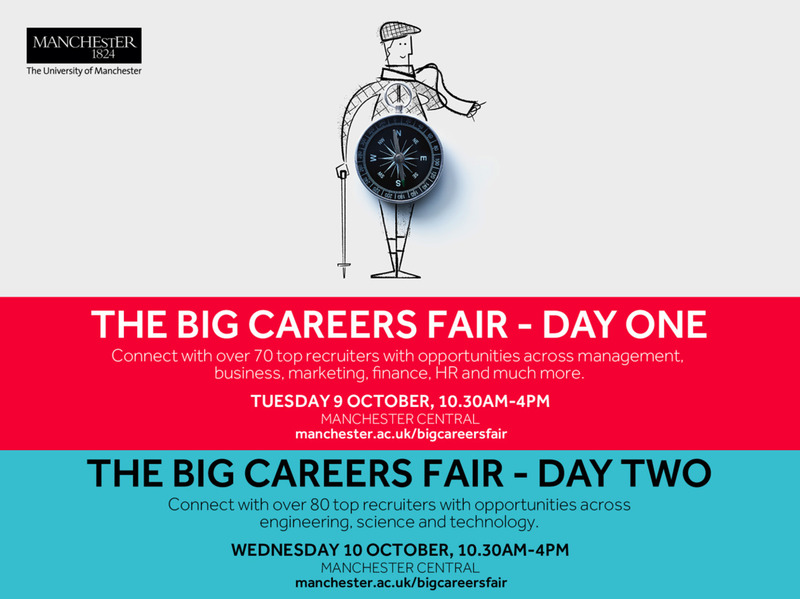 Get exploring your options and the range of opportunities at The Big Careers Fair (link includes full list of Exhibitors) at Manchester Central this Tues/Weds 9/10 Oct. It’s free to attend and Alex Jones, our School’s Careers Consultant, will be on hand to help you if you are unsure what to do when you get there. Register to attend Day1 | Day2. Any questions, ask Alex. Danny Dresner (COMP10120 and MSc cyber-teaching) writes: If you’ve been bitten by the cyber security bug of enthusiasm then get on to Immersive Labs who offer exactly the right kind of progressive online cyber security learning experience to complement our studies. Your Uni email addr will get you a free registration. And what's more, every time you complete a lab, you earn points for the University in an international league table! Enjoy. Learn. Develop the skills... let's make the connected world a safer place for all. Siemens is hosting the Mindsphere Live multidisciplinary hackathon in Sheffield 16-18 November. Teams of Comp Sci/Elec Eng/Mech Eng/Robotics students will work to build a device powered by data from the Siemens Big Data system Mindsphere. All travel, food and accommodation is covered, plus the teams will have over £1000 worth of kit to work with. Register by 15 Oct.
William Davison (Y3, CSwIE) writes: OWASP Manchester are organising a CTF in collaboration with Manchester Grey Hats. They're really keen to get more students along, it's taking place at Manchester Technology Center on 13 Nov from 18:30-22:00. Sign up fast! These are awarded annually to enable British citizens graduated from British universities to take graduate programmes at Harvard and MIT. They cover full tuition and health insurance fees, a generous stipend for living expenses, one return UK-Boston flight and a grant for vacation travel within the US. Deadline for 2019-20 scholarship applications: 24 Oct 2018. Good morning UG! It’s Monday 1 October, and it’s Week 2 of Semester 1, a B week. I hope everyone is settling down and everything is going well. Remember, if you need any help, just ask! SSO is a great place to start. As usual I have a huge amount to tell you about today, so get involved with our exciting UG community and have a great week! 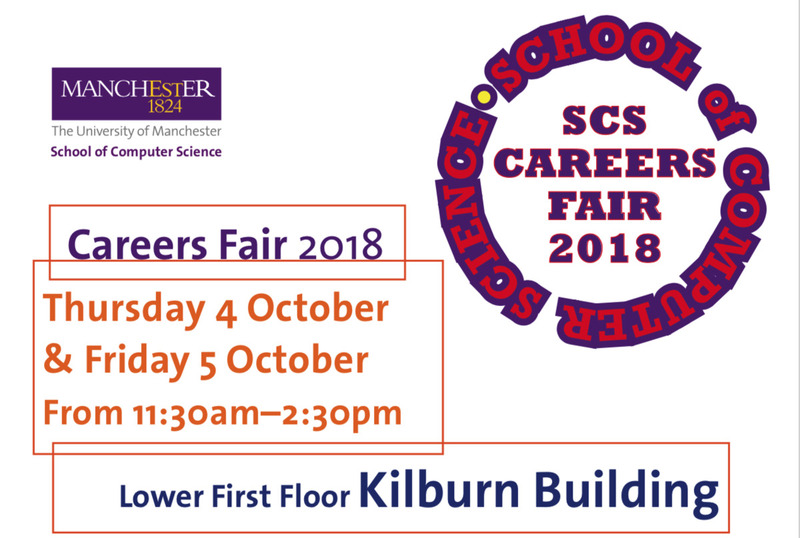 The annual Kilburn Careers Fair returns this Thurs 4 and Friday 5 October, from 11:30-14:30 on the lower first floor open area. We have over 30 exhibitors across the two days, right on your doorstep, including ARM, Amazon, Barclays, Bloomberg, Cisco, Goldman Sachs, Jaguar Land Rover, Morgan Stanley, Ocado, The HUT Group, and many more! Costanza Improta (Y3, CSwIE) and Ben Lister (Y3, CMwIE) write: PASS1 starts this week on Weds 3 Oct at 12:00! PASS Leaders we be coming into the end of your COMP16121 (Java) lecture to direct to the right rooms so you don't have to worry about it. If you don't make it to the lecture come find us in Collab 1 and we'll direct you from there. Look forward to seeing you all! Aayush Chadha (Y3, AI) writes: Hi all, we hope the last session on course unit selection helped you finalise your course choices. This week we are going to be talking about writing an incredible CV. To make the session productive, bring along a printed copy of your CV! If you don’t have one yet, still come along, since we’ll be sharing some important tips and pointers! See you all at 15:00 in Collab as usual. Don't forget, nominations close at 17:00 today Monday 1 Oct. Please consider nominating yourself as a student representative in the School. Use the online form. 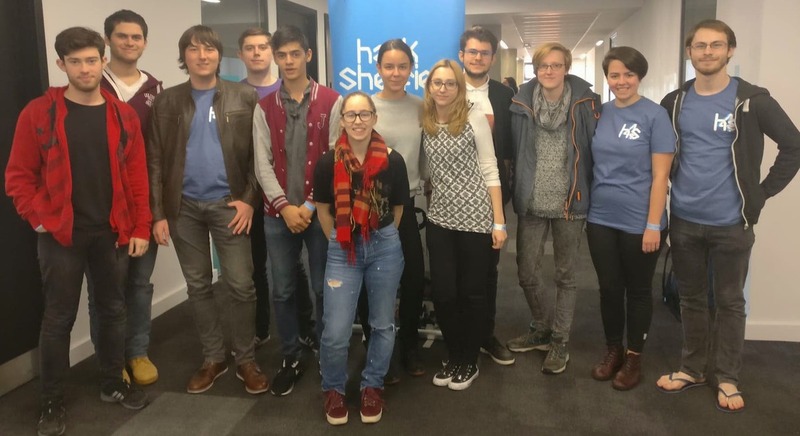 This from Mariya Mladenova (Y3, CSwIE): We’re very excited to announce that GreatUniHack, the 24-hour hackathon run by our own students, will take place again this year on 10-11 November at the MMU Business School. Applications are now open, so make sure you sign up. The event is very beginner-friendly, so don't worry if you don't have much programming experience, we welcome everyone who is excited to learn and wants to build something cool. We’ve now looked in detail at the Course Unit Survey results from Semester 2 of Academic Year 2017-18. 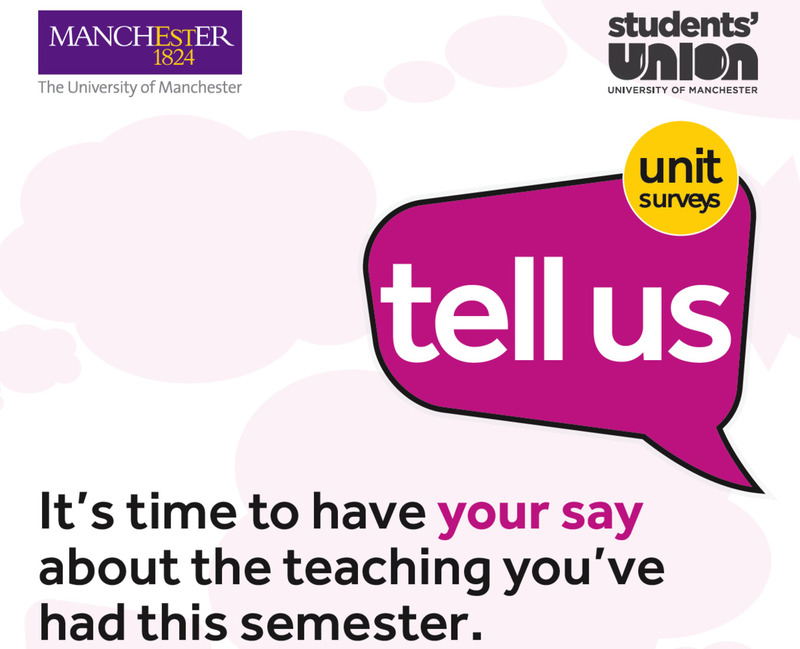 We take your views seriously, and we’ve asked all the Course Unit lecturers to respond to your comments. Read their responses. This from Ritam Anand (Y2, AI4). As you may have heard last week, HackSoc and CSSoc have merged to become one society. In light of this merger, we have decided to seek your help to find us a new name as a collective society. If you think you have the perfect name for the new brand, fill out this form by 12 October. The winning submission wins a £25 Amazon voucher! May the best name win! We want your ideas about “Fantasy teaching spaces”. What sort of labs, lecture spaces, rooms for different kinds of studies, etc, would you like to see in the School? You are allowed to ignore cost, disruption, practicality; we want ideas that will stimulate our thoughts; cost and practicality can scale back ideas, but often radical thoughts are particularly useful. Use this form to submit your ideas. We can’t promise action, but we’re planning what we want to do with the spaces in Kilburn. We’ll publish what we think are the best, including the funniest, ideas. And we’ll pick two idea-submitters out of the hat to win £15 shopping vouchers! Deadline for sending your ideas: 18:00 Tues 16 October. If you want to tell us about any mitigating circumstances for the Semester 1 teaching period, the deadline is Monday 7 Jan 2019. If there are any mitigating circumstances for the Semester 1 exam period, the deadline is Mon 28 Jan 2018. If you have any queries, please talk to the relevant Year Tutor (Y1: Sean Bechhofer; Y2: Duncan Hull; Y3: Tim Morris; Y4: Graham Riley; CM: Andrea Schalk). For weekly matters, if your work receives a late flag in a lab, there is a formal process for appealing against this, details at the above link. Saira Hassan (Y2, CSwIE) writes: Thank you for visiting our fresher's fair stall and trying our challenge – we hope you enjoyed it and learned something new! Our first event of the year will be a CTF challenge created by Novacoast, hosted in G41 (Kilburn, ground floor) this Weds 3 Oct at 14:00. So whether you are a complete beginner or expert, bring a team of up to 4 and come join us! You can book tickets here. There may be free pizza! This Weds 3 Oct at 13:00-14:00 in Kilburn 15, Professor Debi Ashenden (Portsmouth University) will talk about "Social Loafing: Why Good People Breach Security And What To Do About It". Abstract: There is a category of insider threat that has so far been under-explored. This is the ‘everyday insider threat’, where people are committing small breaches of security policy, are aware that they are doing it but are not intending it to have a detrimental effect on the organisation. This talk will explore how current security research relies both explicitly and implicitly on rational choice models to explain employee behaviour. All welcome. We have a new general-use PC Lab, Room LF8, aka the Malkovich Room, opposite Byte Cafe. It has 15 PCs with standard Linux/Win images. The new lab replaces LF17 (opposite SSO) which is now part of the PhD student space. You’re welcome to use LF8 in core Kilburn hours (Mon-Fri 08:30-18:00). £10. There’s a focus group next Weds 10 Oct at 14:00 in Renold H2, to ask you about your experiences in researching and applying to university, to identify any improvements we can make to our information and materials. Refreshments will be provided and each attendee gets a £10 voucher. Apply in advance to Adi Gal-Greenwood. Giles Reger (COMP21620, COMP24412) writes: In case you are looking at your timetables and thinking that you don’t have enough to do, or looking at your CVs and thinking that they are missing something… I would like to remind you that there will be plenty of opportunities to get involved in volunteering in public engagement and school events this year. You can still register your interest and we we'll be holding a meeting at 14:00 this Weds 3 Oct in IT 407 – come along to find out more. The University employs Student Ambassadors. These are varied, rewarding, flexible work opportunities for current first year students. Get details. Paul Nutter (COMP12111, COMP22111) writes: Did you know we have a student hardware library in the school? It has a wide range of components that are free for you to borrow, whether for supporting your own pet project, a final year project, or even if you are planning on doing something exciting at a hackathon. There are all sorts of items available, from Raspberry Pis to drones, Arduinos to Kinects, basic electronic components to robots, we even have Oculus VR headsets. To see what’s available have a look at the library catalogue. If you want to borrow an item then all you have to do is reserve it via the catalogue, then simply collect it from Steve Rhodes (corner office in Tootill 0) when you receive confirmation it is available. You may have noticed that we have removed the monitor stands in the Tootill labs and replaced them with arms. We hope you’ll find you now have more desk space and it will be much easier to adjust the position of the monitor to make viewing more comfortable. What challenges and opportunities does Artificial Intelligence pose? Debate the issues with Jim Al Khalili (University of Surrey, and TV presenter), Ewa Luger (Edinburgh University), Wendy Hall (Southampton University) and Neil Lawrence (Amazon & Sheffield University) on Sun 28 Oct at the Royal Exchange Theatre as part of Manchester Science Festival. Get tickets. 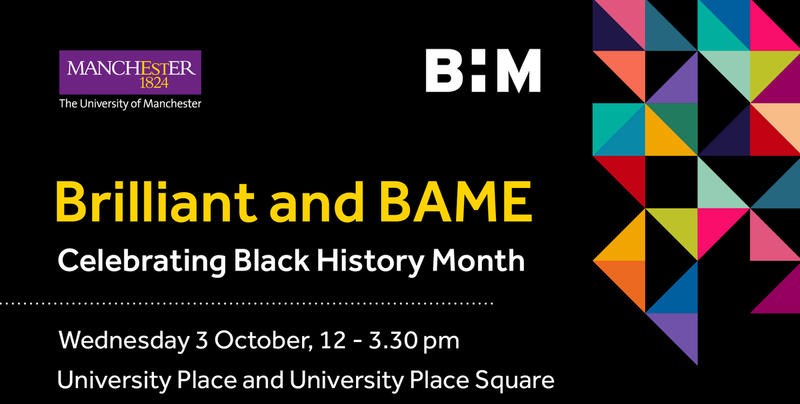 ‘Brilliant and BAME: Celebrating Black History Month’ is taking place at the University this Weds 3 Oct, 12:00-15:30, showcasing different organisations and opportunities, live music, street food and art. Good morning UG! It’s Monday 24 September, and it’s Week 1A of Semester 1. Teaching starts today. Throughout the semester we alternate Week A's and Week B's, with different timetabled activities according to A and B. The Monday Mail will always remind you which week it is – and this is a Week A (here's the full UG timetable). OK, on with today’s news, and as usual there’s a lot to tell you about! Get involved! And have a great week! First year students (seen below! ), I hope you enjoyed Welcome Week, and I hope you're settling in ok. We tried not to overwhelm you with information last week, and if you have any questions, just drop into our Student Support Office (SSO, next to lab LF31), contact your Personal Tutor, or Sean Bechhofer (all programmes except CM and HCI), Andrea Schalk for CM, or Simon Harper for HCI – they’ll all be very happy to help. Cristian Bodnar, who graduated in the Summer, has won the prestigious annual international Undergraduate Awards, aka the junior Nobel Prizes, in the Computer Sciences category for his 3rd year project Text to Image Synthesis Using Generative Adversarial Networks (example below) supervised by Jon Shapiro (COMP34120 AI and Games). Winning this award is a fantastic world-class achievement – well done Cristian! You have until 15:30 on Friday 5 Oct to finalise your Semester 1 course unit choices. After that deadline, your course selections freeze, and changes won’t be possible. Costanza Improta (Y3, CSwIE) and Ben Lister (Y3, CMwIE) write: we look forward to welcoming First Years to their first PASS session next week on Weds 3 Oct at 12:00! In the meantime, it is not too late to become a PASS leader! Whether you are a returning PASS leader or you are completely new to it, please email Costanza or Ben and they will get you back on track. Please also note that this Weds 26 Sept, from 13:00-15:00 in Collab, is your last chance on attending the PASS in Your Discipline session, which is compulsory if you want to be a PASS leader this year and you have not attended a session. See you there! Igor Wodiany (Y3, CSwIE) writes: Hi all! It’s a new PASS2 team. We hope you are all settled and ready for the second year. PASS2 (or “CS Peer Support for second year students” as it is officially called now) starts today Monday 24 Sept at 15:00 in Collab. We will talk about 2nd year courses and run a panel with some 3rd year students to answer your questions. In subsequent weeks we will cover some important topics that will help you to land an internship or placement (CV and interview workshops, coding interview sessions, etc). So please come and we hope to see you all. Every year the School awards prizes to UG students who have excelled academically or made significant contributions to the School. Last week our Head of School Professor Robert Stevens awarded the prizes. 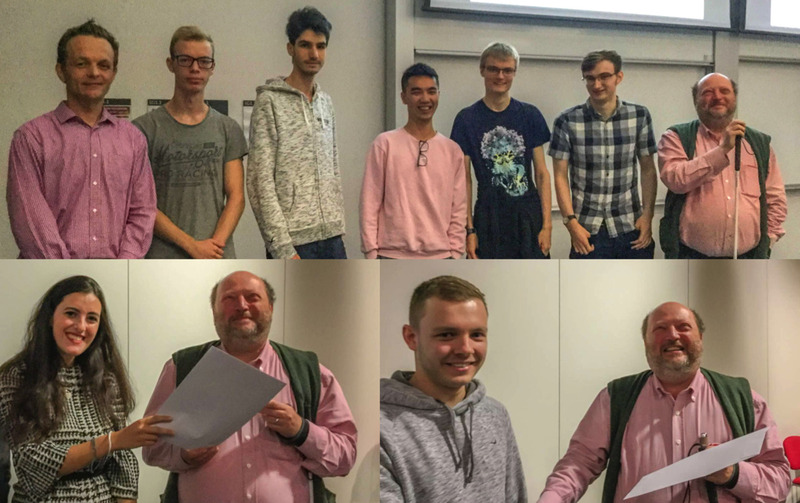 Year1 (below, upper pic): Michael Jealous Memorial Prize: Ivan Pupovac (Y2, CM); Golden Anniversary Prizes for excellence in first year studies: Edoardo Lunati (Y2, CM), Michael Morgan (Y2, HCI4wIE), Andra Popa (Y2, CM), Ian Winstanley (Y2, CSwIE), Yuxuan Zhou (Y2, HCIwIE). 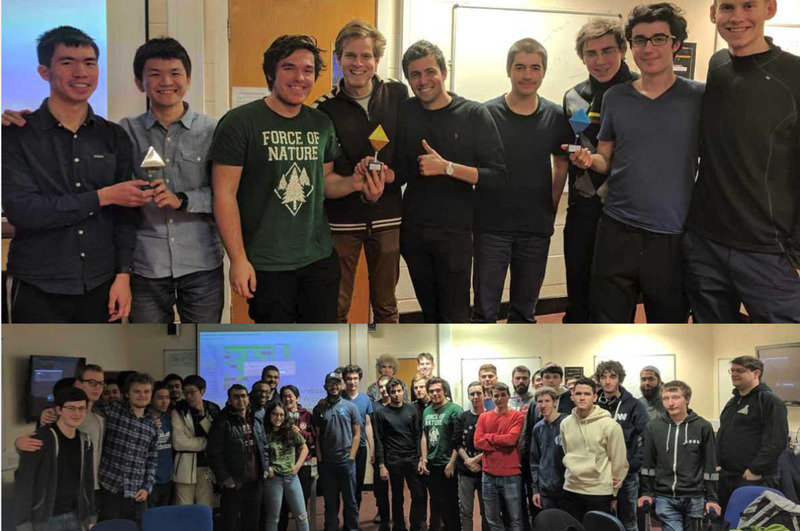 Year 2: Professors Prize for Outstanding performance: Nick Park (Y3, CS), Carlos Pina Vaz Gomes (Y3, CS), and Jonathan Tang (Y3, CMwIE); Best Software Engineering Project (AY16): Costanza Improta (Y3, CSwIE) and Nick Park (lower pic). Well done everyone! HackSoc and CSSoc will be holding a joint recruitment session this Weds 26 Sept. If you want to learn about what events we have planned for the year or how you can get involved in organising them, then come along at 13:00 to room 2.19 (Kilburn 2nd Floor). Rumour has it there may also be pizza! Represent your fellow students and make a difference. The UG Staff Student Committee (SSC) meets twice each semester to discuss students’ concerns. It’s a friendly and open forum for student reps to discuss things with the Director of UG Studies and other staff. Nominations for student reps are now open. If you’d like to nominate yourself as a student rep then complete the form provided by the Students’ Union. You will be required to provide a statement (max 250 words) outlining why you should be a rep. The deadline for nominations is 17:00 Monday 1 October. A ballot will open for students to vote for reps shortly after. Please get involved! To access Kilburn out of core hours (weekdays 18:00-23:30 and weekends 10:00-20:00), your student ID card needs to be specially activated. New students will need to complete two online tests and then take their ID card to SSO. Full details. Returning students: if you had your ID card activated last year, you don’t need to do anything – your card will have been activated automatically; if you weren’t activated last year you’ll need to complete the process described above. Google has set aside a limited number of tickets for students and faculty to attend their flagship cloud event Next ‘18 London on 11 October. The event is packed with talks, demos and hands-on experiences on machine learning, Google Cloud, containers and more. To register for free use the code NEXTLONDON-DAY2-UNV-879 here. Hack Manchester is back on 28 October. Teams of up to four turn up with an idea and have just 24 hours to create a working product. There will be an optional set of challenges from sponsors inclucing GCHQ, AutoTrader, Avecto, DunnHumby, Web Applications UK and more. Sign up soon! Tickets for this popular event sell out very quickly! Manchester-based Cybersecurity firm Secarma are offering Hacker 101 with the University! It teaches professional penetration testing and ethical hacking skills. The course introduces you to the basics of practical testing, provides the chance to develop real world skills alongside your University learning and gives expert insight into your career. It will run over several months so that you can schedule around your University commitments. The syllabus modules are: Introduction to ethical hacking and assurance / Web application testing / Internal and external infrastructure testing / Simulated attack and report writing / Peer review and advanced techniques. There's a limited number of FREE student places. Apply by e-mailing Paul Mason at Secarma. Your local contact is Dr Danny Dresner. Ian Cottam, the School’s Tech Support Manager writes: Over the summer the School employed two undergraduate students to explore Cloud Computing using the free student quota for cloud services from Amazon and Microsoft. The students were Sami Alabed (graduated this summer with first class honours) and Stefan Pristoleanu (Y3, CS). To give you a taster of what can be done, Stefan produced some video screencasts. How to set up a serverless web site using AWS, the design of the site, and how map-reduce batch compute can be achieved using AWS. Please contact Ian with any queries. Giles Reger (COMP26120, COMP24412) writes: There is a wide range of opportunities (unpaid and paid) to get involved in volunteering for outreach activities. It’s great fun, hugely worthwhile, great for your CV, and recognised by the School and University. Additionally, if you wish to be selected for our next visit to Africa, Project Malawi, you will need to show that you are involved in outreach activities. Register to hear about our first meeting in the next few weeks. Any questions, contact Giles. This from Alyson Owens (our Undergraduate Admissions Assistant): A great opportunity for you to work with applicants and secondary school pupils who are interested in studying Computer Science. Learn new skills, great for your CV. Make new friends and earn some money talking about the thing you’re passionate about. If you want to be considered for the Ambassador Programme please fill out the online application. Deadline Mon 1 October. Good morning UG! It’s Monday 17 September, it's Welcome Week, and a very warm welcome to you all, to students joining us for the first time, and those of you returning for another year. I'm Toby Howard, Director of Undergraduate Studies, and you are reading the Monday Mail – which I send to all undergraduates every Monday during term-time – to keep you up-to-date with what's happening in the School. And there's always a lot happening! So have a great week, and on with today's news. Got any questions? Need any help? Call into the Student Support Office (aka SSO) open Mon-Fri 09:00-17:00 in Kilburn Room LF21, email them, or phone 0161 306 8155. You’ll also see lots of people around campus wearing ASK ME badges so… ask them things! 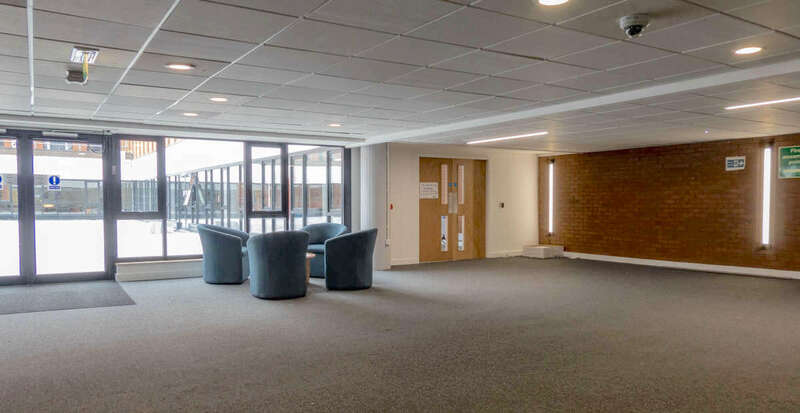 You may have already noticed that the courtyard, and the surrounding walkway and entrance area have been refurbished, which has opened up a lot of new space. The work is almost complete but there will be some additional furniture and nice things appearing soon. Meanwhile feel free to use the new areas! This is Welcome Week, and the timetable for this week is special, with activities for students in all years. Year 1 students have introductory activities; Year 2 students have careers activities; Year 3 students have Project activities; so please check your timetables and make sure you know what’s going on. LOOKING FOR INFO ABOUT THE SCHOOL? Bookmark the UG homepage ...and get familiar with the UG handbook, your one-stop source of information about the Undergraduate School. It tells you about student support, course structures and assessment, how you progress between years, all the rules and regulations, and much more. Kilburn Building opening times are 18:00 to 23:30 on weekdays, and 10:00 to 20:00 at weekends. Alexandra Stefanescu (Y2, BMwIE) writes: Congratulations once again to all the freshers for starting their new chapter at The University of Manchester! At the same time, welcome back to all the seniors that missed Kilburn throughout the summer! 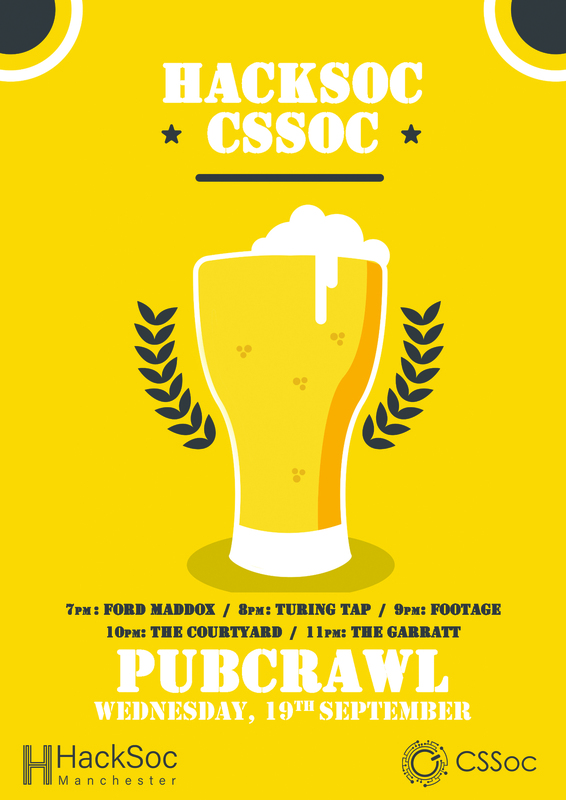 Our first event of the year is dedicated to all of you out there who want to socialise, meet new people from their course and have the chance to share impressions between the different generations: a joint pub crawl with HackSoc! This Weds 19 Sept, we're going to start off at Ford Maddox Brown @19:00, followed by Turing Tap, Footage, Courtyard and The Garratt! Can't wait to meet you there! Tune in to our new School podcast episode which interviews Summer 2018 graduates Sarah Akerman, Sami Alabed, Cameron Allan, Josh Langley, and Ben Possible, also featuring Sean Bechhofer (1st Year Tutor, COMP11212), Prof Uli Sattler (COMP10120), Gavin Donald (SSO) and Head of School Prof Robert Stevens. It's a great listen, with students talking candidly about their experiences here with us. Fancy earning a bit of extra cash for the start of term? We need helpers for our Open Days on Saturdays 29 Sept and 13 Oct. So if you'd just like to help, or have a project or something cool to demonstrate to prospective students, contact Jez Lloyd ASAP to get involved! Need help managing your money? Check out the University’s Finance Help site. At Manchester Free Software's September Meeting, Michael Dorrington will talk about “How to install GNU/Linux”. Tomorrow Tues 18 Sept 19:00-21:00 at PLANT NOMA (M60 0AE). Levenshulme Market is back on campus every Tuesday, starting tomorrow, for food and drink 11:30-14:30 in Bridgeford Street, opposite Kilburn. The market has rustled up lots of exciting new traders, while bringing back all of your favourites. Foodie Tuesdays are back! Passionate about sustainability? Become a Green Impact Auditor and take part in an international, award-winning programme! Improve your CV and develop auditing, analytical and professional skills in an environmental sustainability context. Contributes towards your STELLIFY Award. The University has plenty of other volunteering opportunities too.